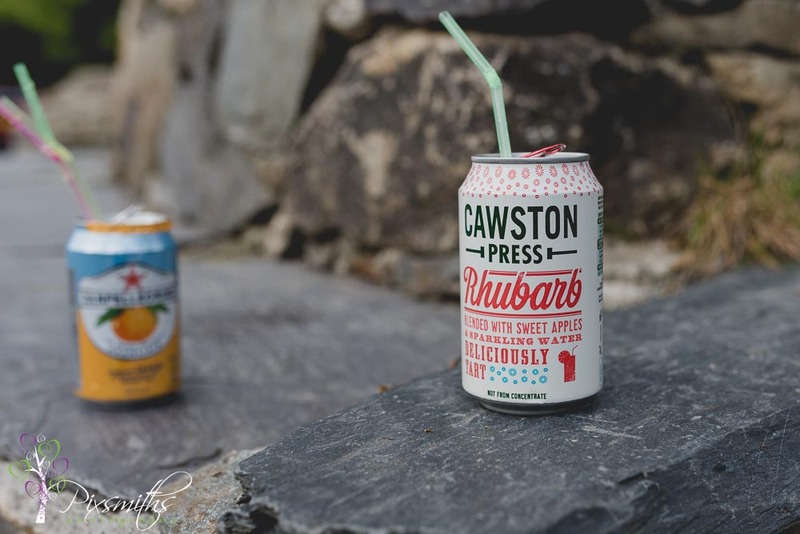 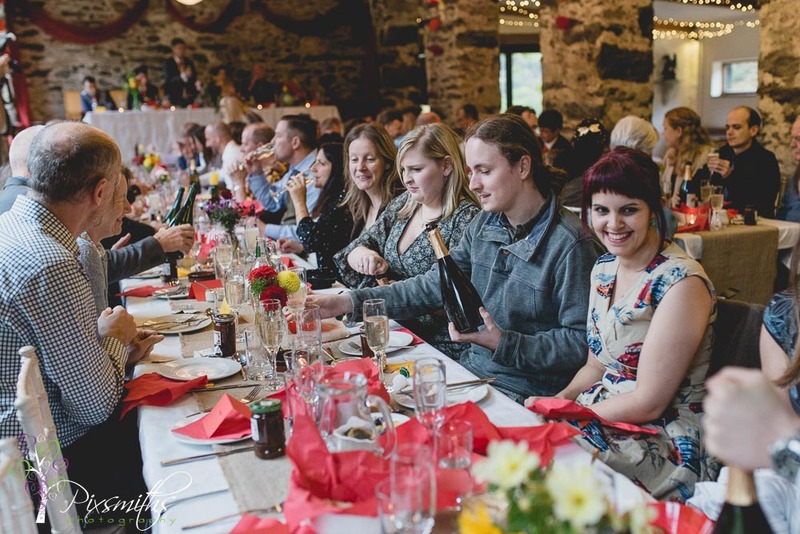 Phil and Helen brewed their own peculiar Ale and fermented their own (delicious) elder-flower champagne and apple wine. 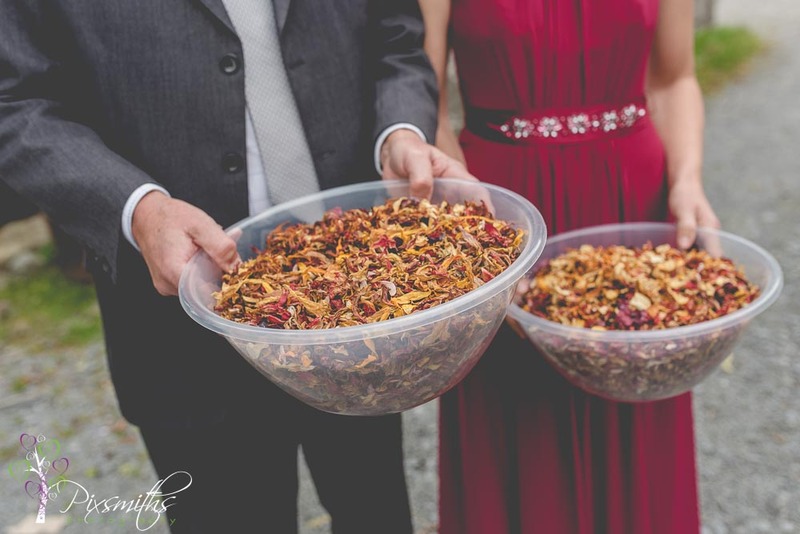 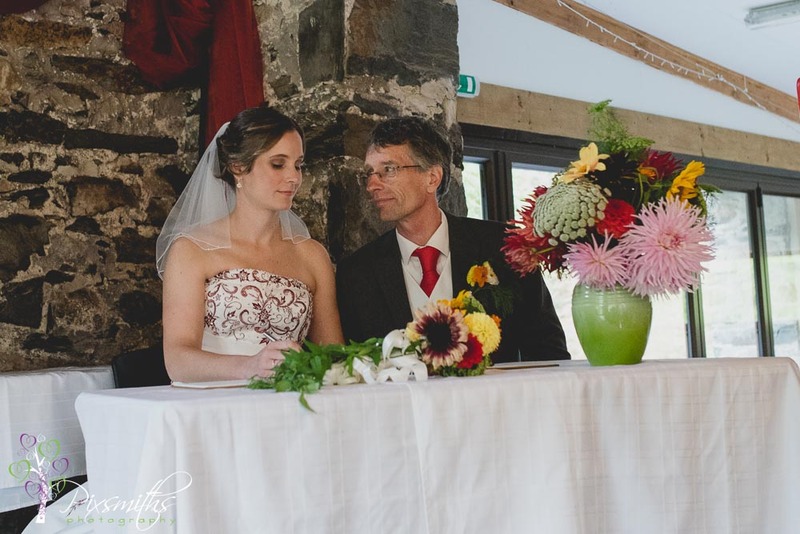 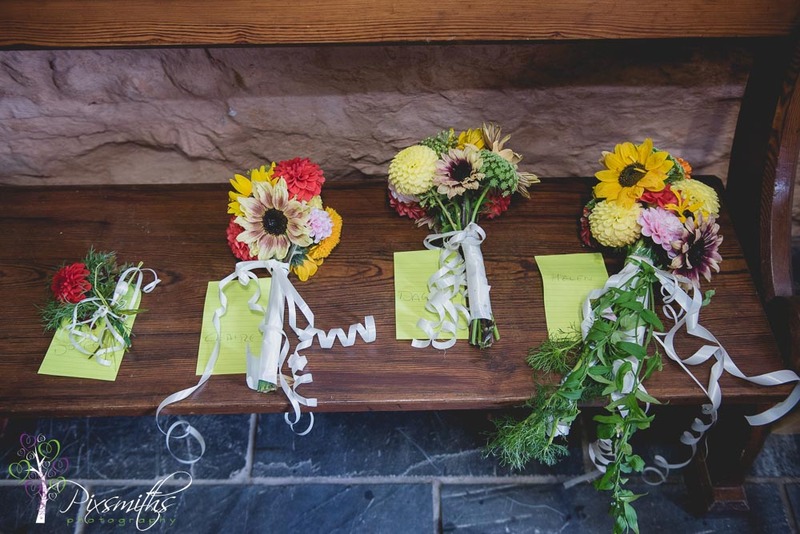 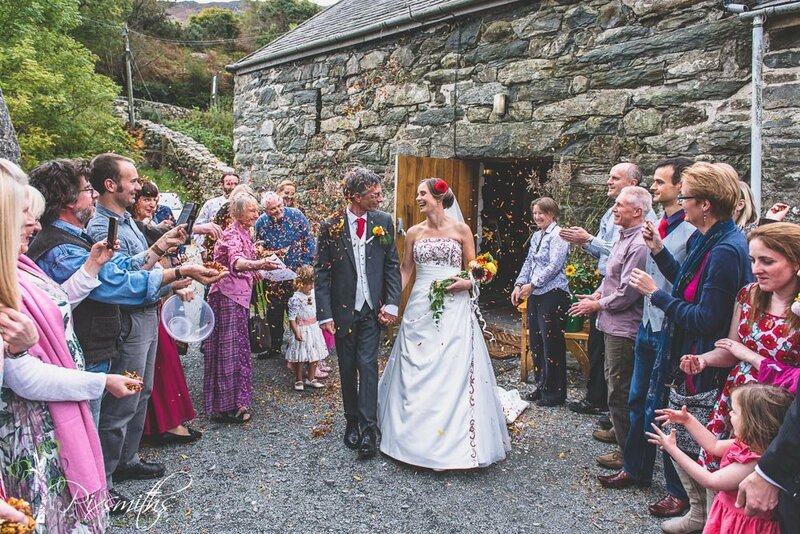 They grew their own flowers for the decorations, dried the petals for the confetti and all the bouquets which Phil made – what a talented man! 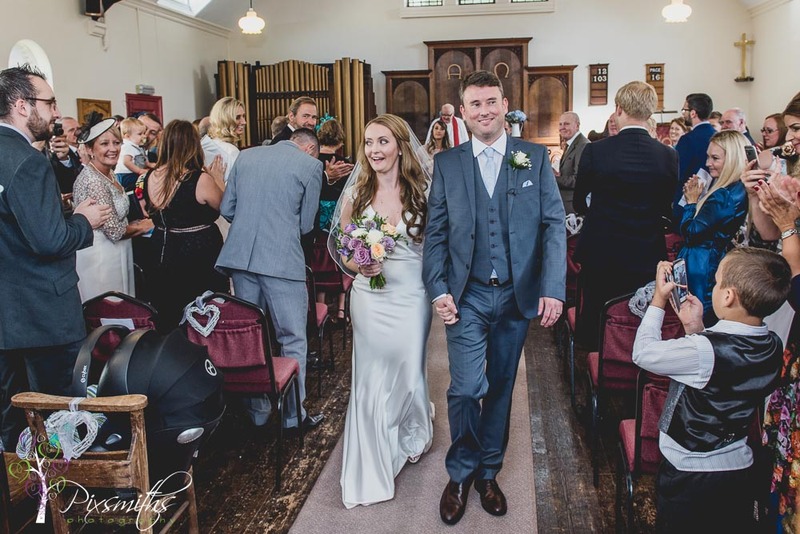 So lovely to see friends just chipping in with setting up and helping this to be the day just as Phil and Helen wished for. 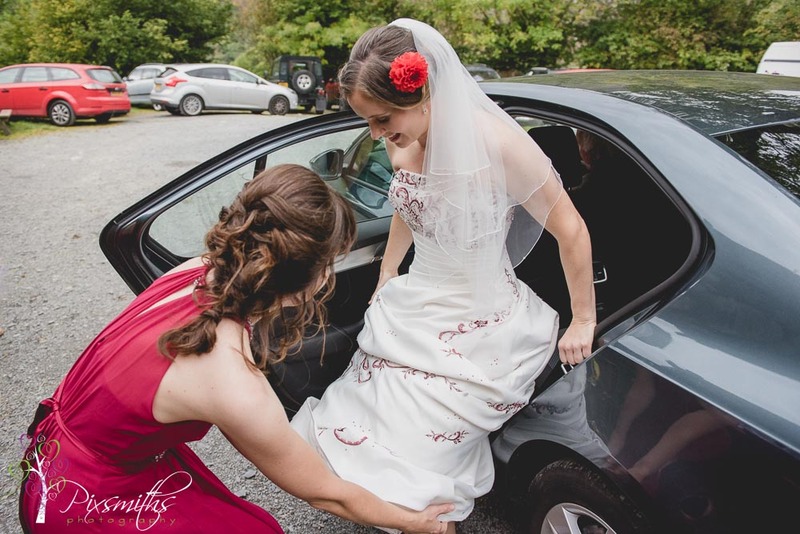 No bridal preps we met Helen as she arrived by car to the venue – her bridesmaid so attentive and forever arranging out her gorgeously embroidered dress to it best. 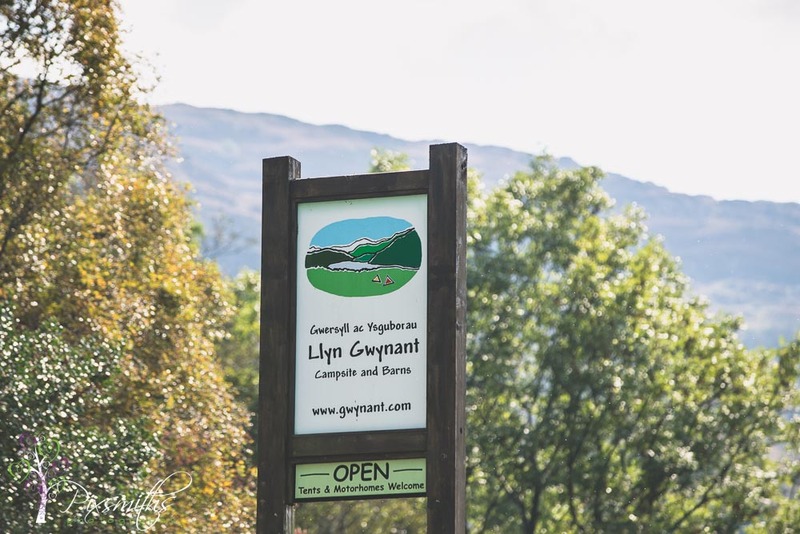 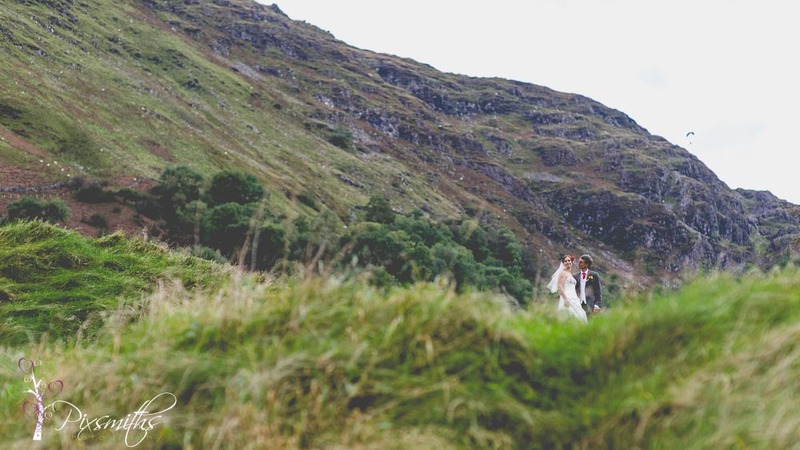 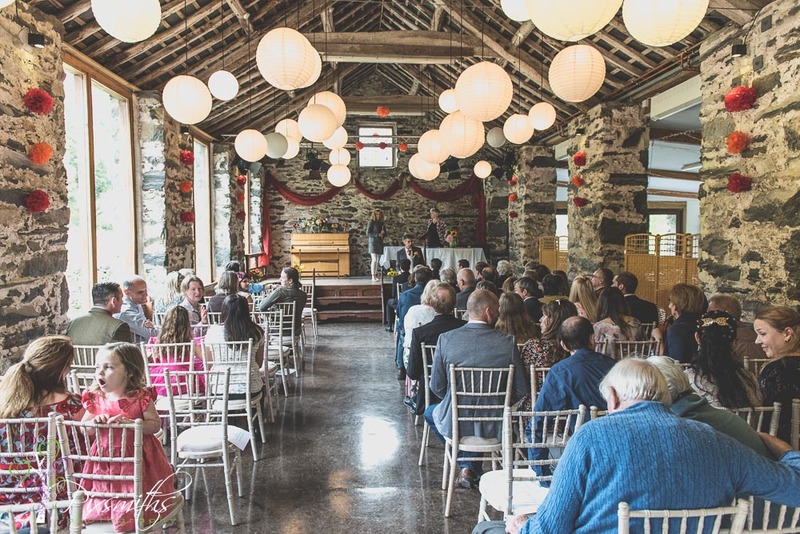 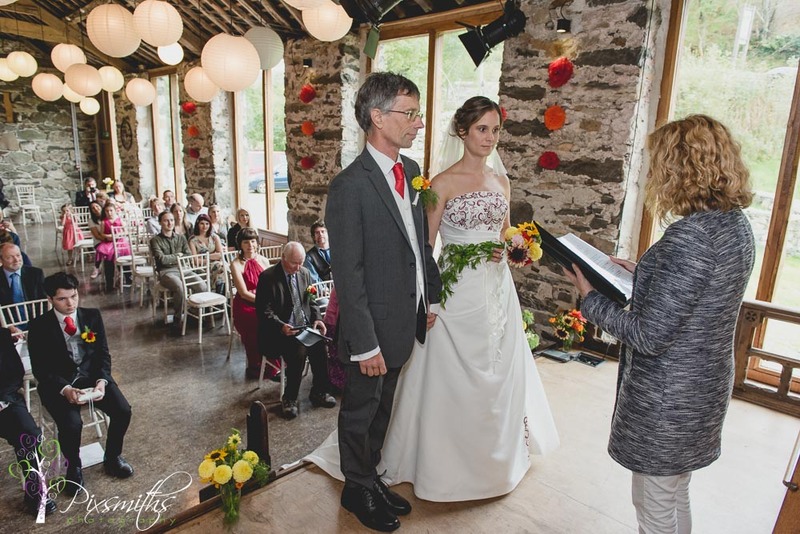 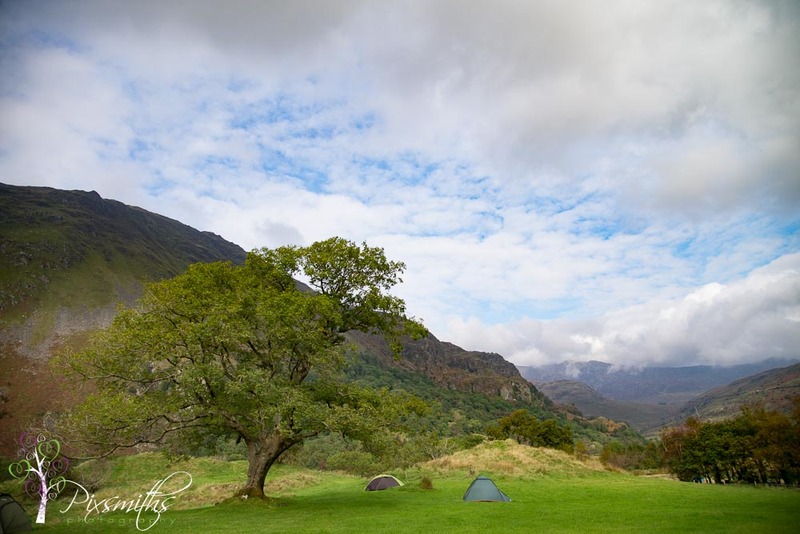 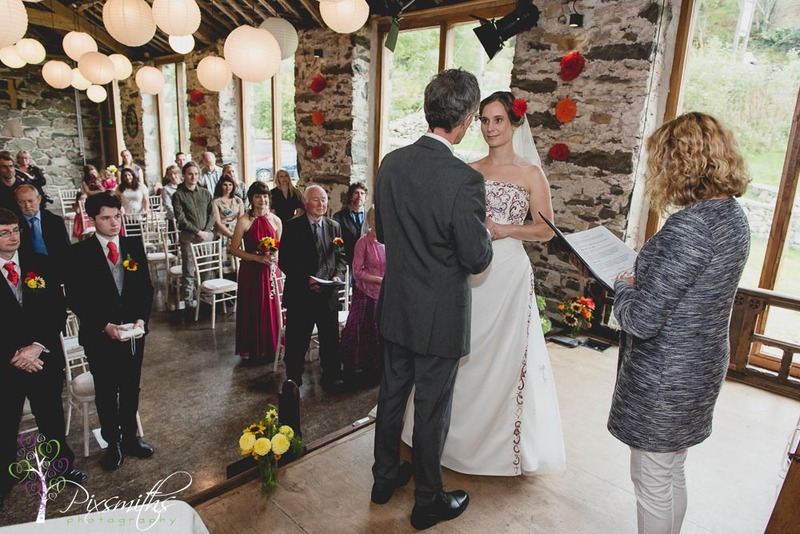 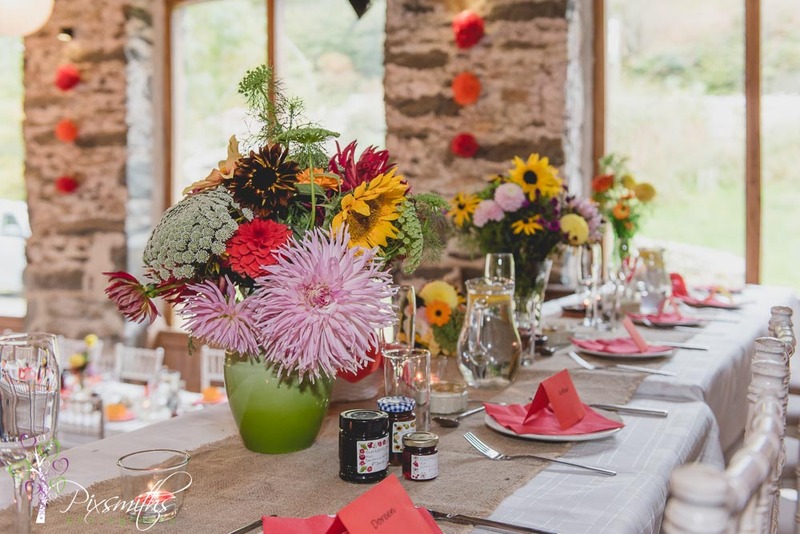 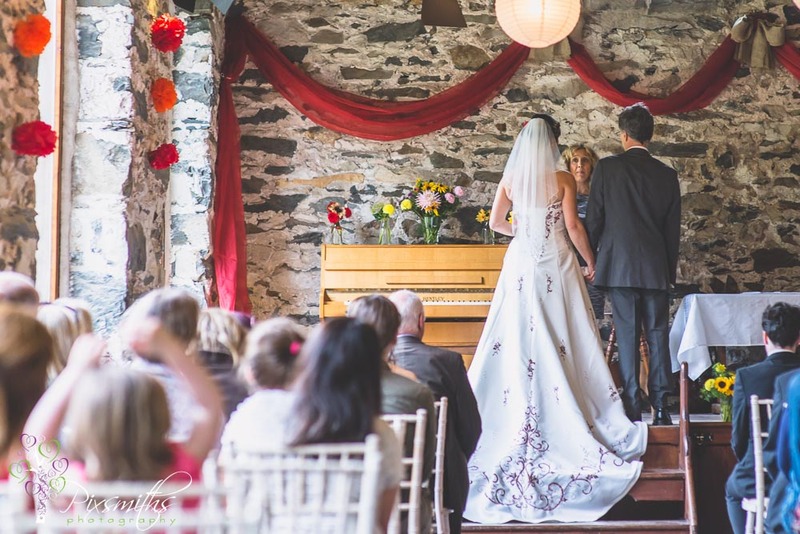 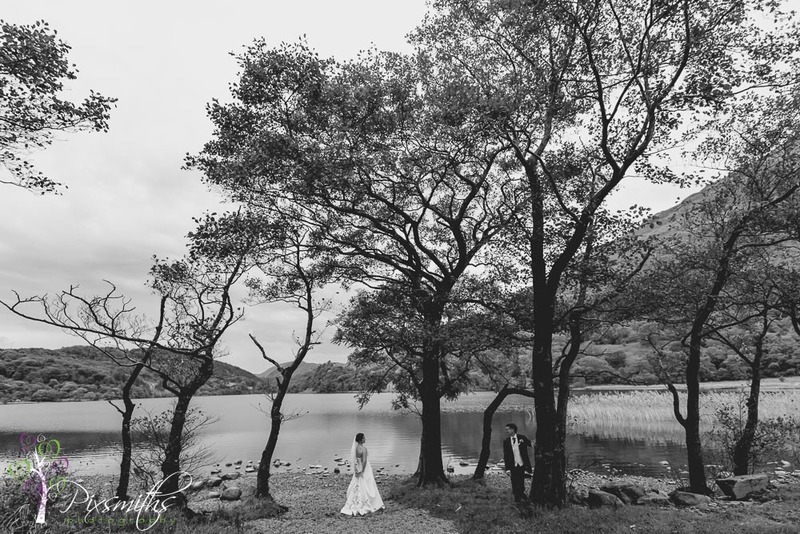 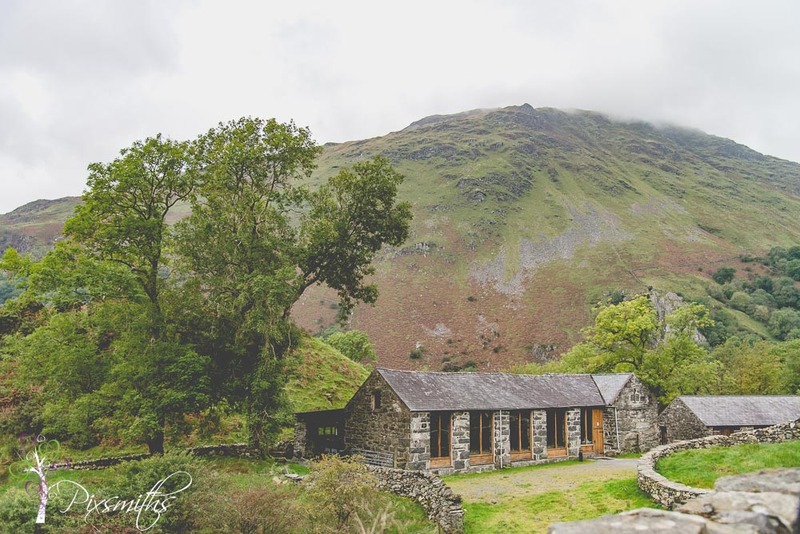 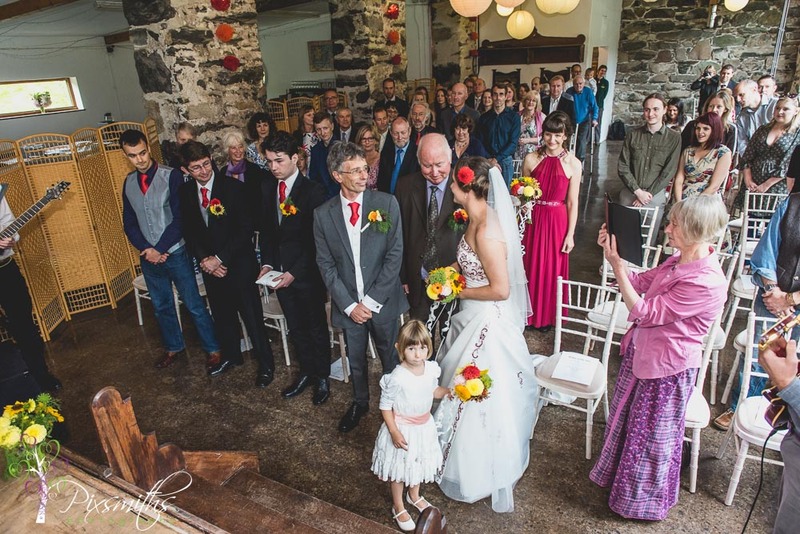 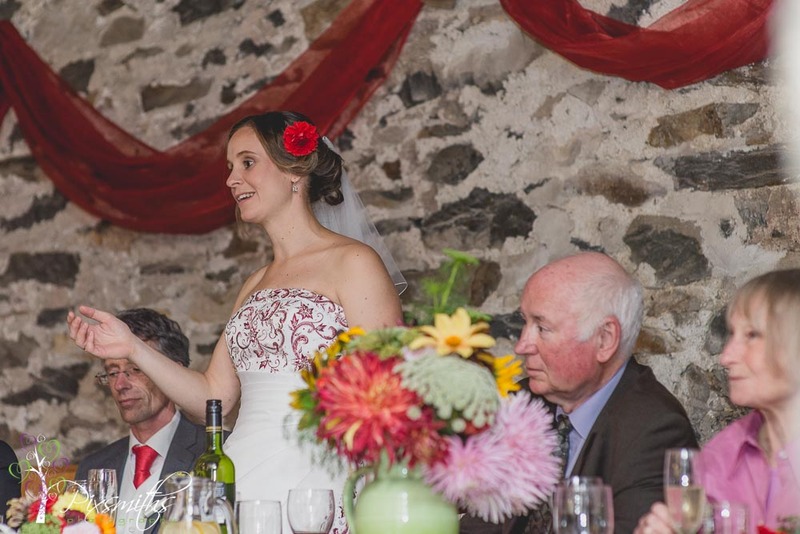 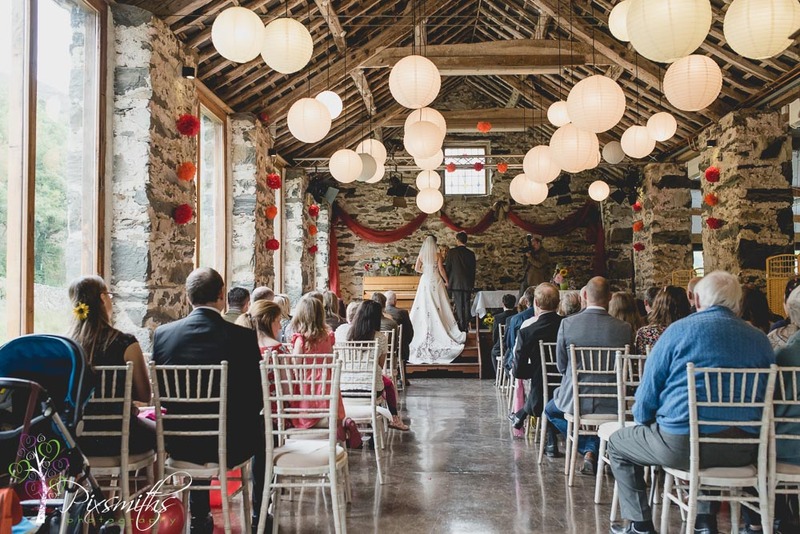 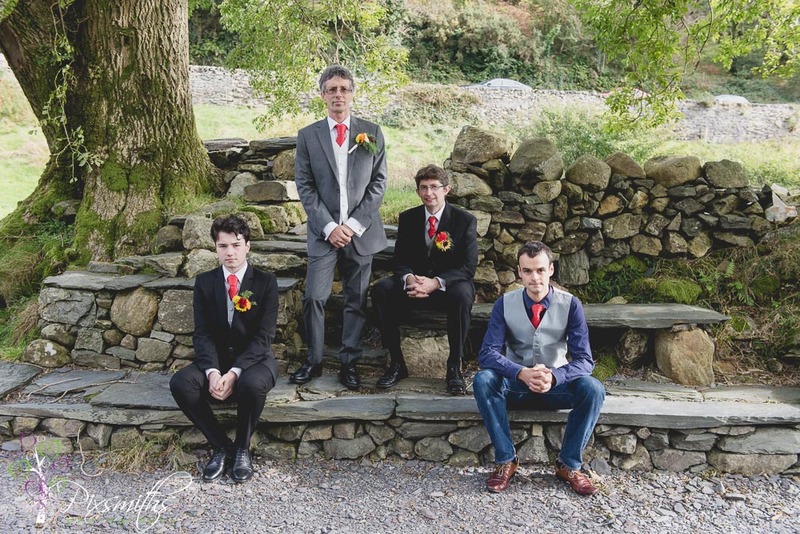 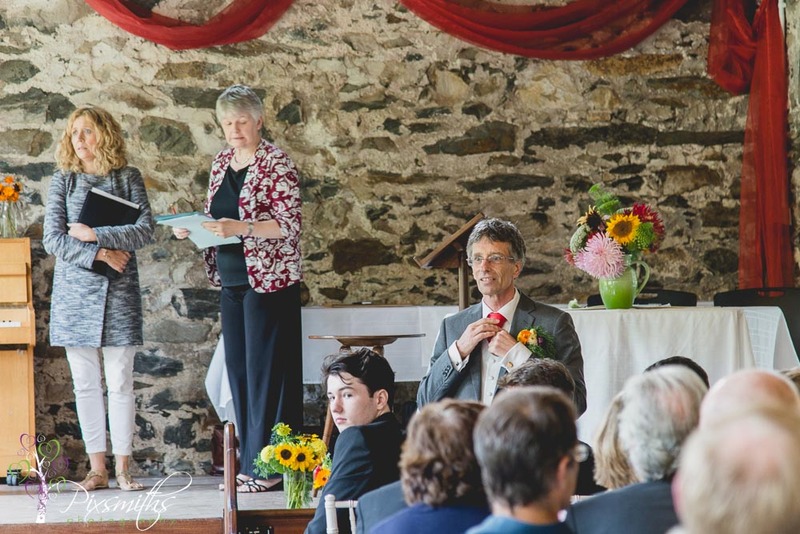 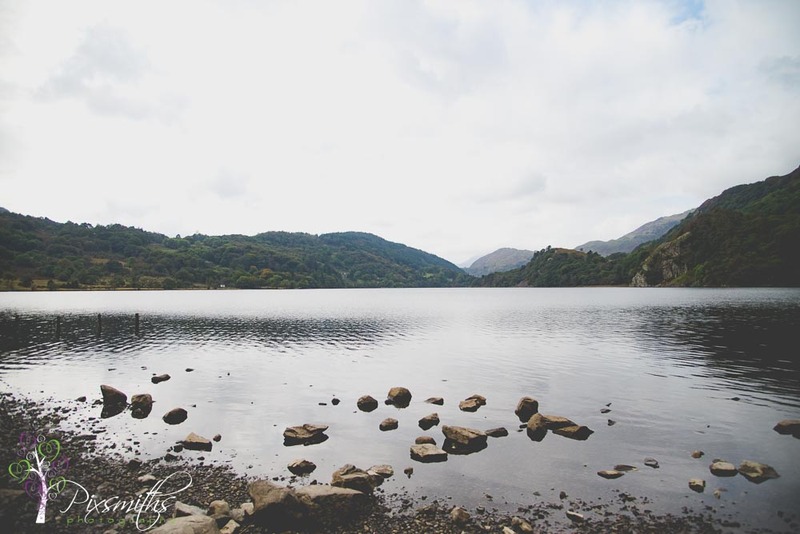 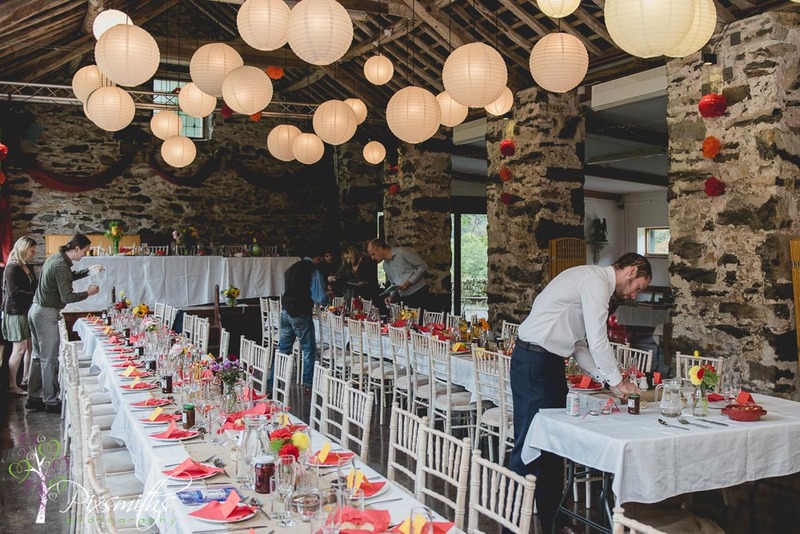 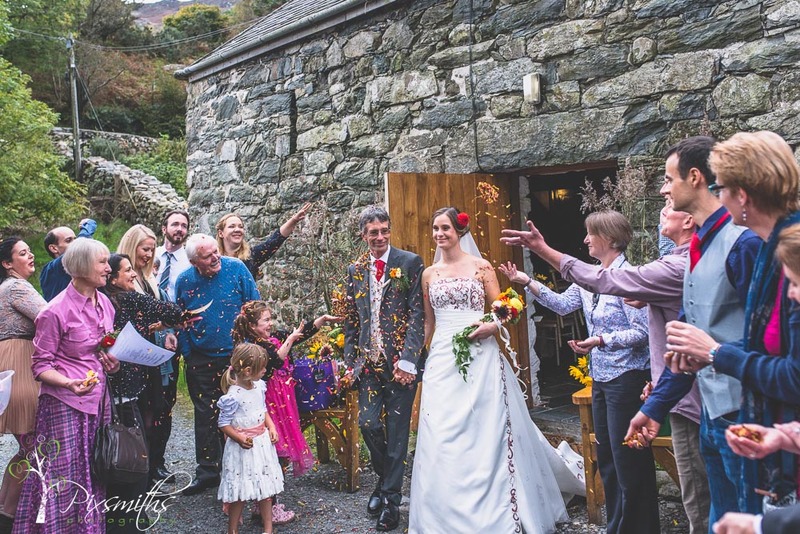 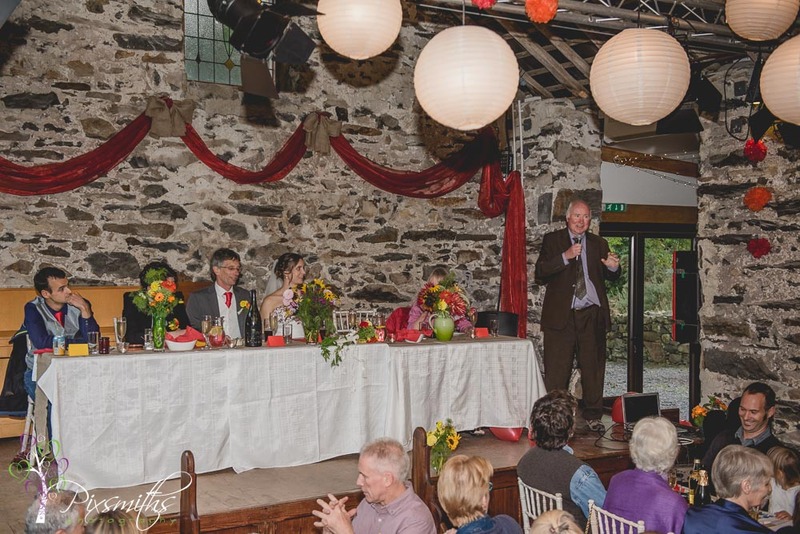 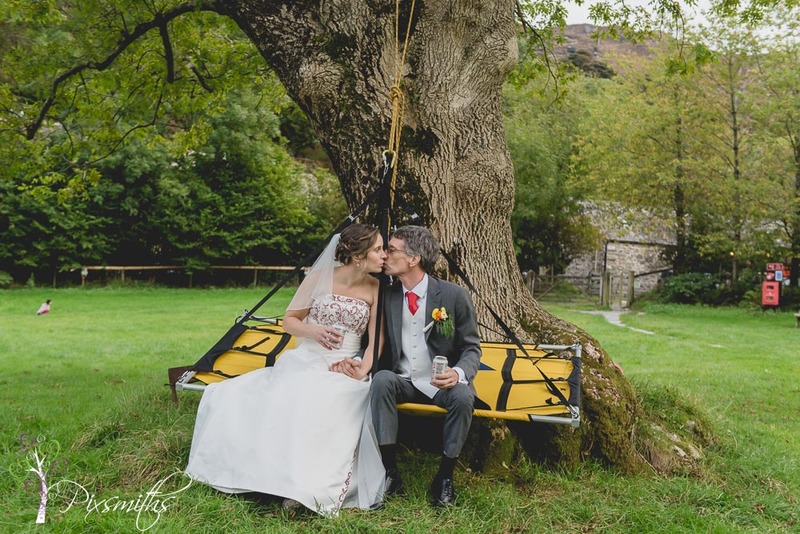 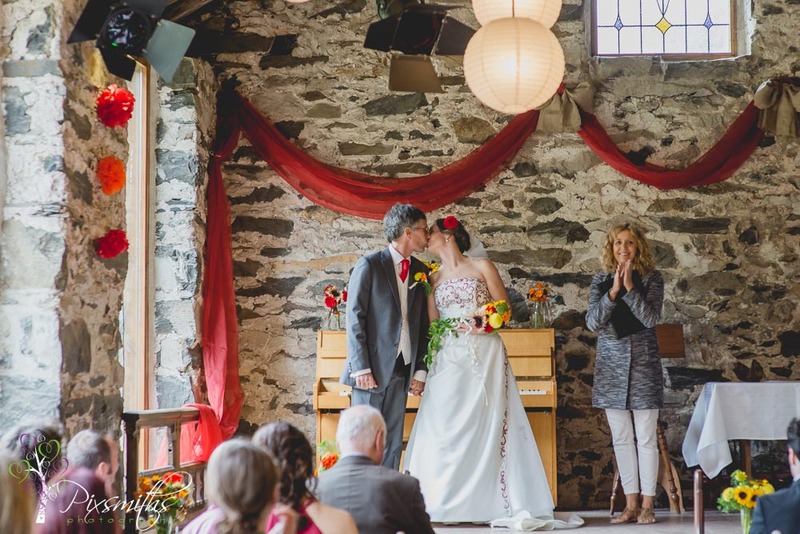 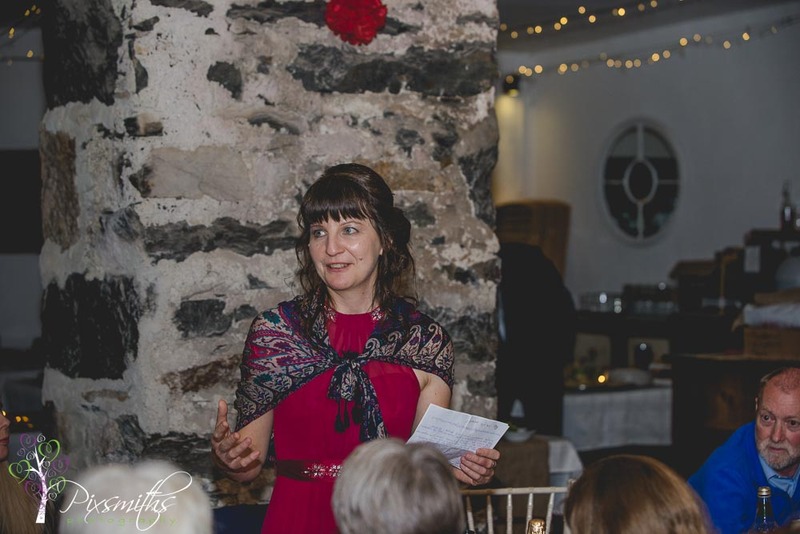 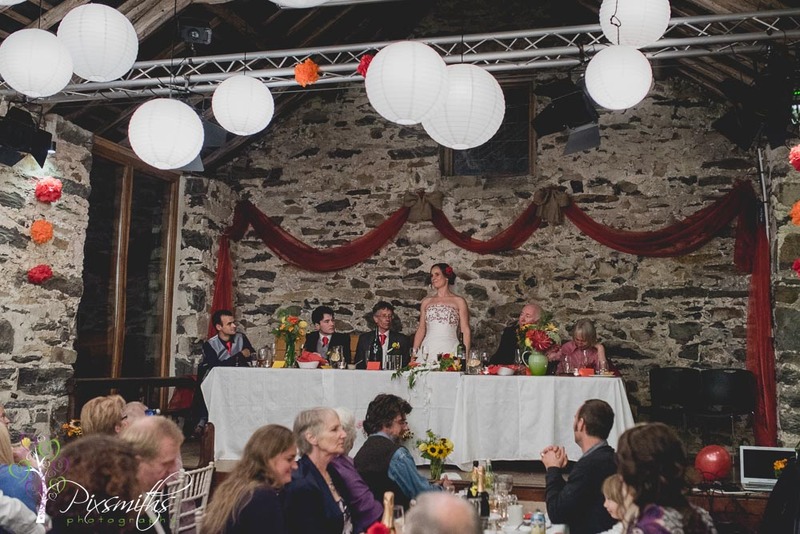 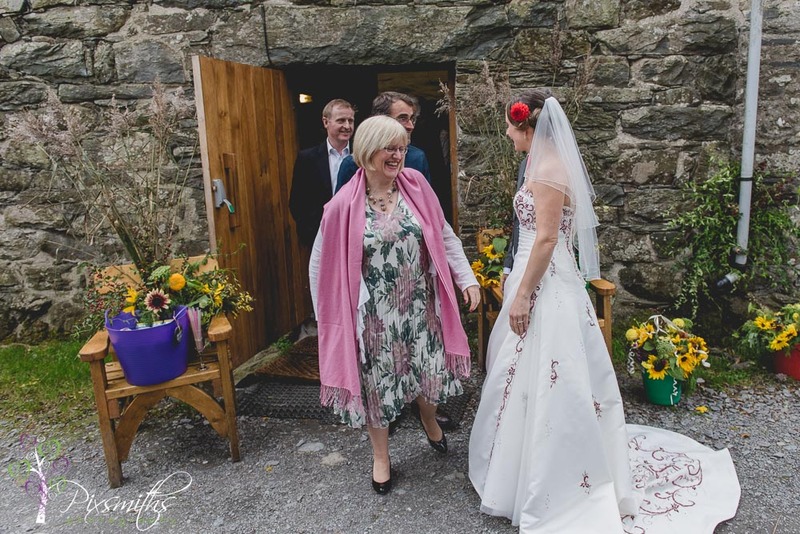 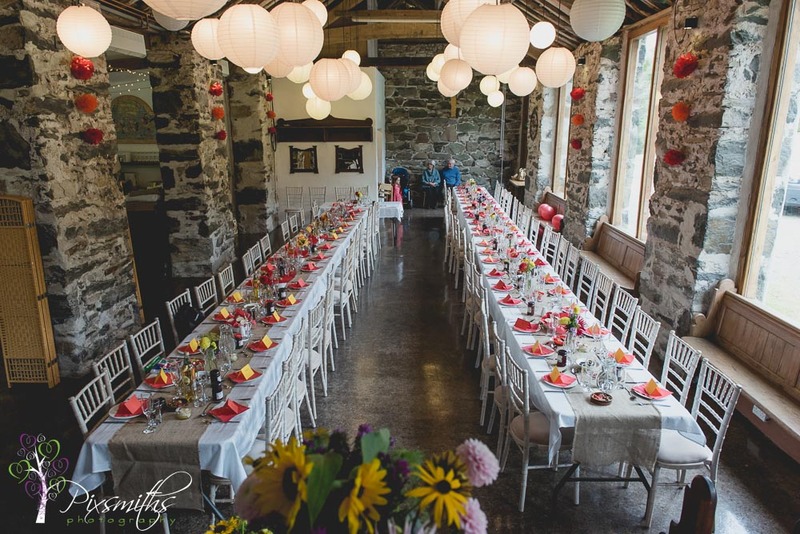 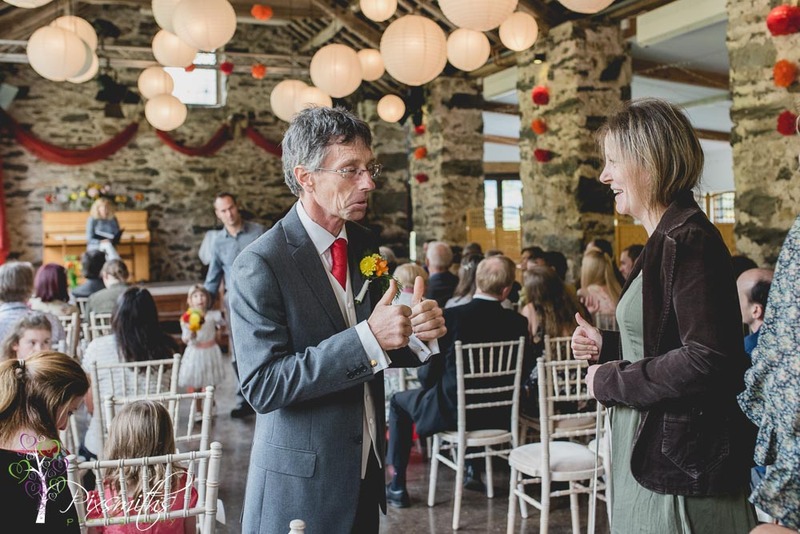 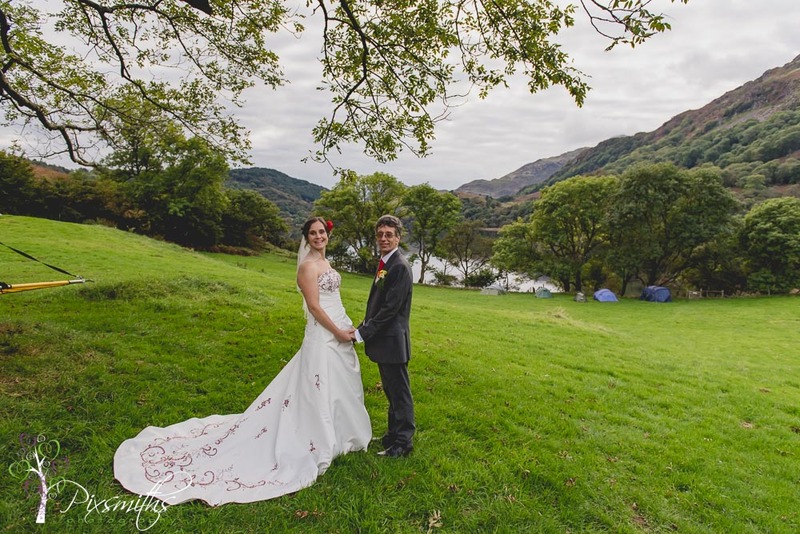 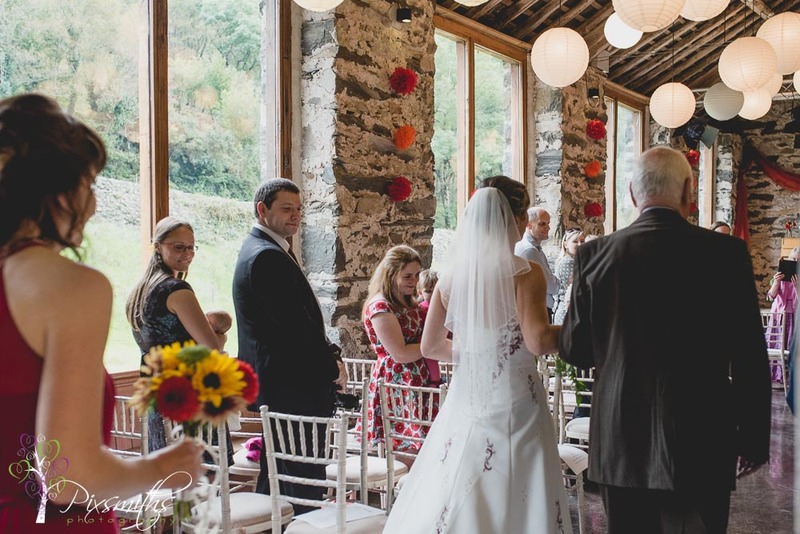 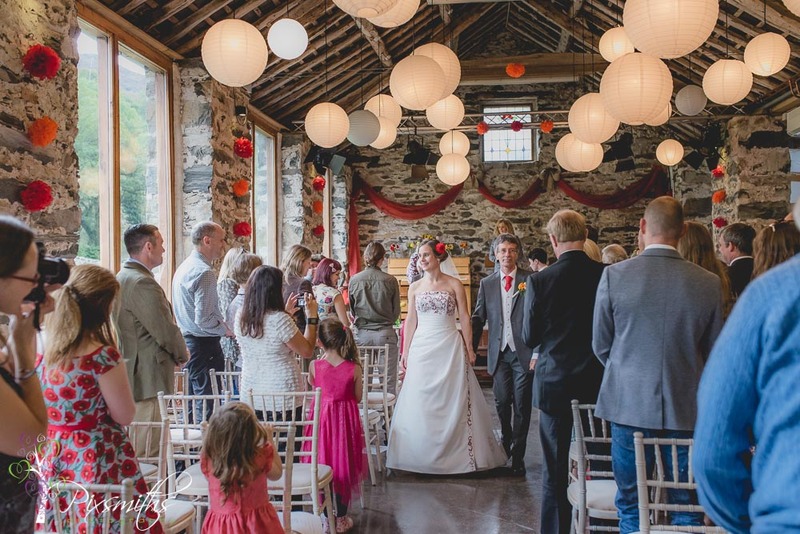 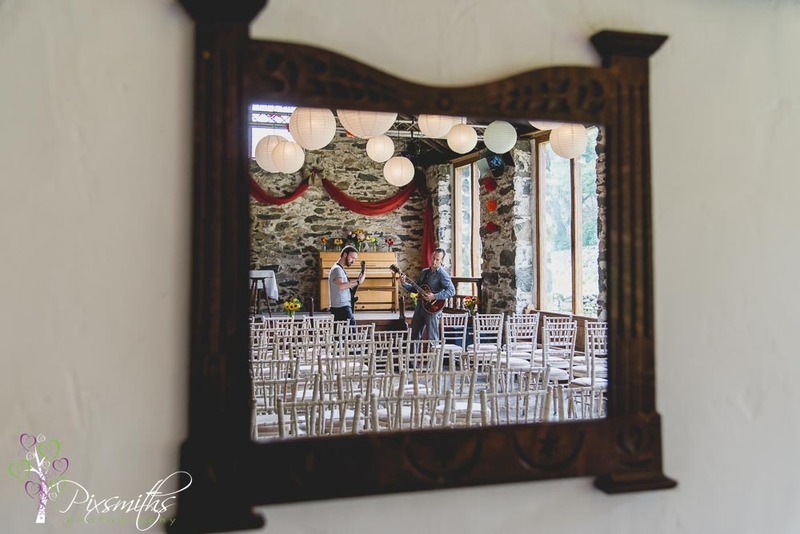 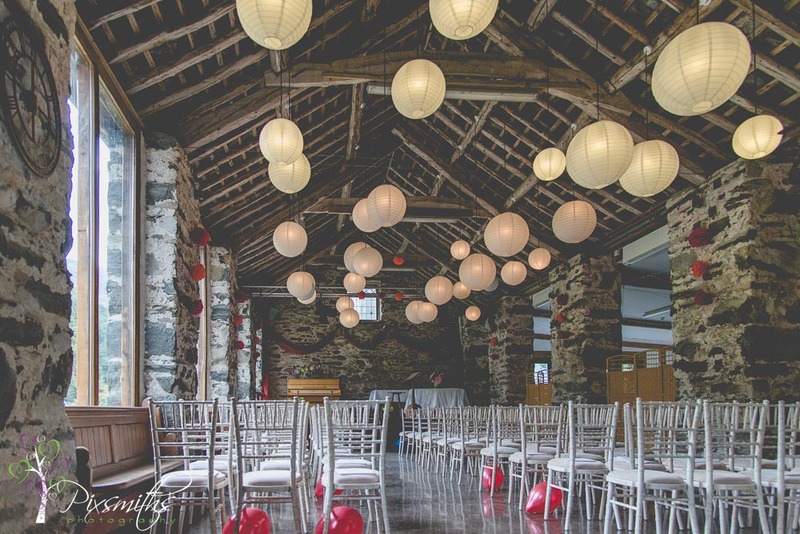 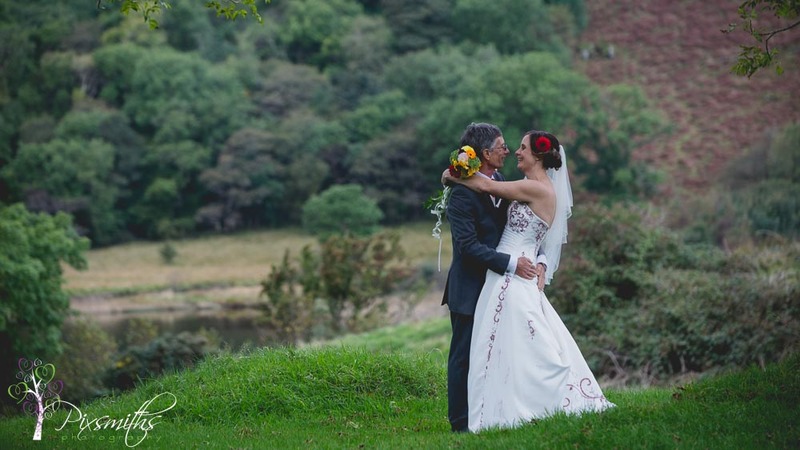 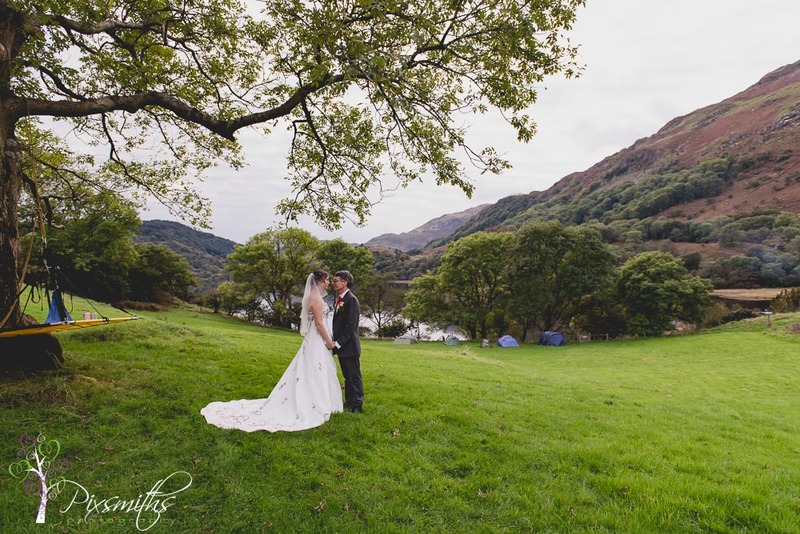 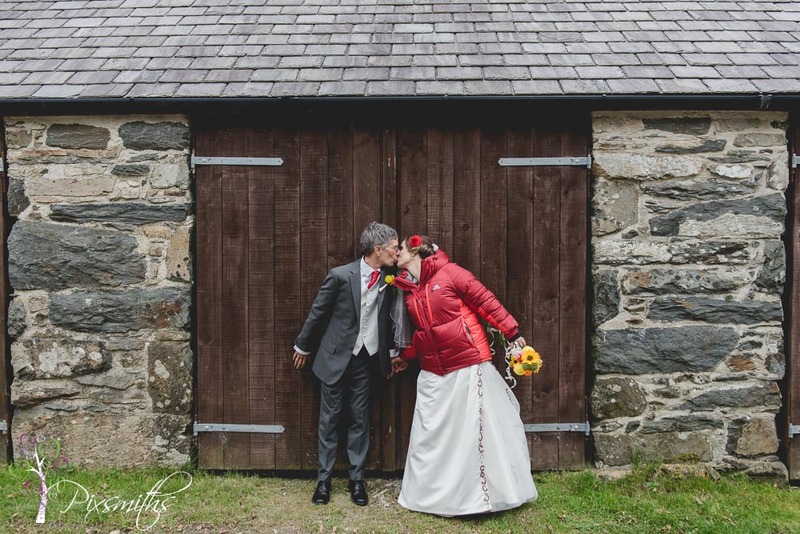 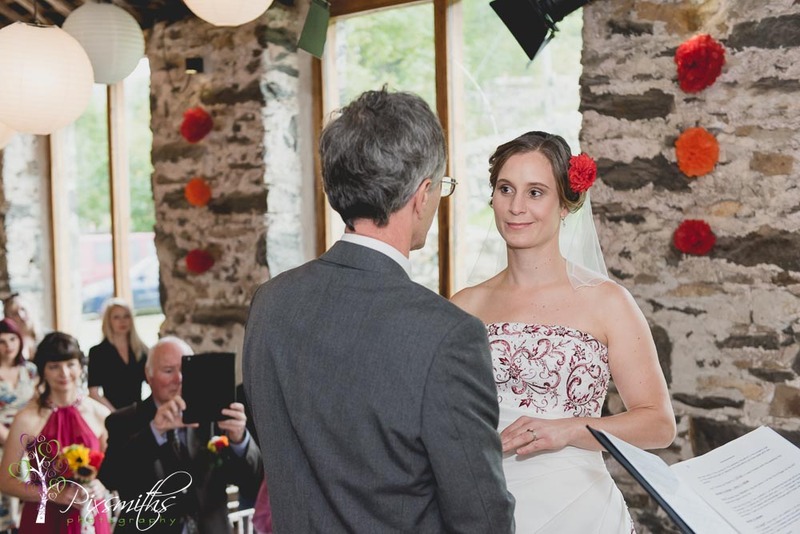 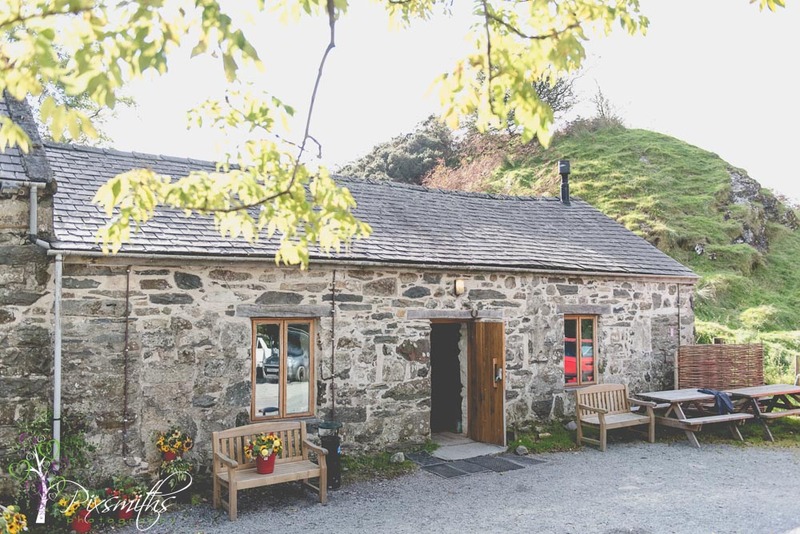 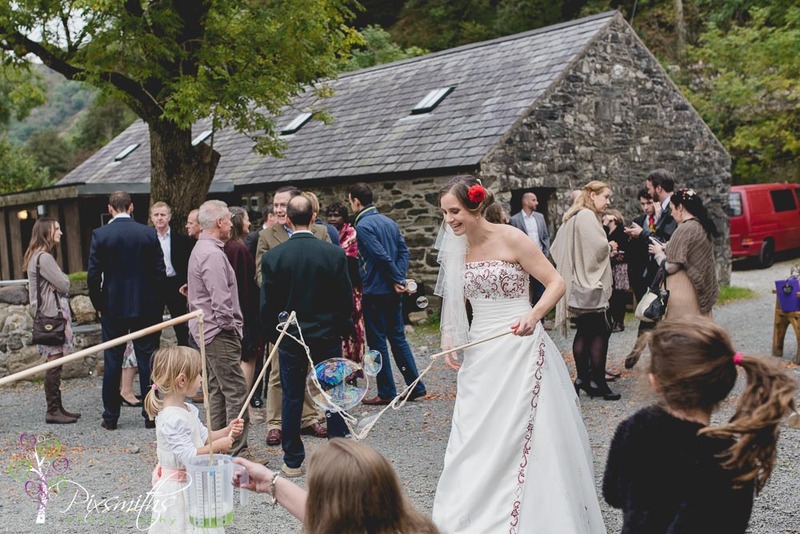 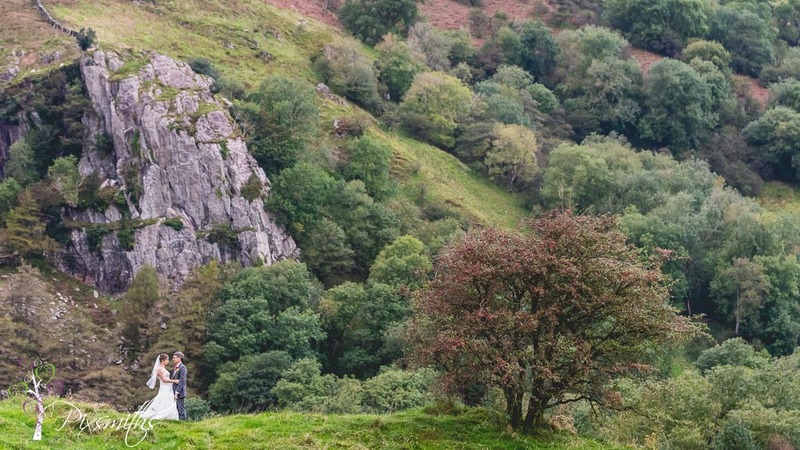 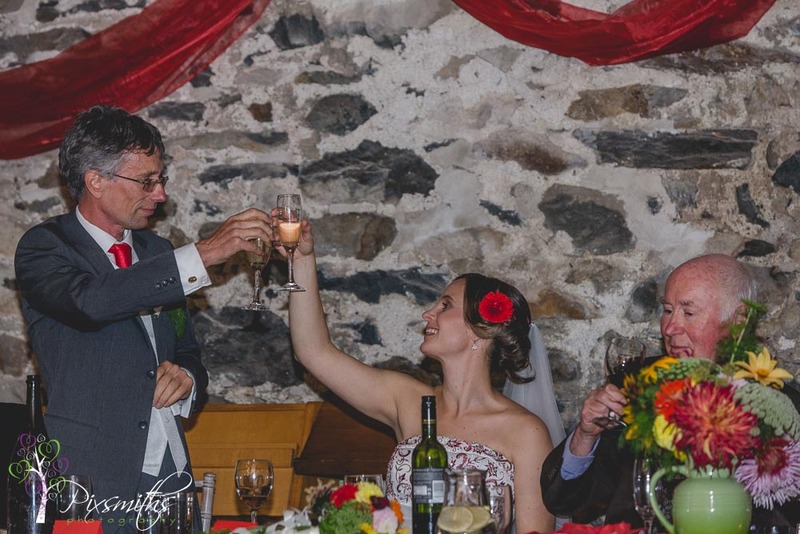 A ceremony in the North Wales barn by Llyn Gwynant in scenic Snowdonia National Park where many of their friends were camping out in the adjacent campsite. 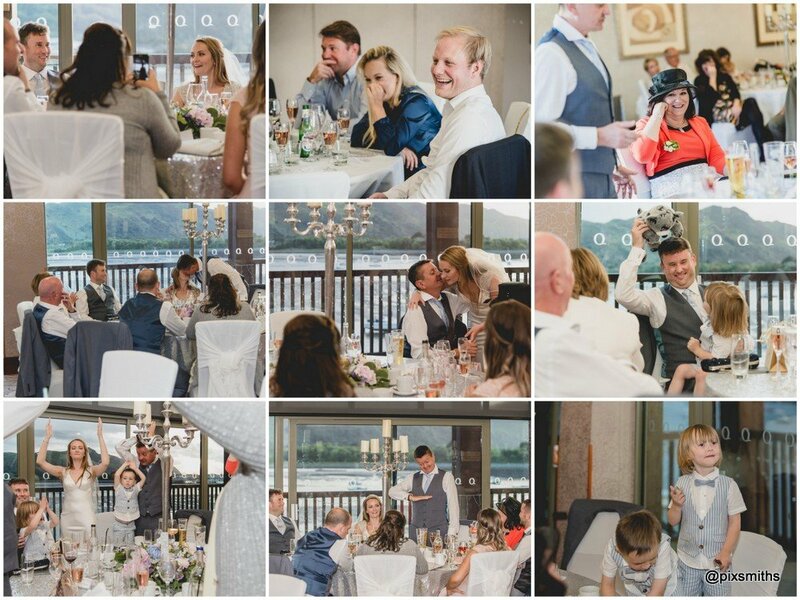 Oh we even had pics on their mountain portaledge where they intended to have their first night as a married couple befitting the theme of their mountain wedding. 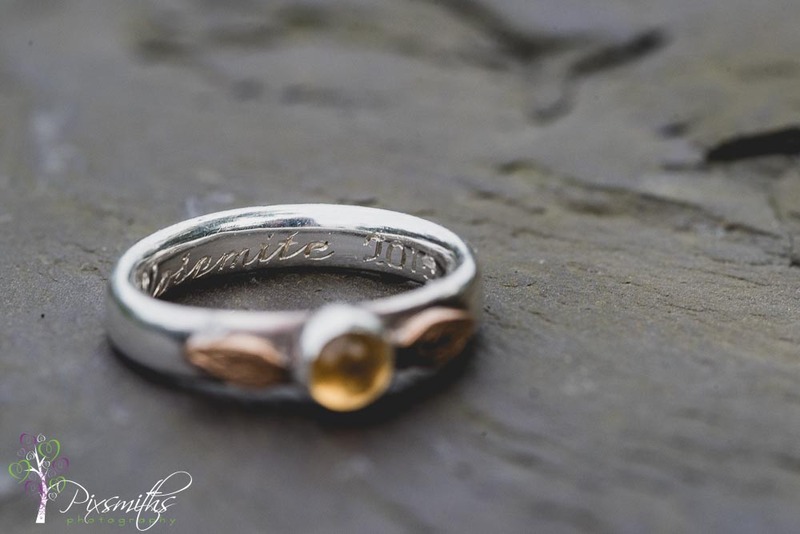 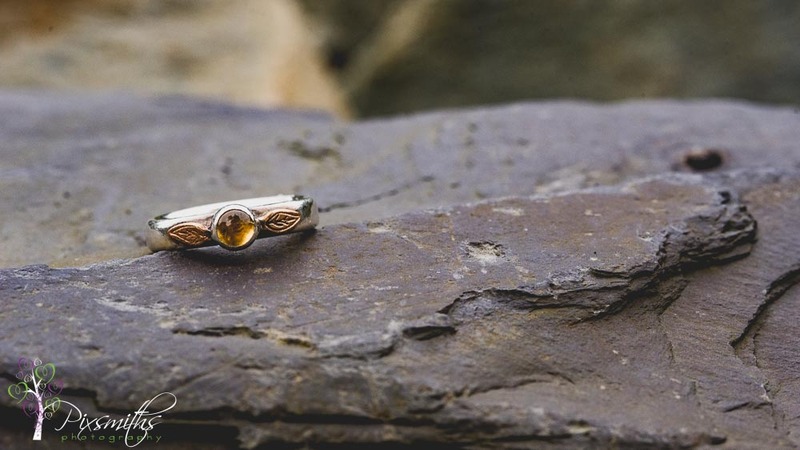 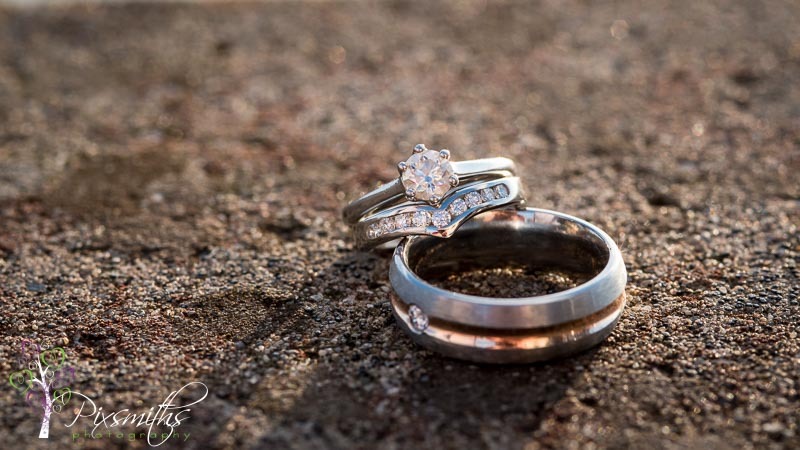 Indeed Phil had proposed to Helen in Yosemite and her ring had been hand crafted and engraved especially. 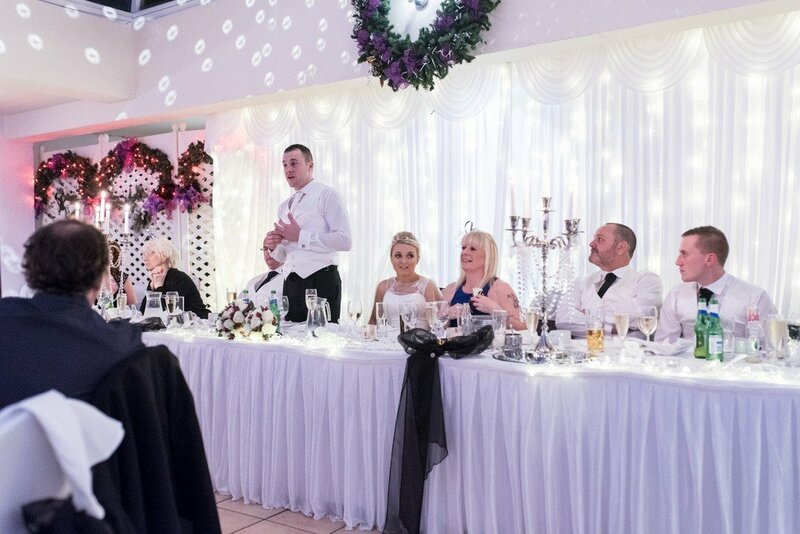 Starters on the table as Phil got proceedings underway by opening the big bottle of homegrown champagne inviting friends to open theirs at the same time such a lovely touch. 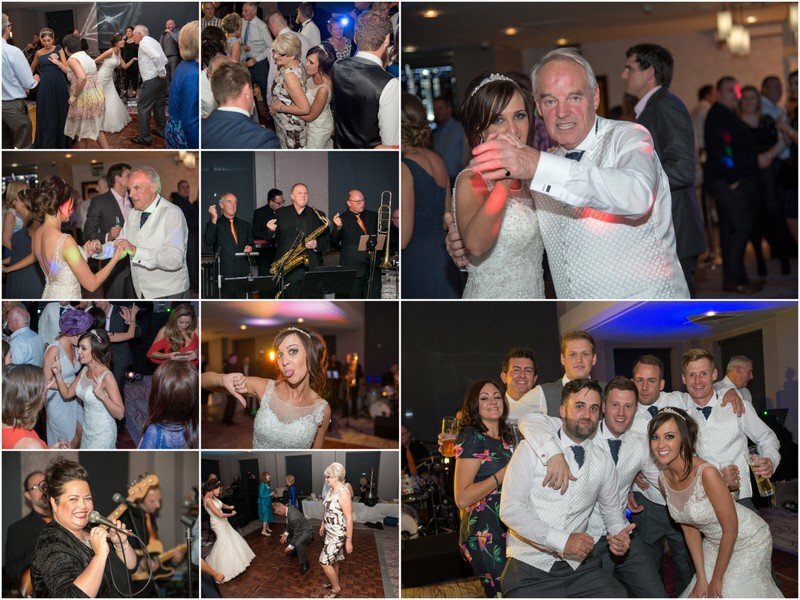 A real fun memorable day for all and great teamwork to put on such a wonderful event. 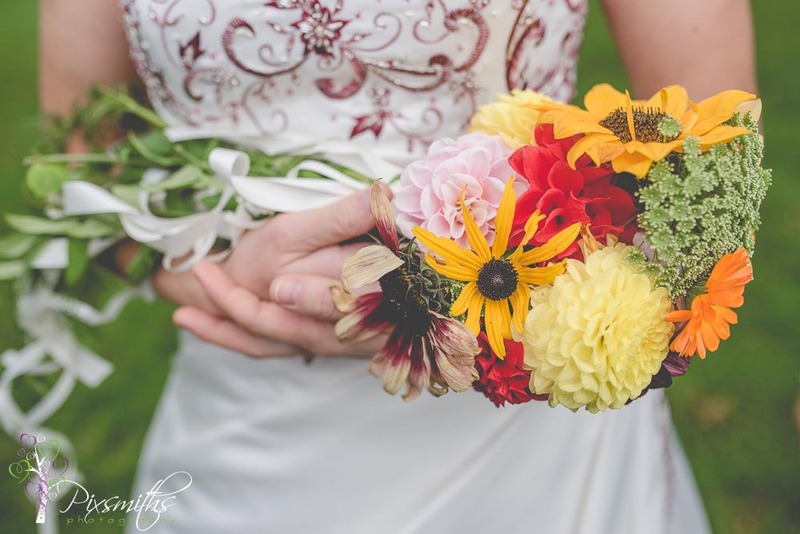 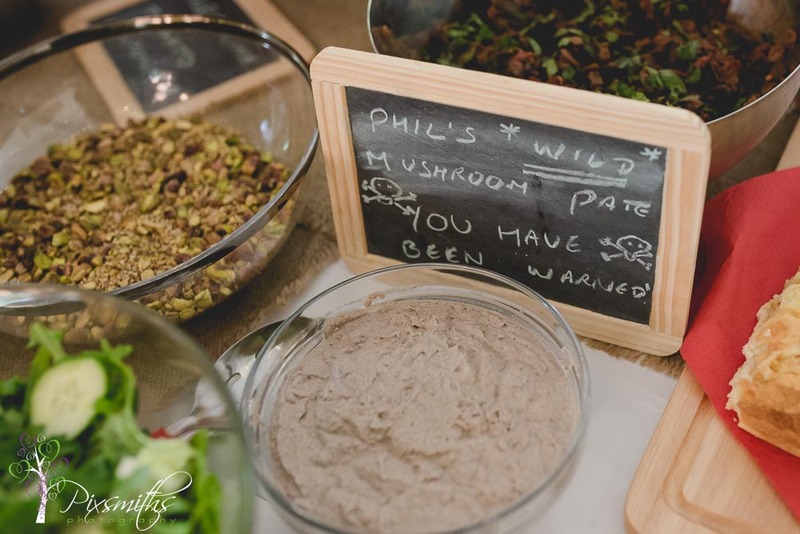 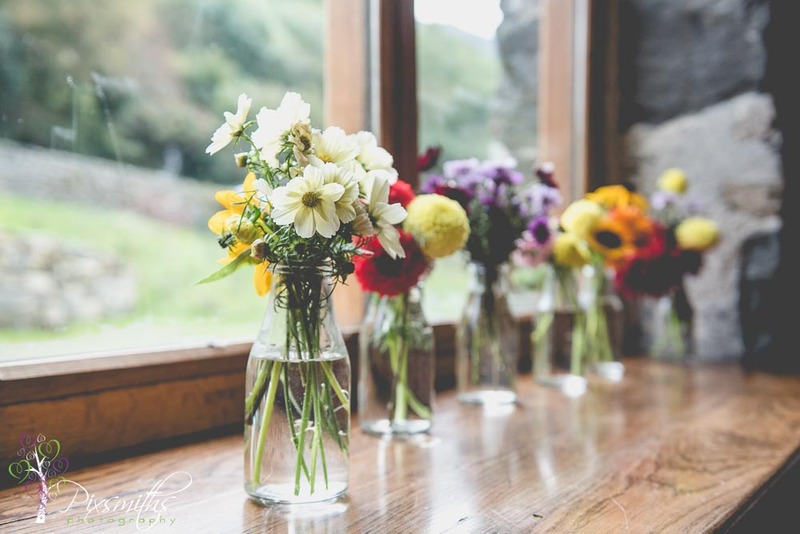 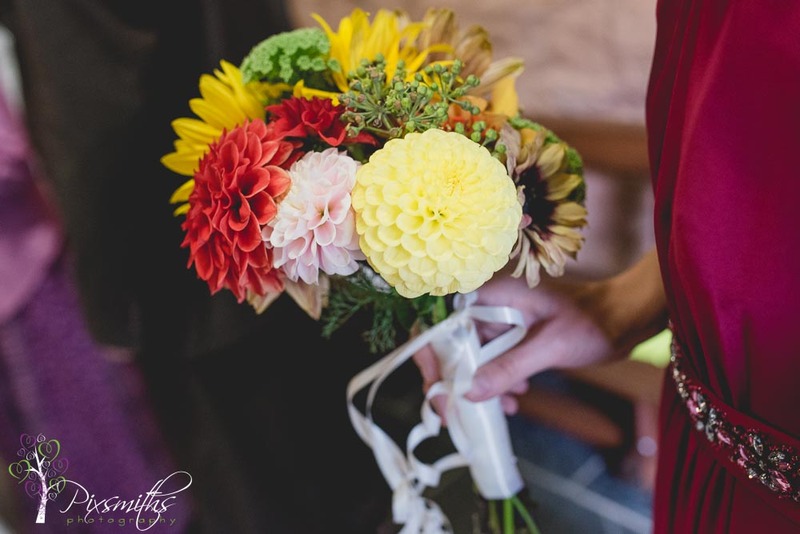 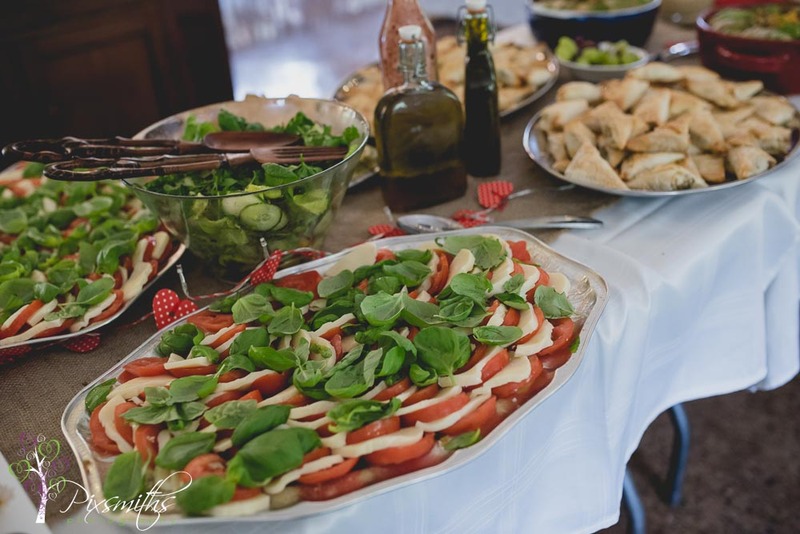 Thank you Phl and Helen for inviting us to capture and share your amazing DIY Barn wedding we so enjoyed it and wish you much happiness to come. 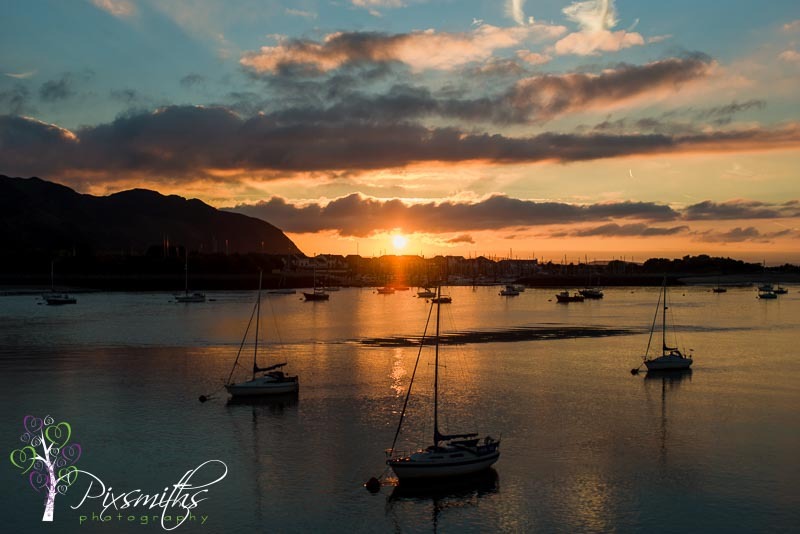 Such a scenically located hotel on the marina of Deganwy with fabulous staff and food. 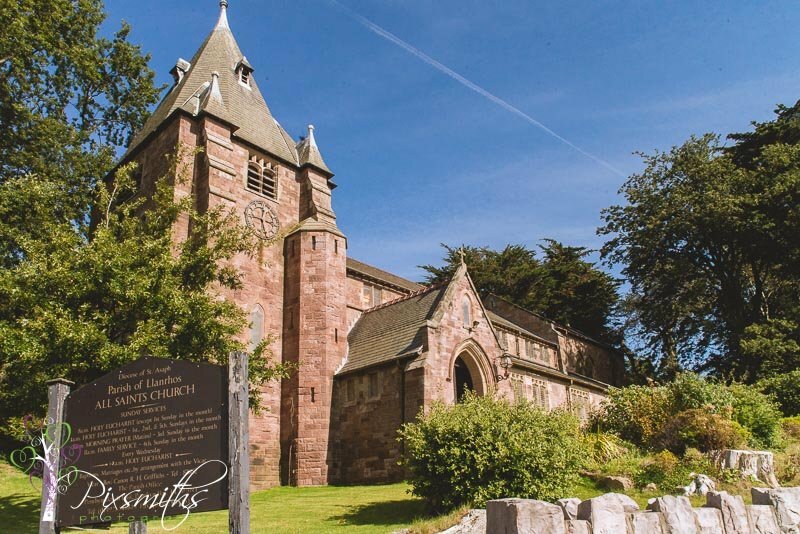 Always a pleasure to be here. 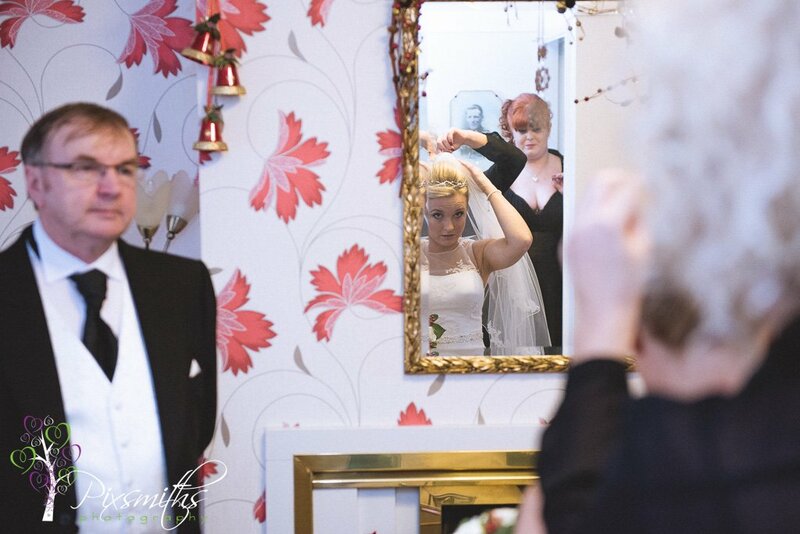 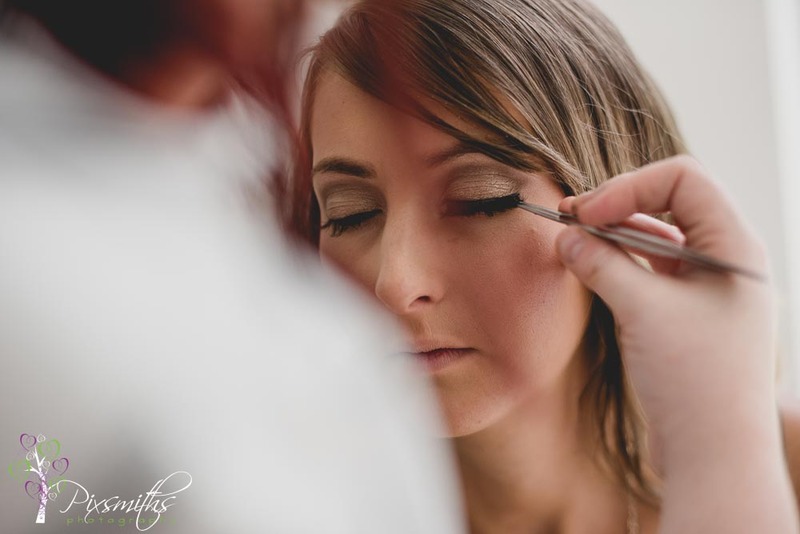 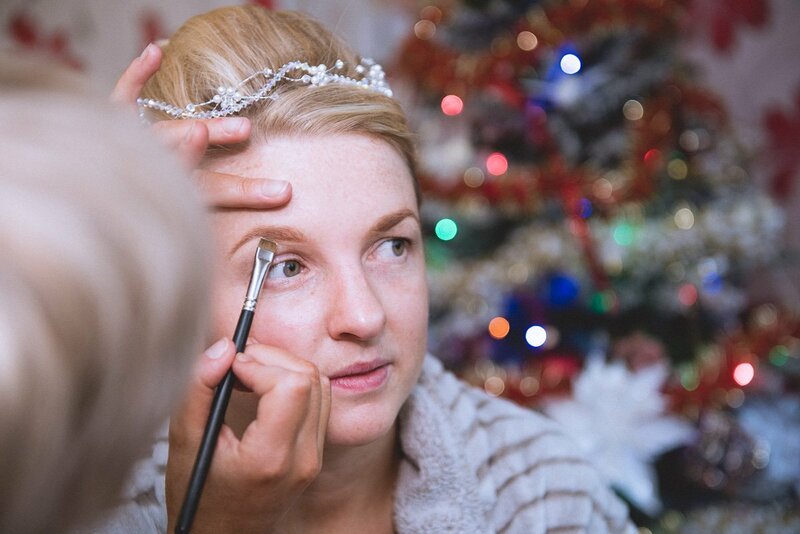 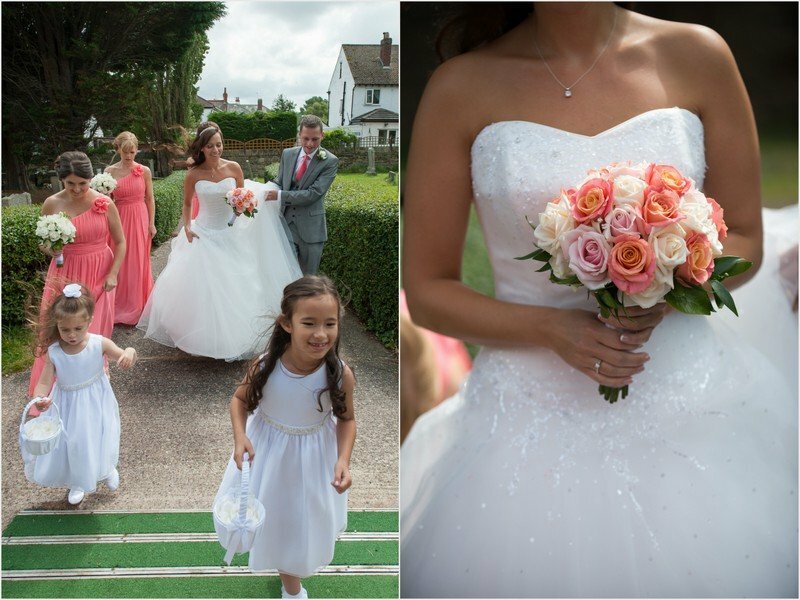 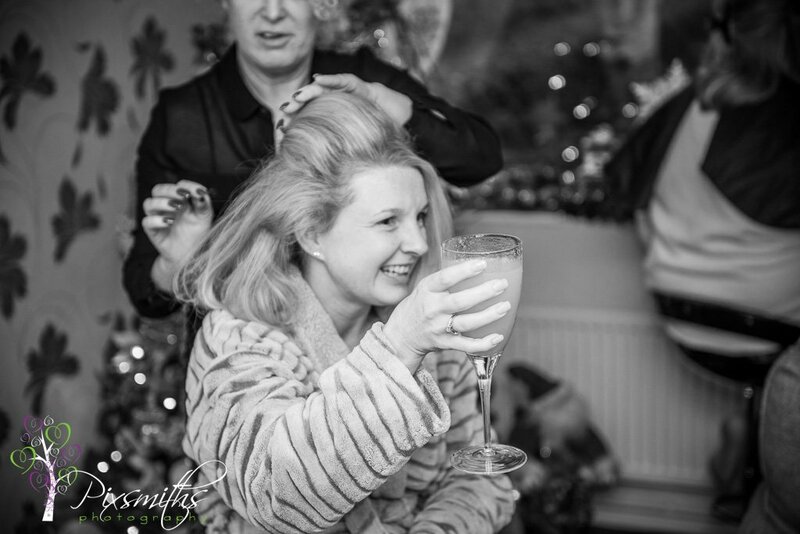 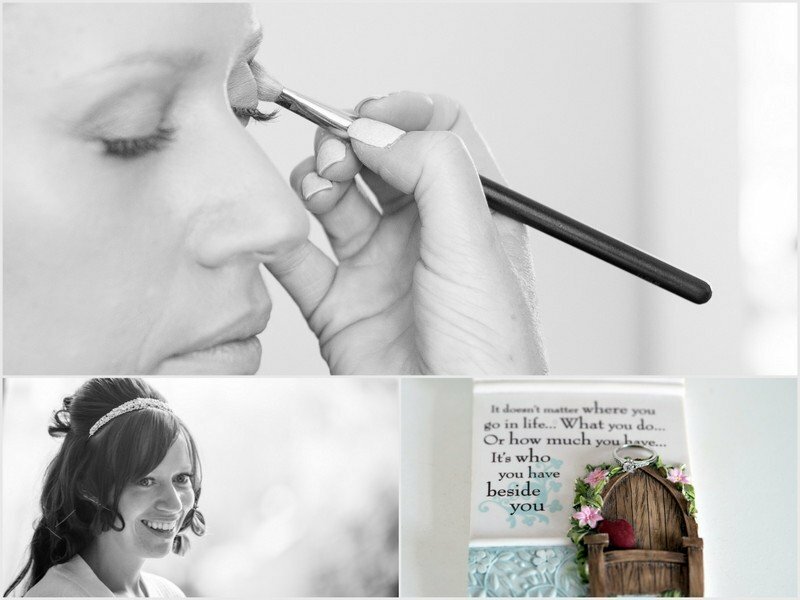 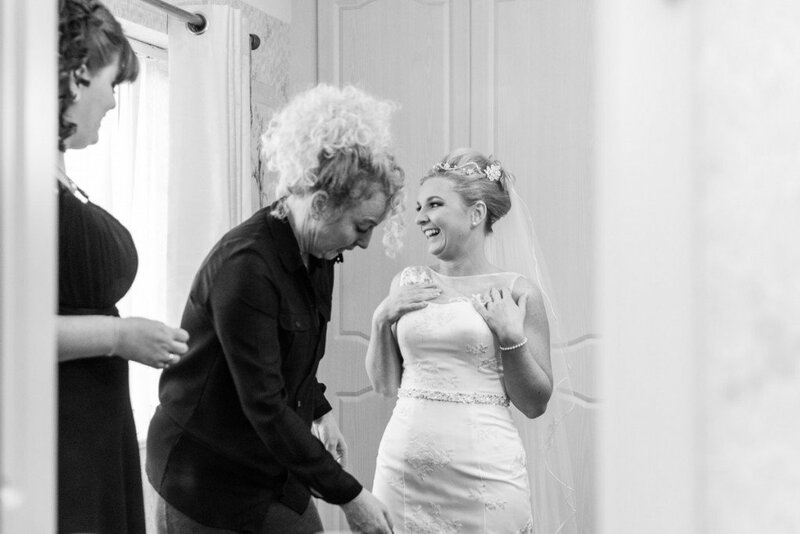 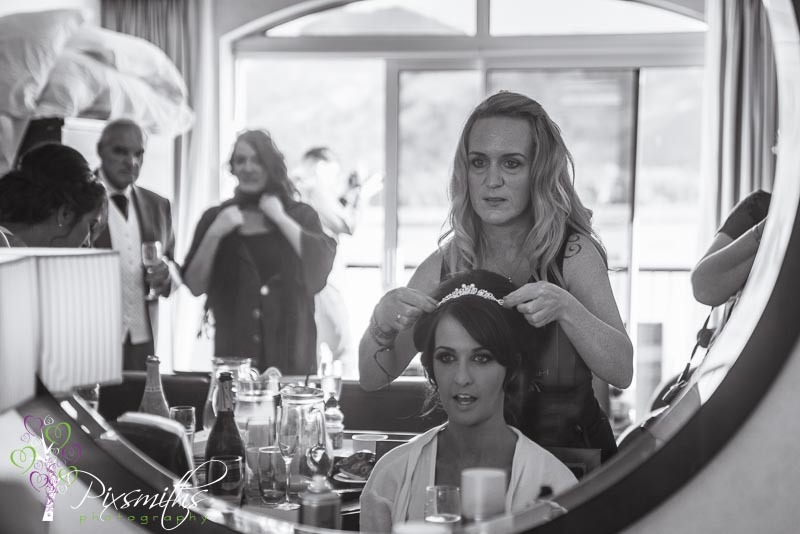 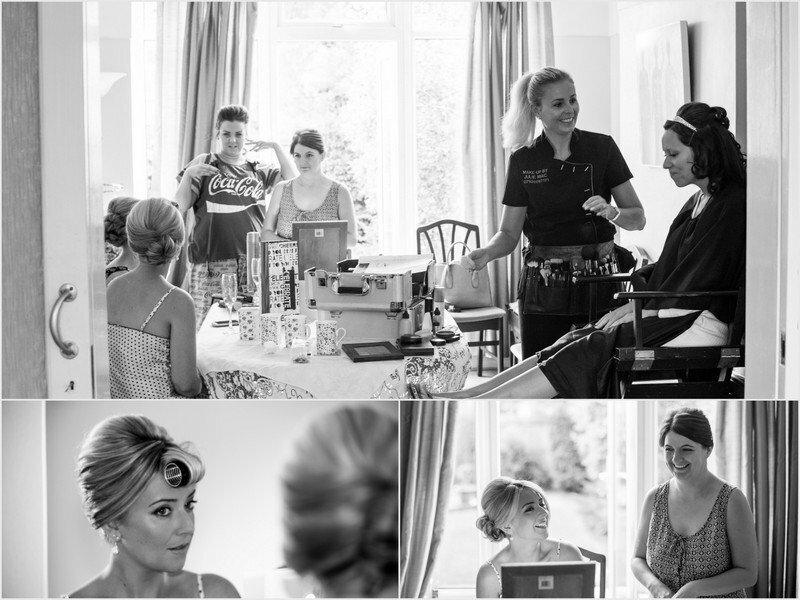 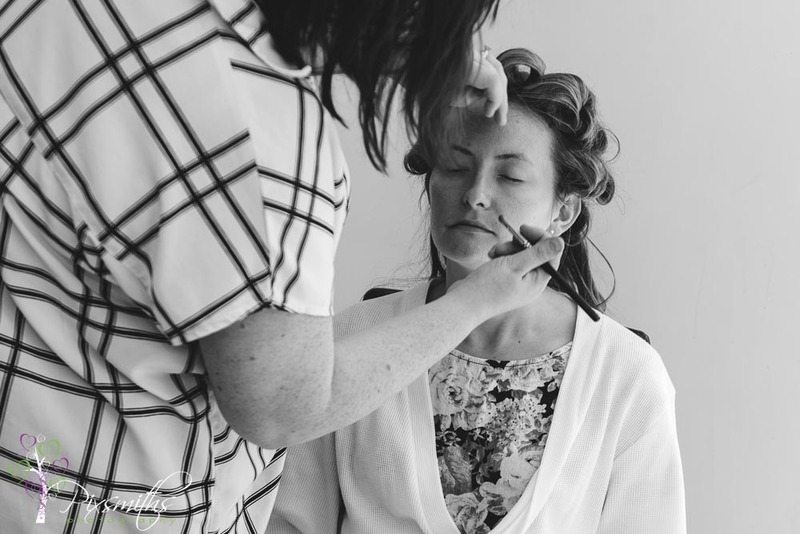 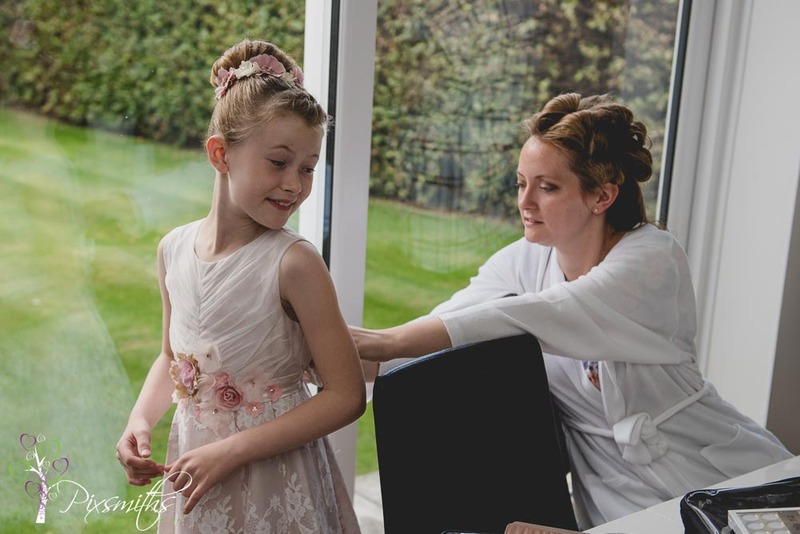 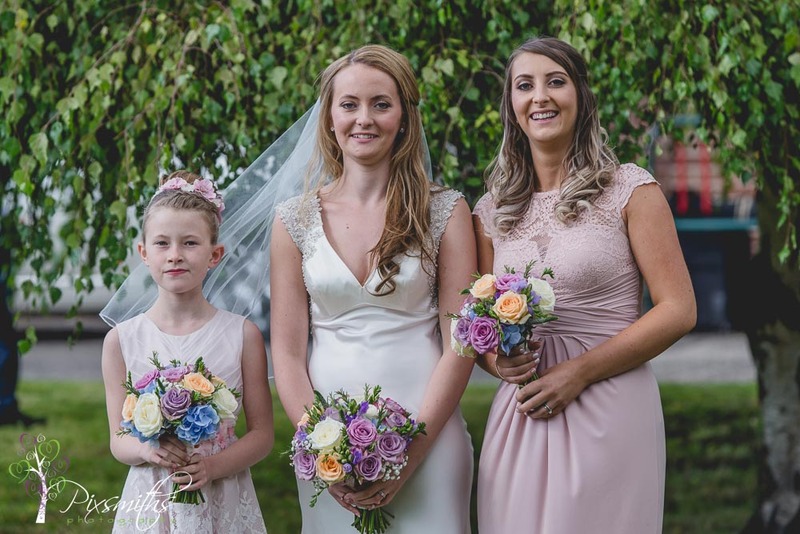 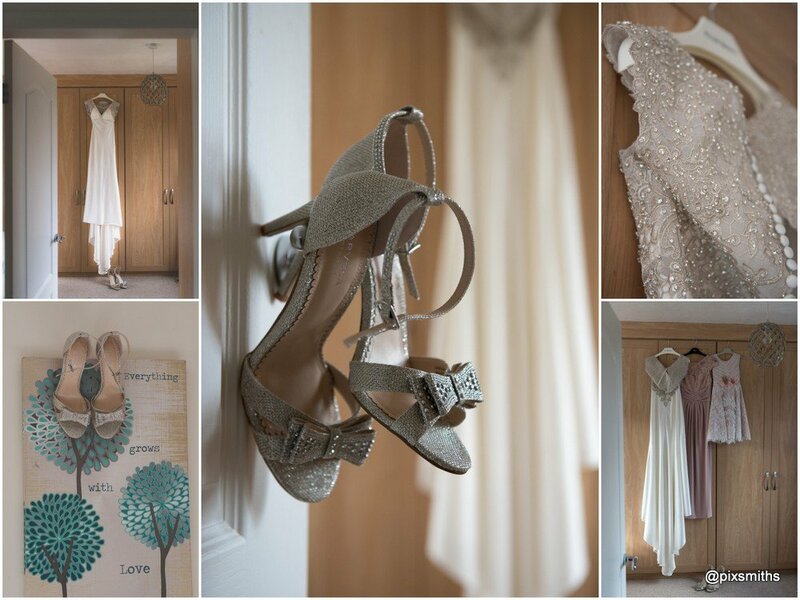 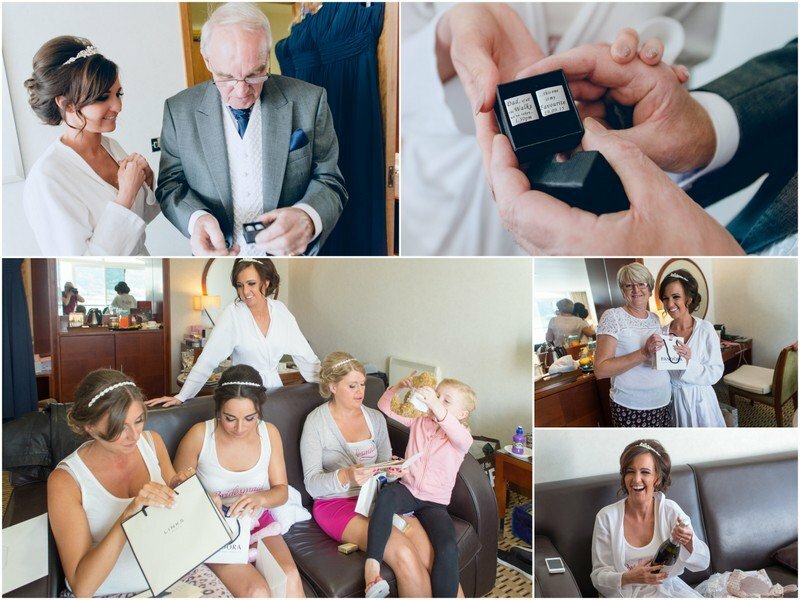 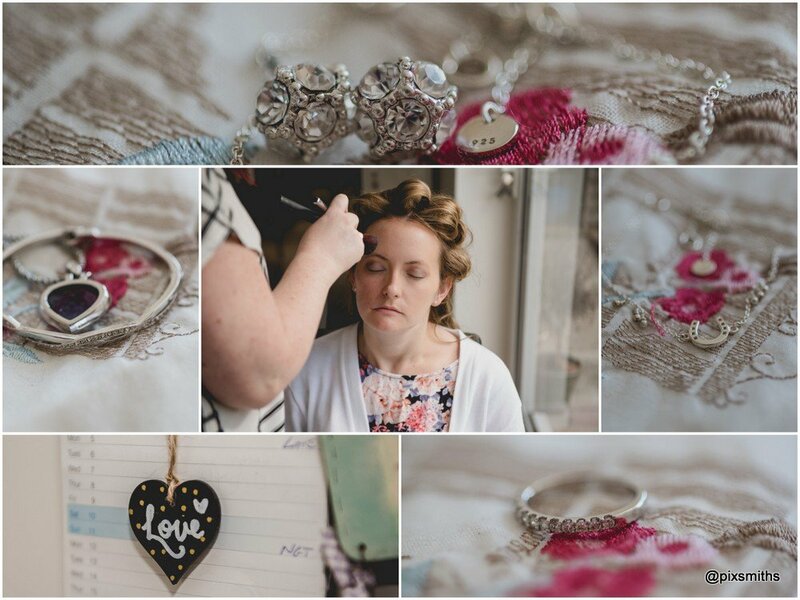 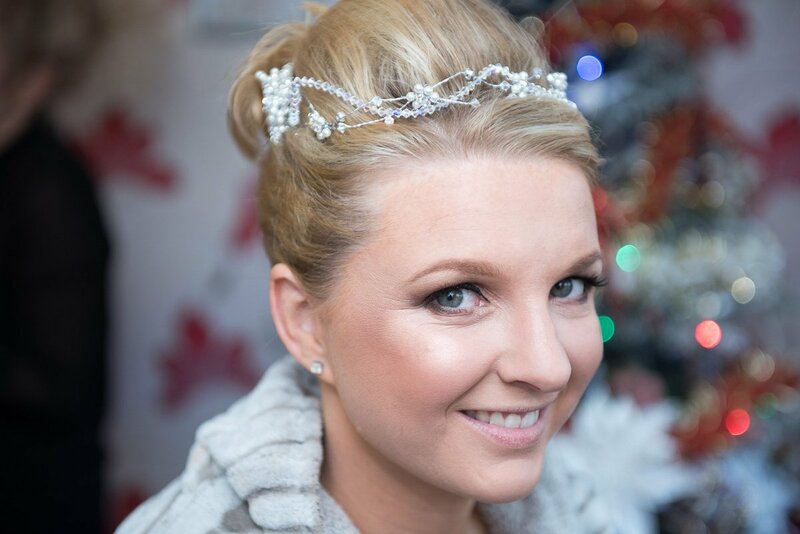 Zoe and her bridesmaids readied themselves at her mum’s home and pampered by the lovely Cathryn Kerwin_Rawlinson as their MUA. 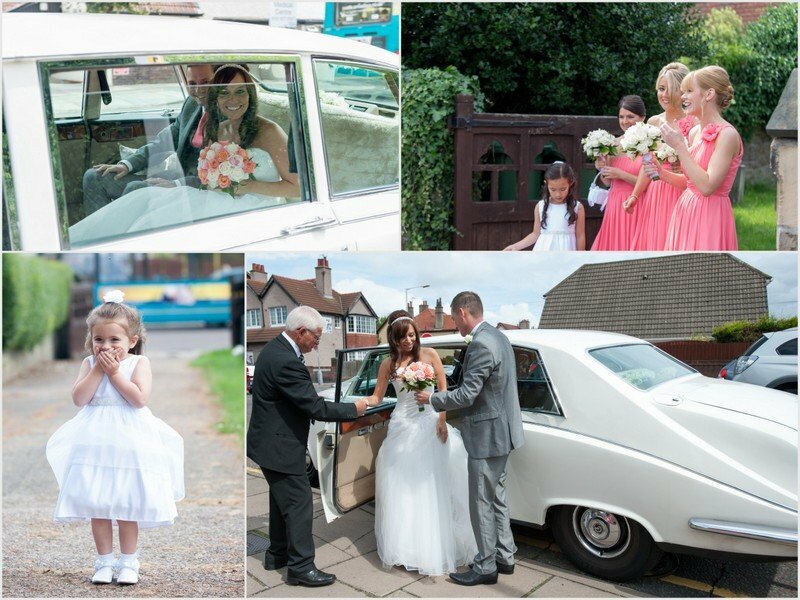 They then made their way to the nearby family church were their children had been christened in their white bridal car. 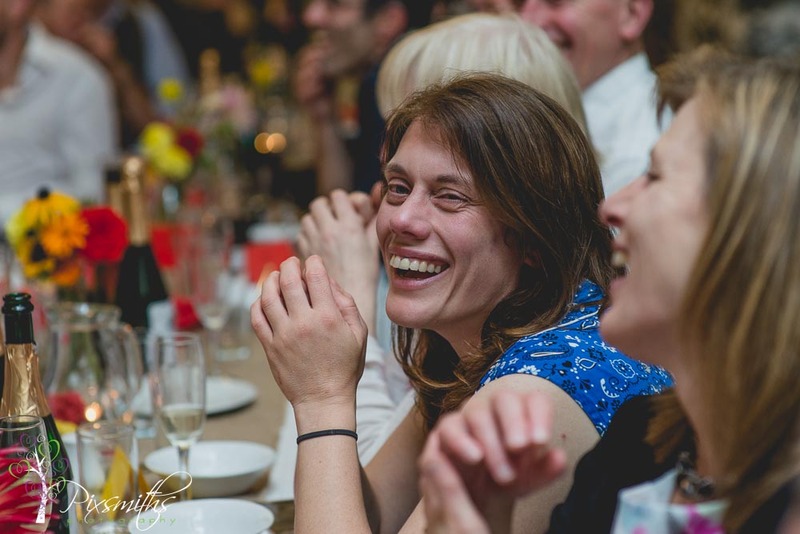 Zoe was ..as tradition allows…a bit late but all well for the service , which was packed with their friends and family. 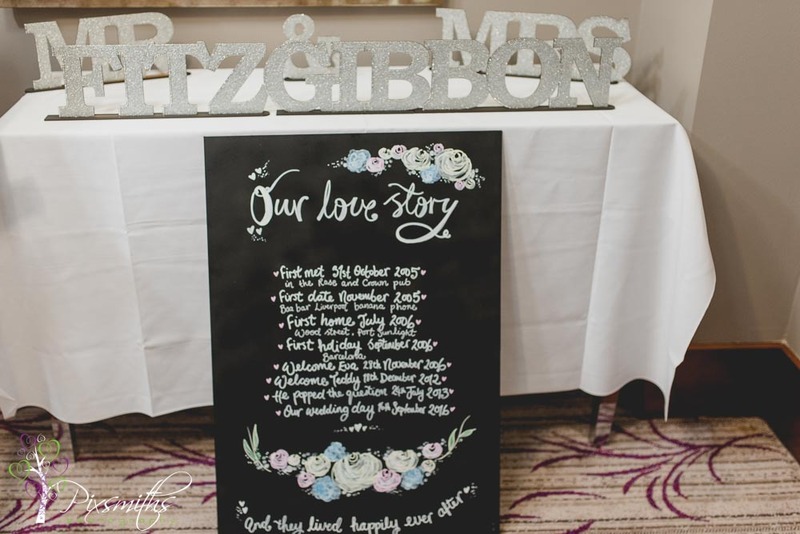 A beautiful chalkboard welcomed bride and the guests in. 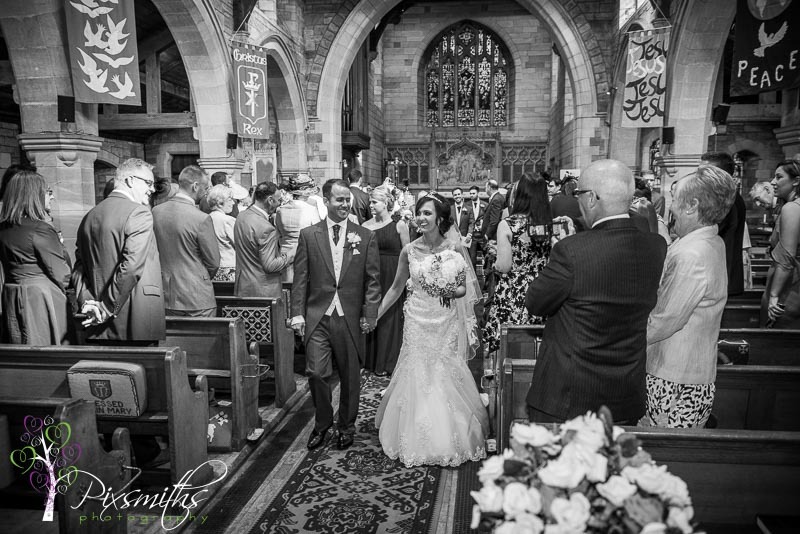 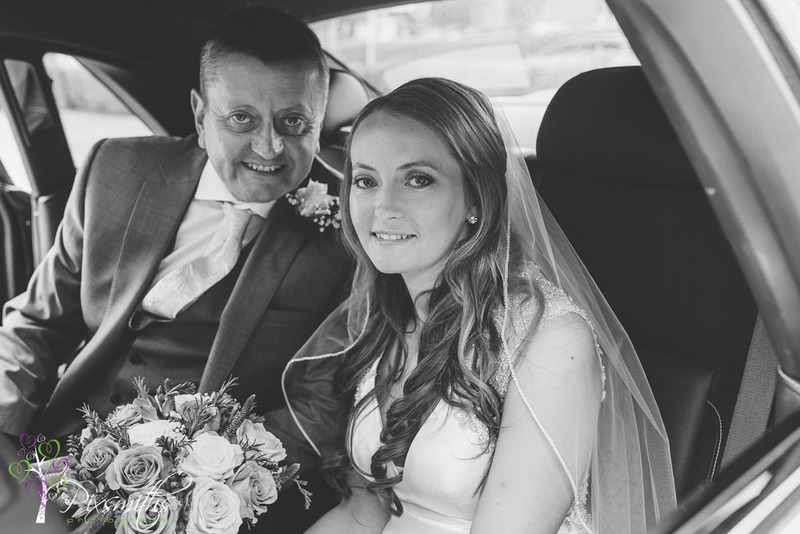 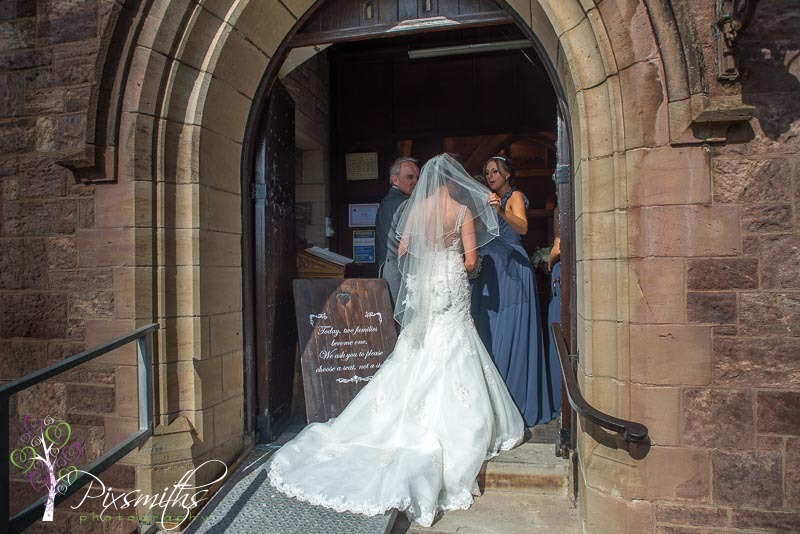 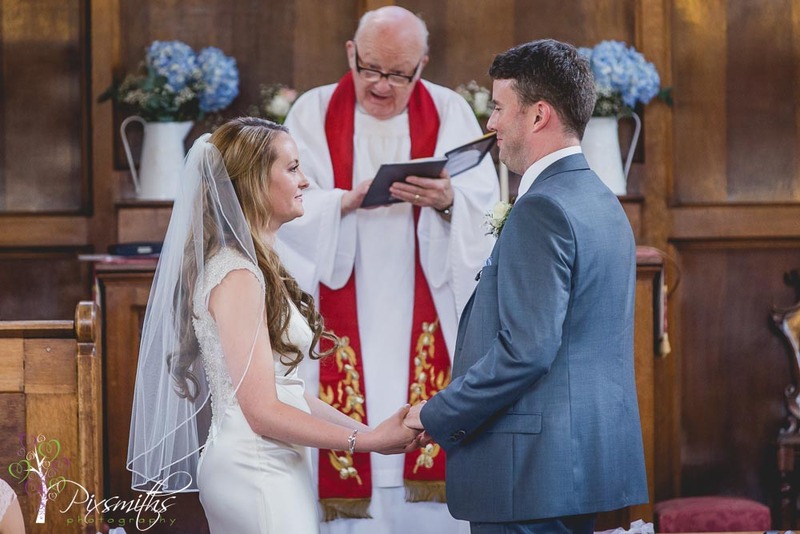 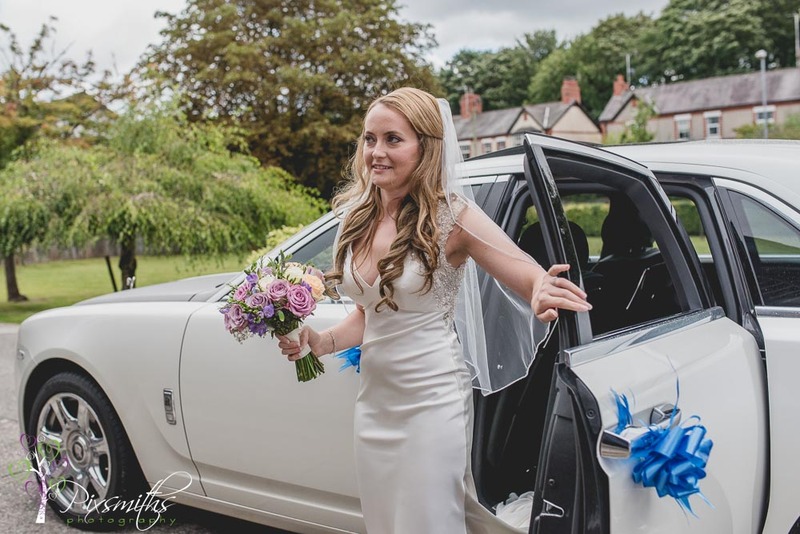 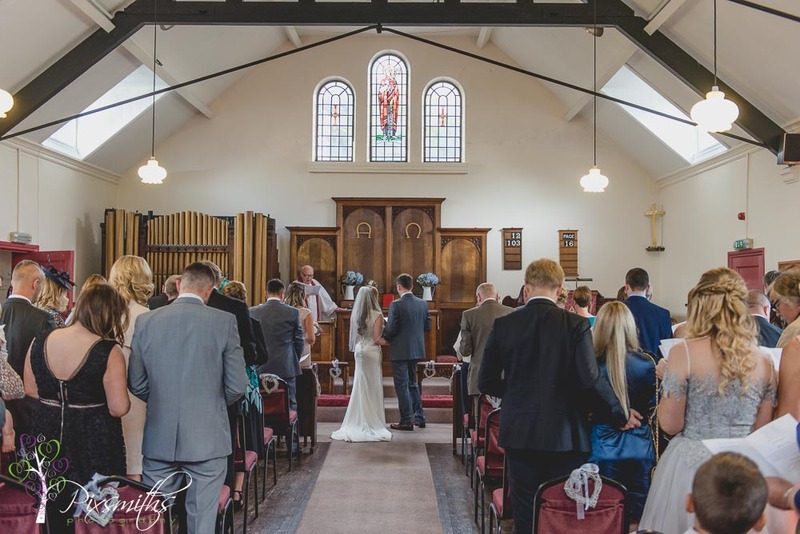 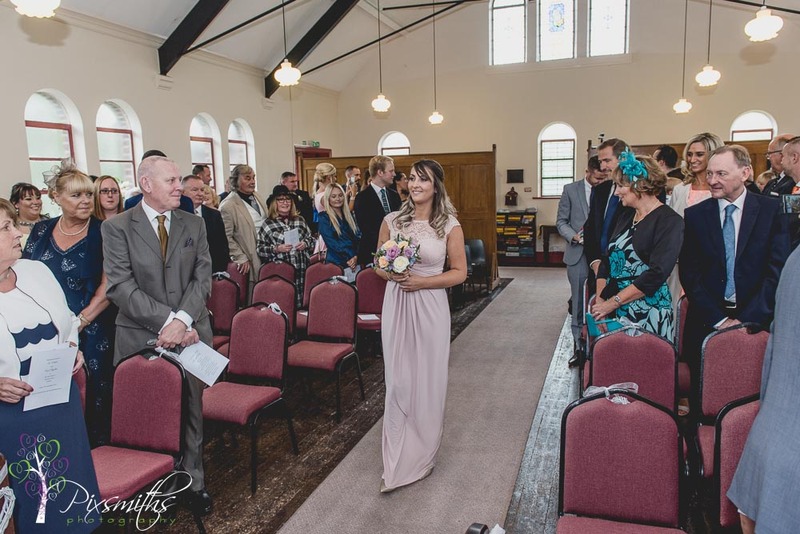 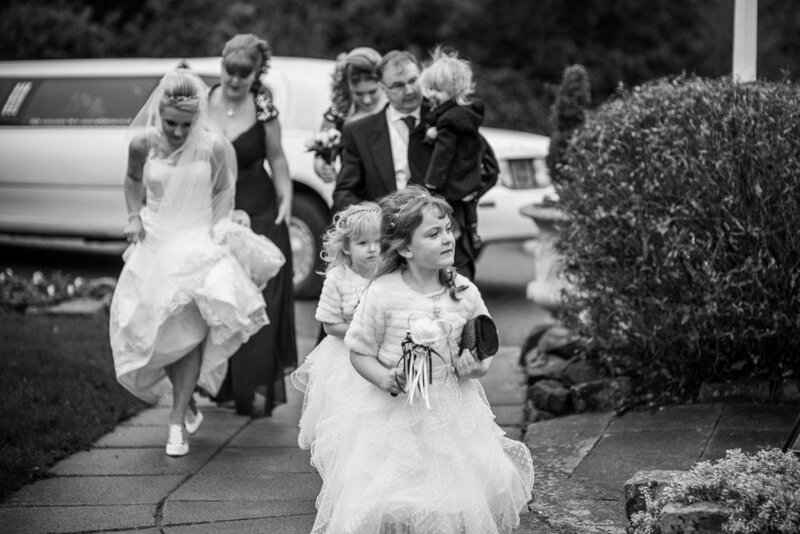 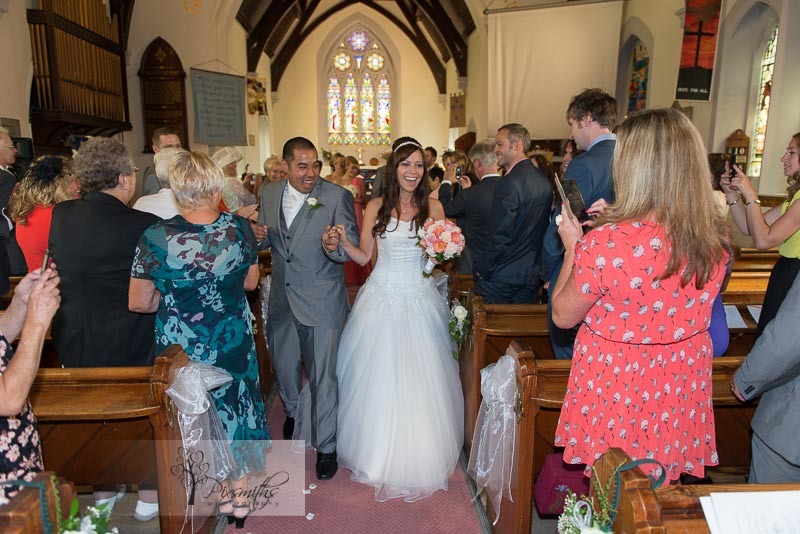 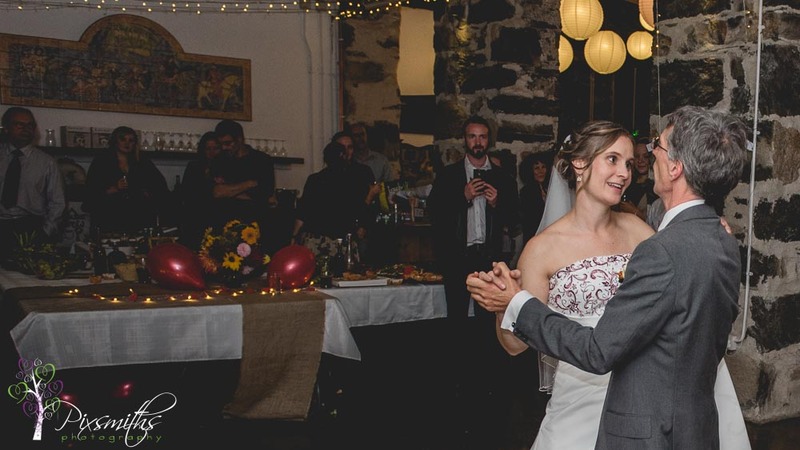 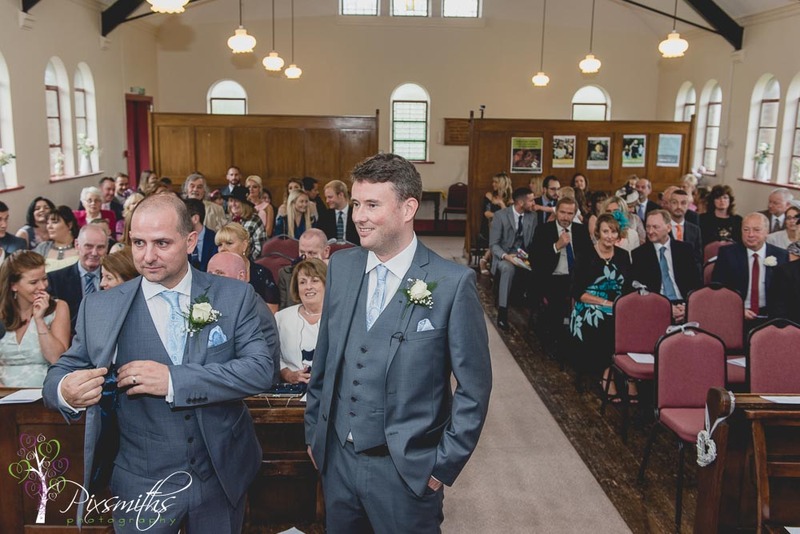 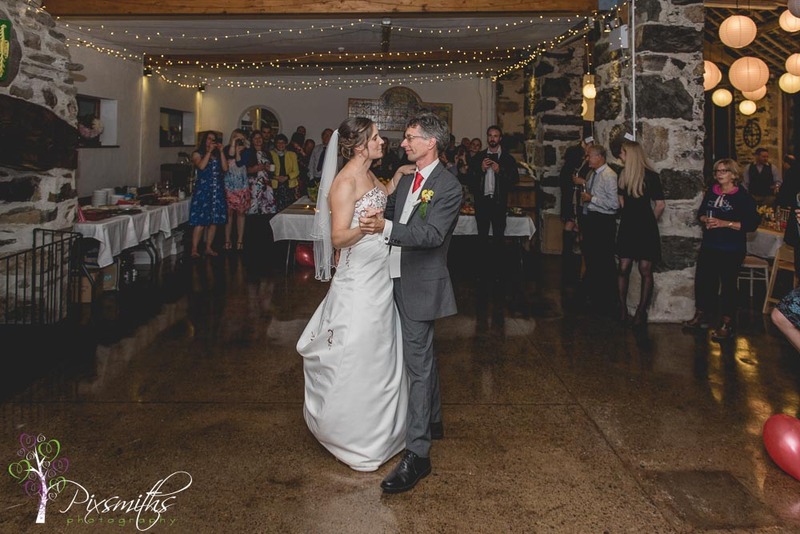 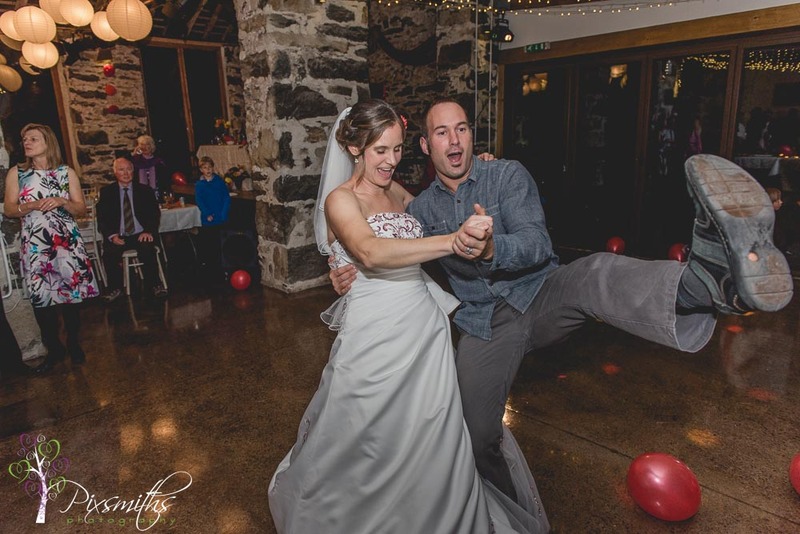 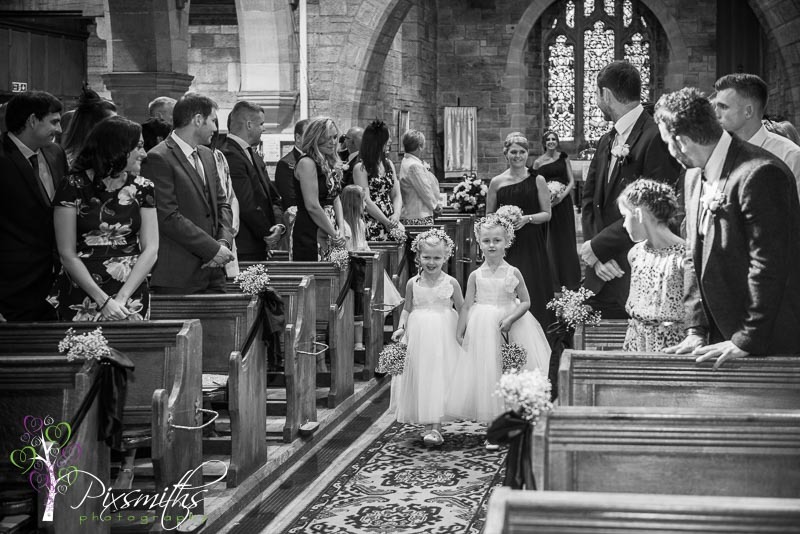 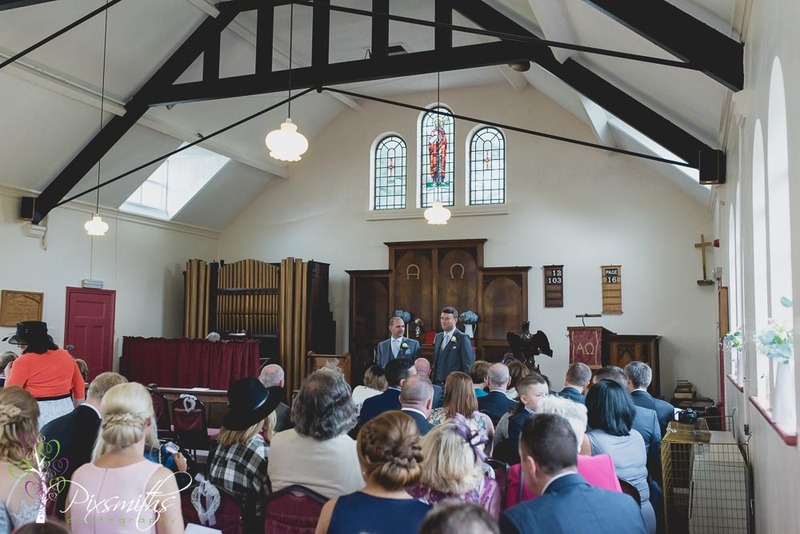 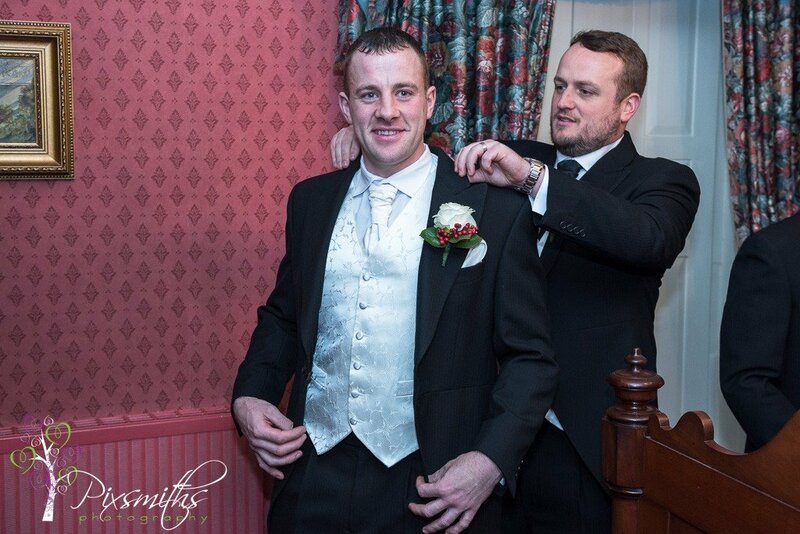 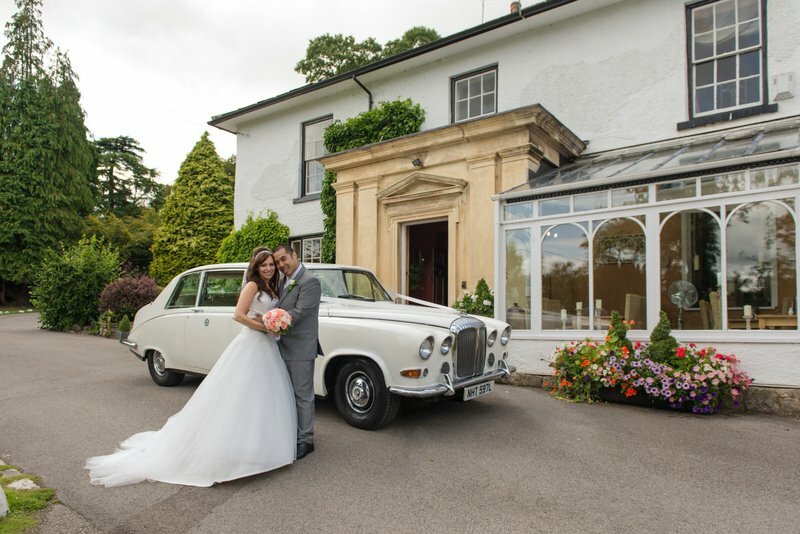 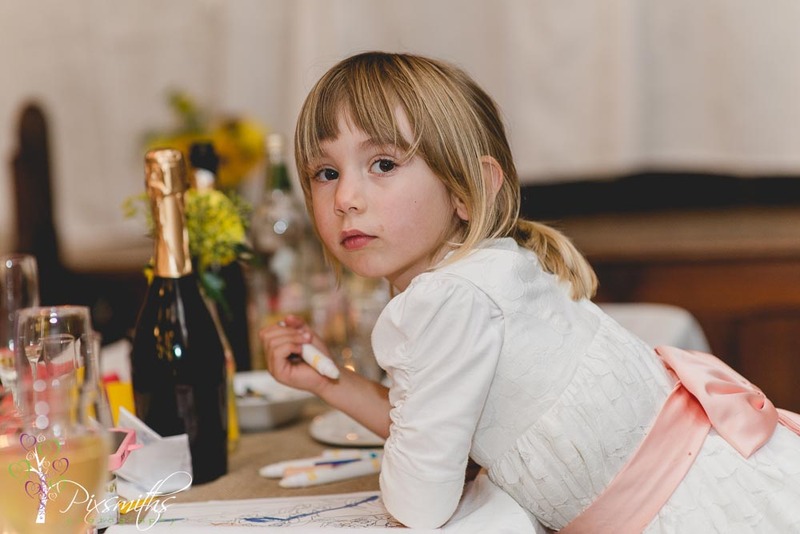 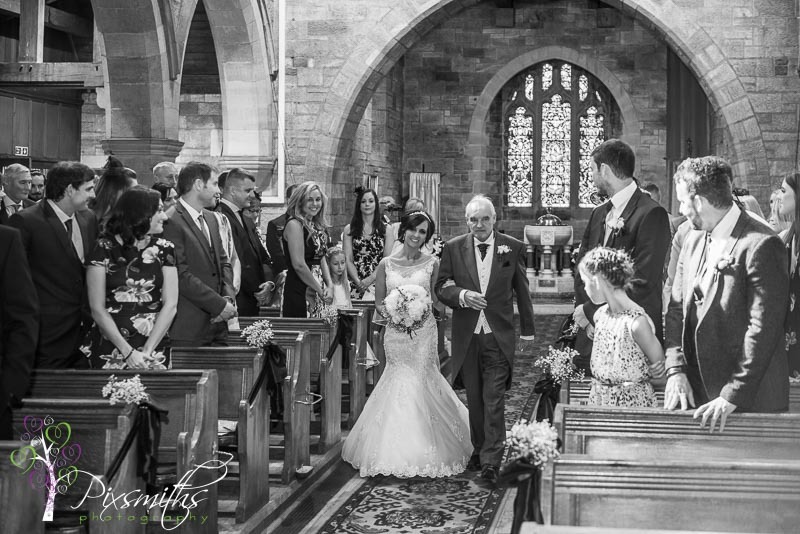 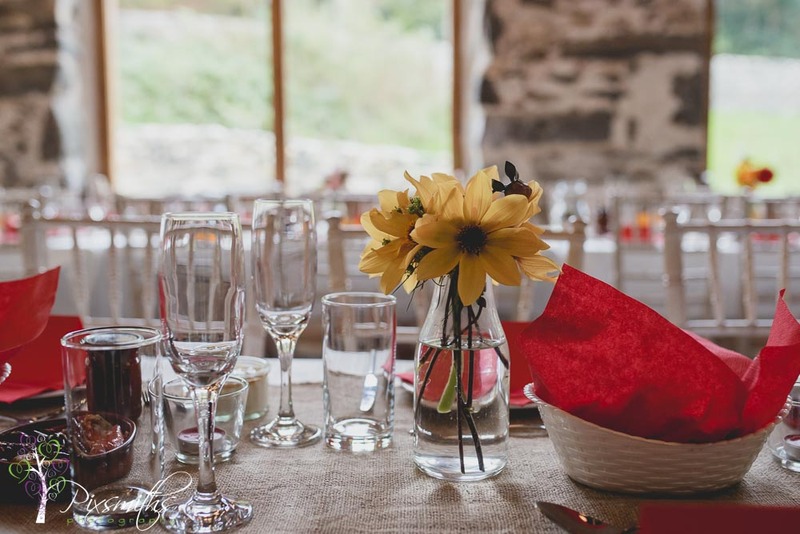 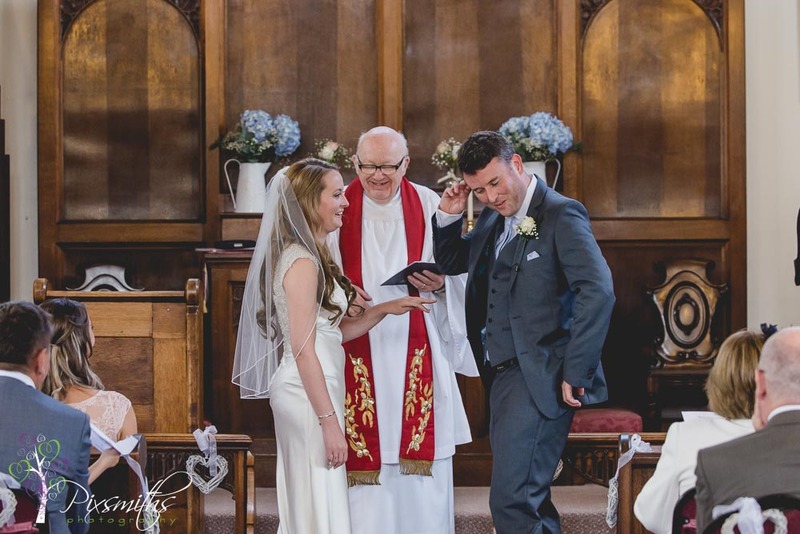 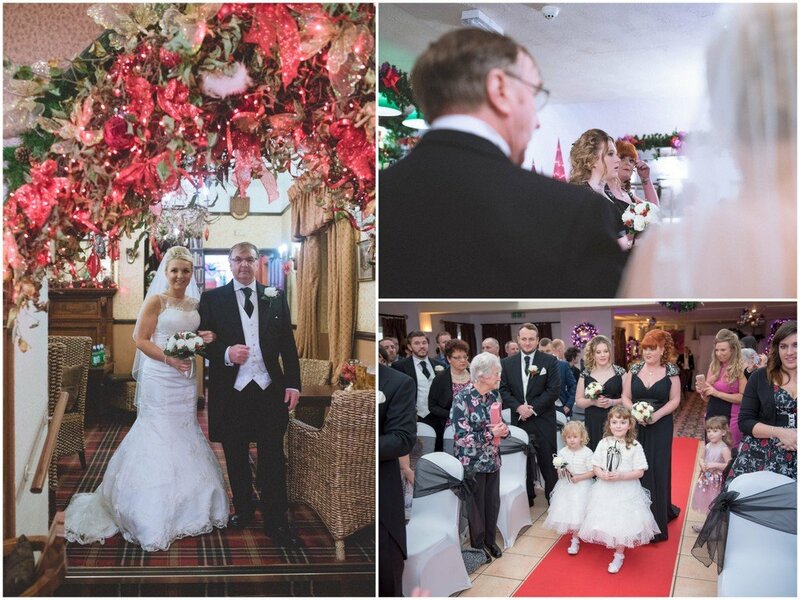 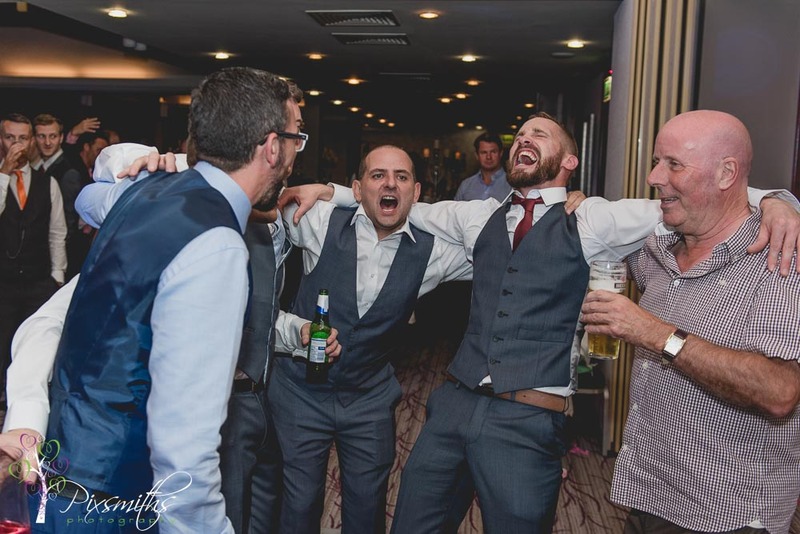 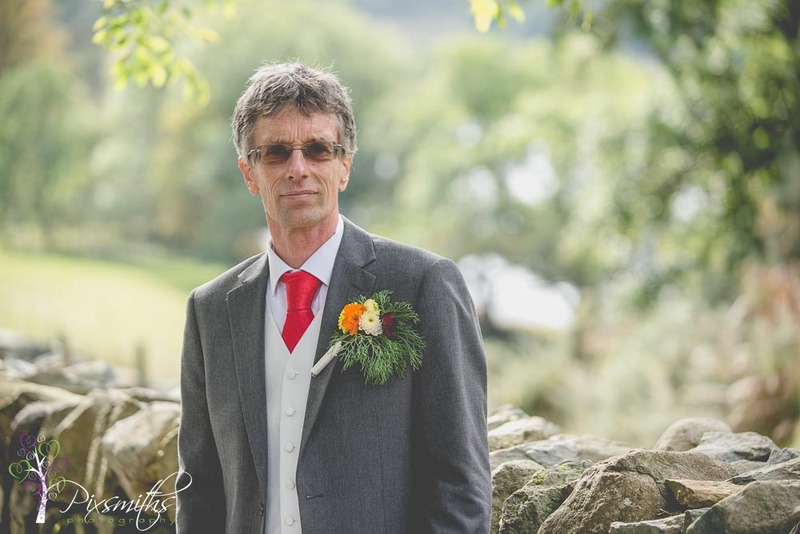 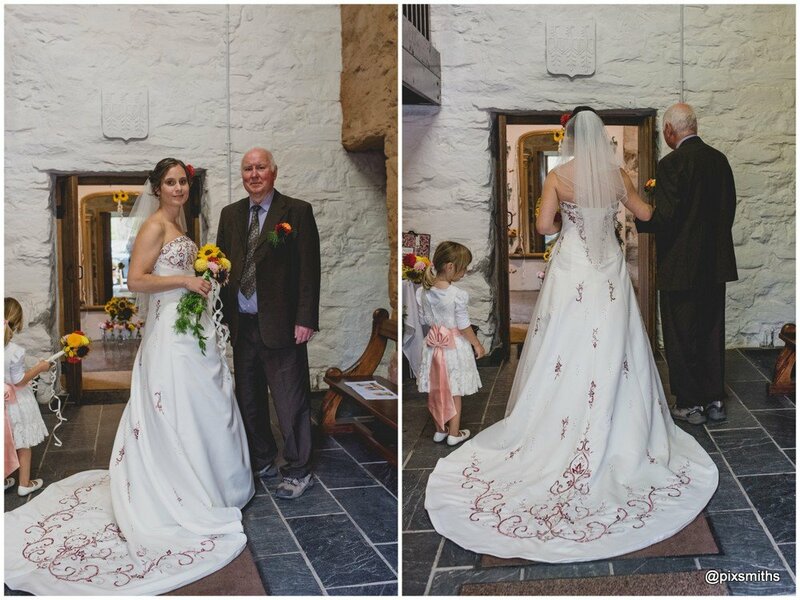 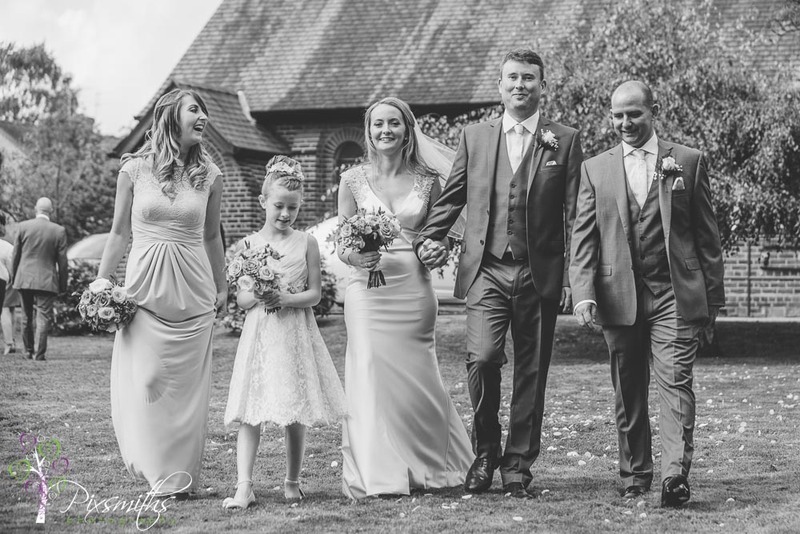 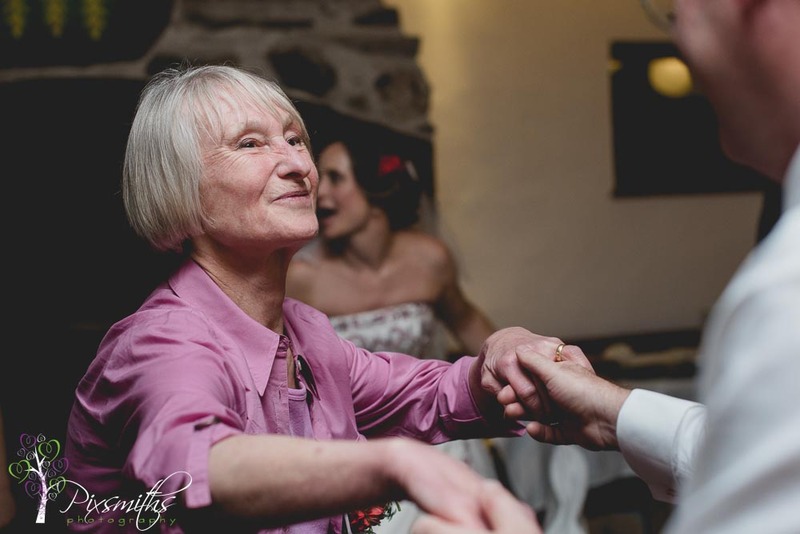 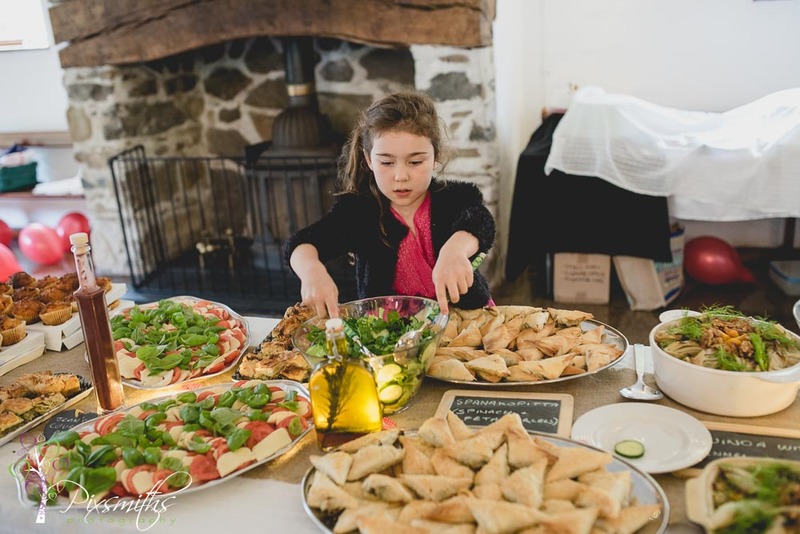 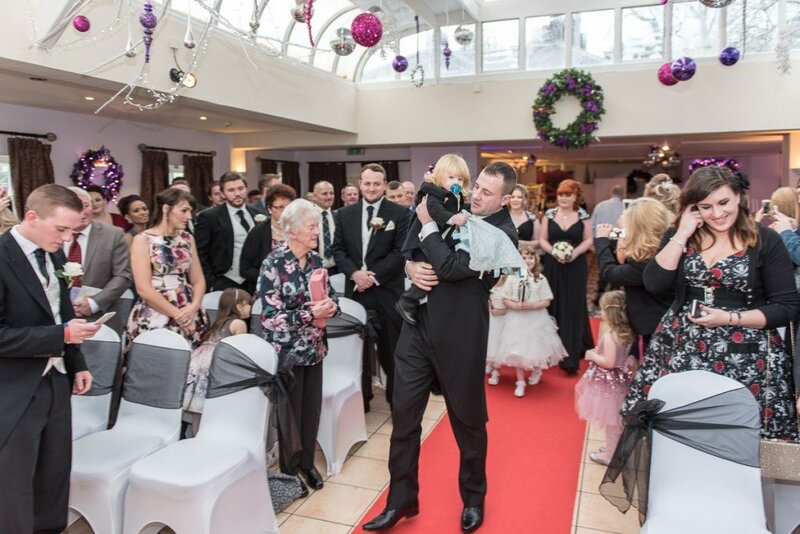 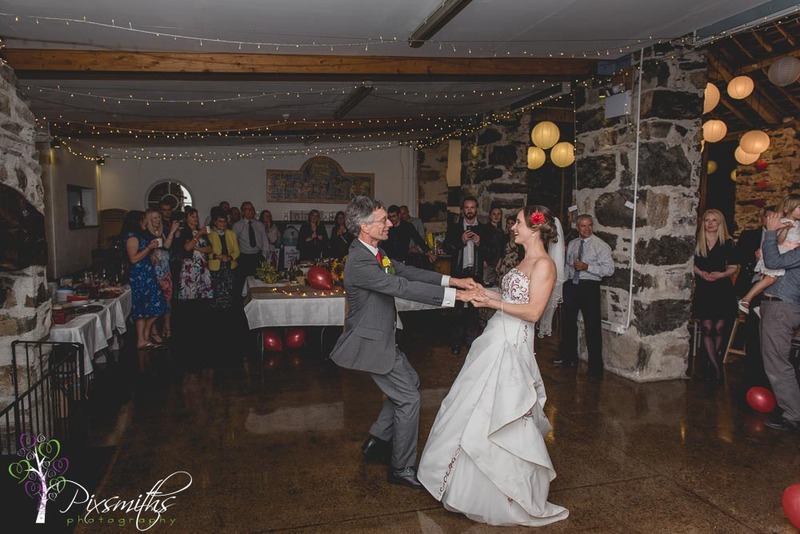 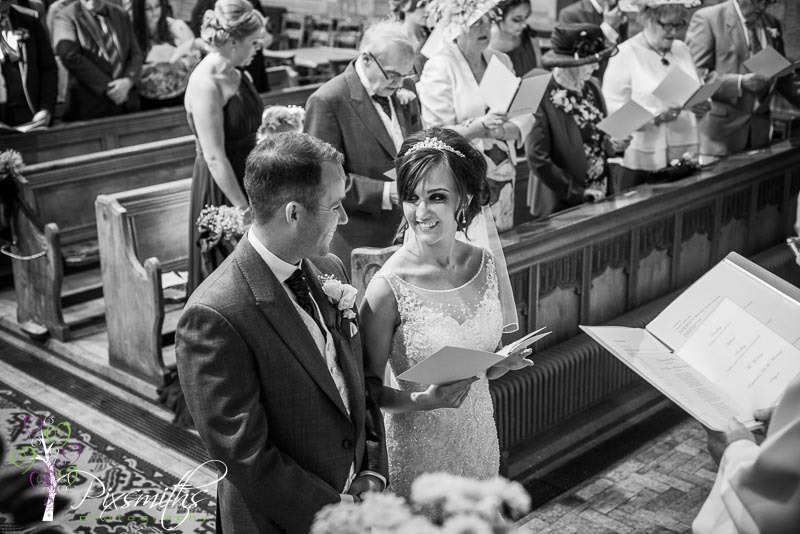 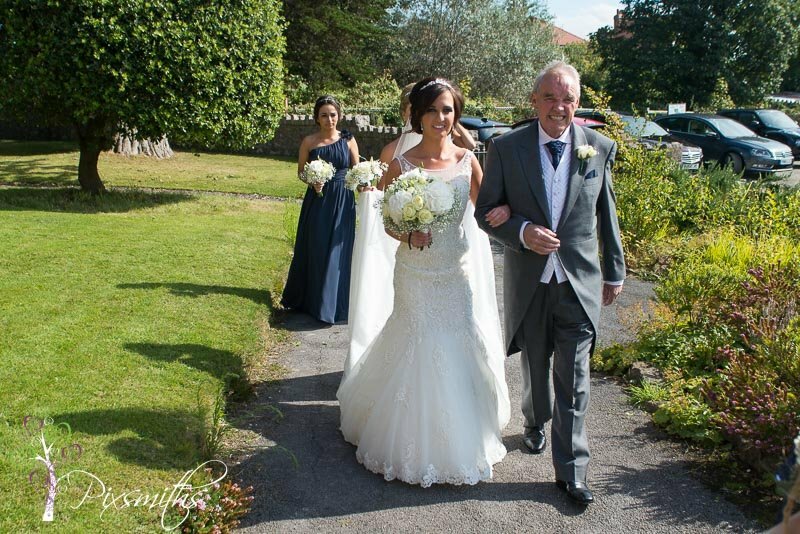 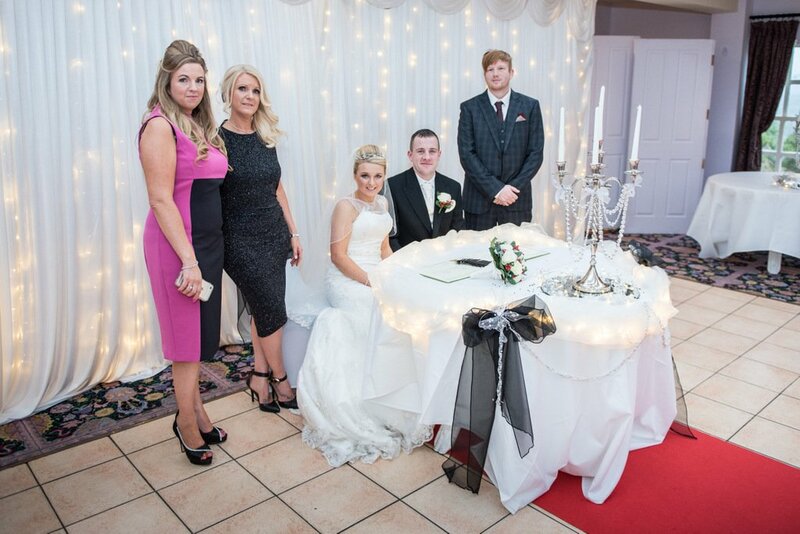 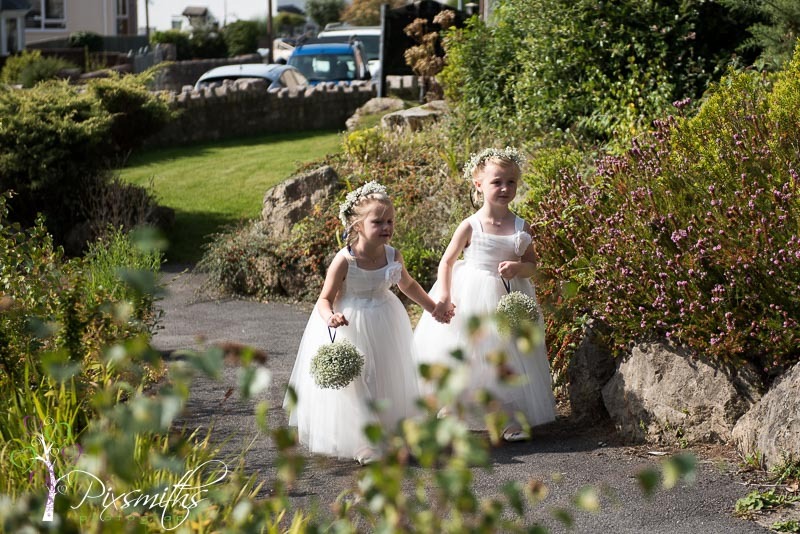 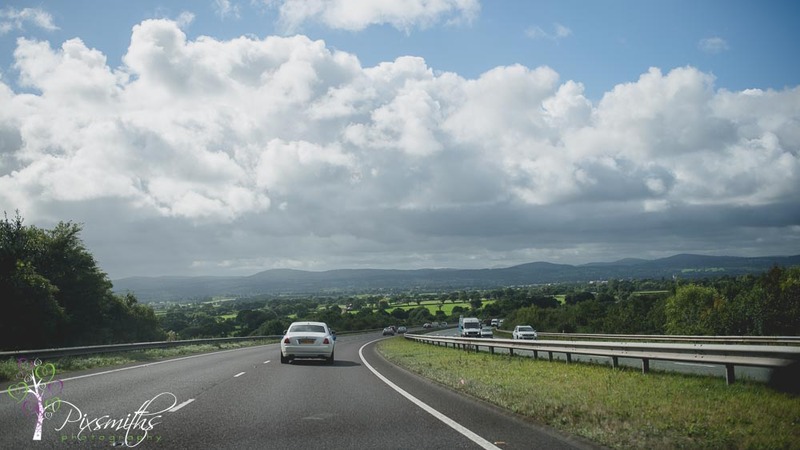 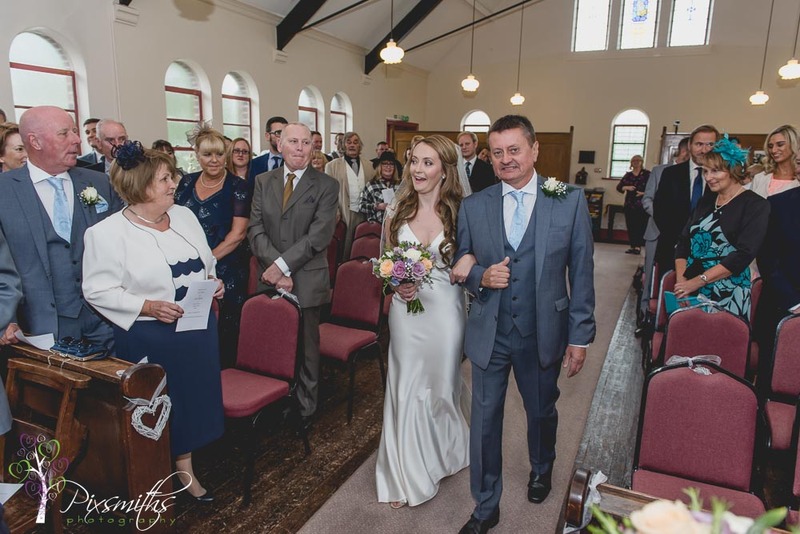 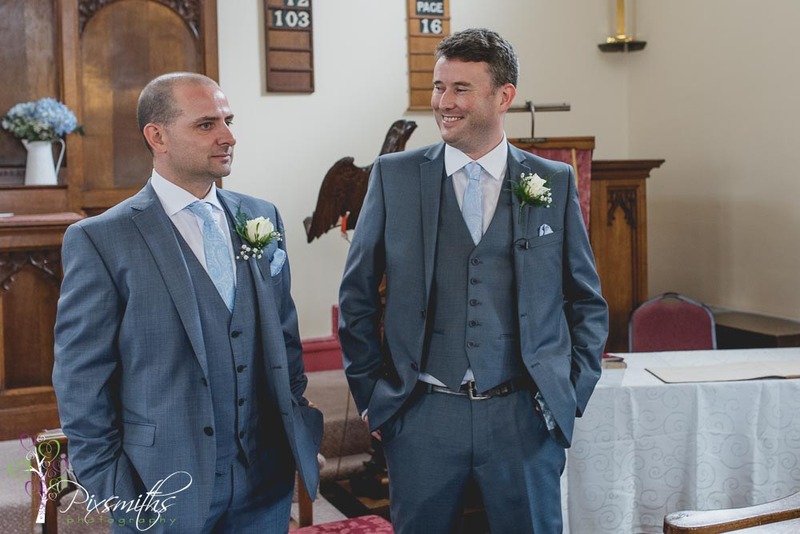 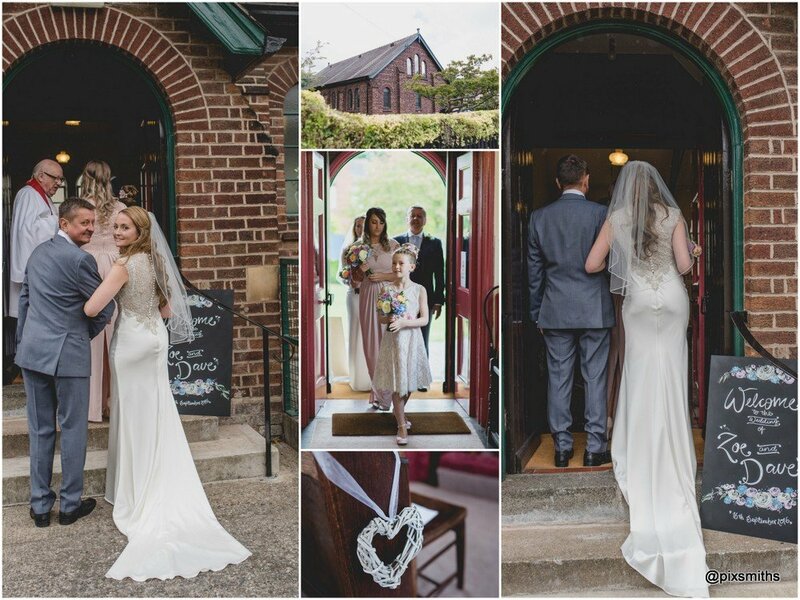 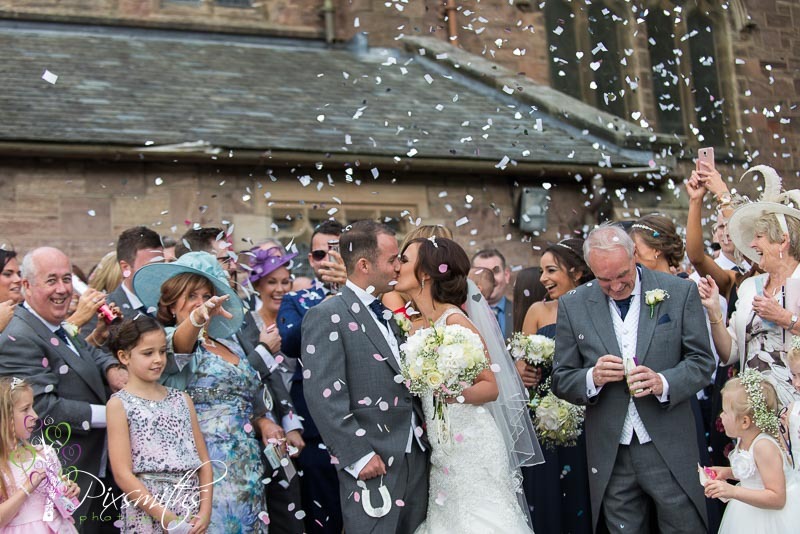 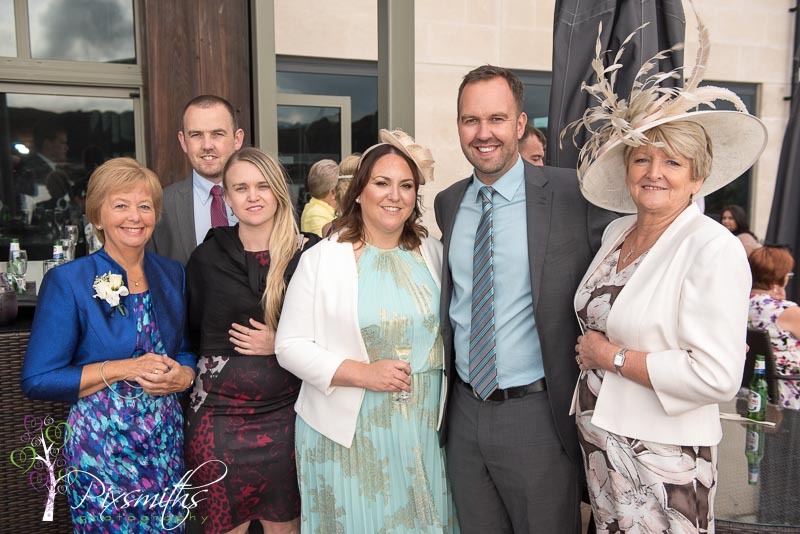 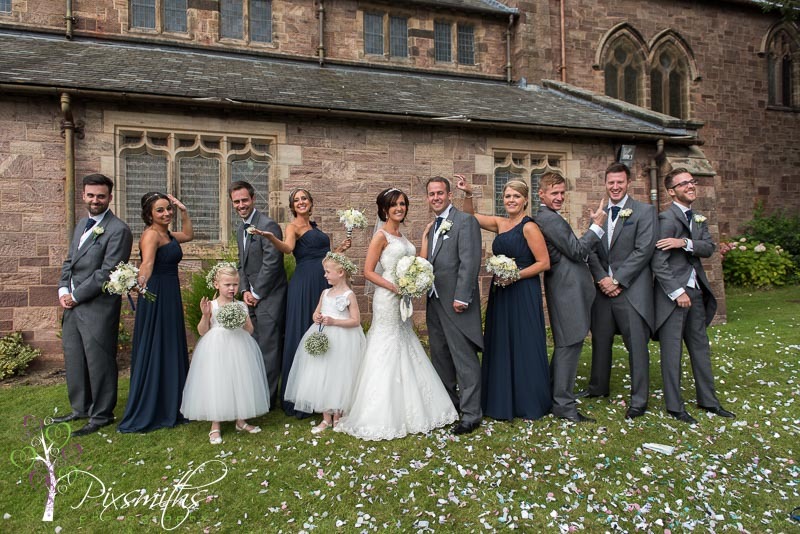 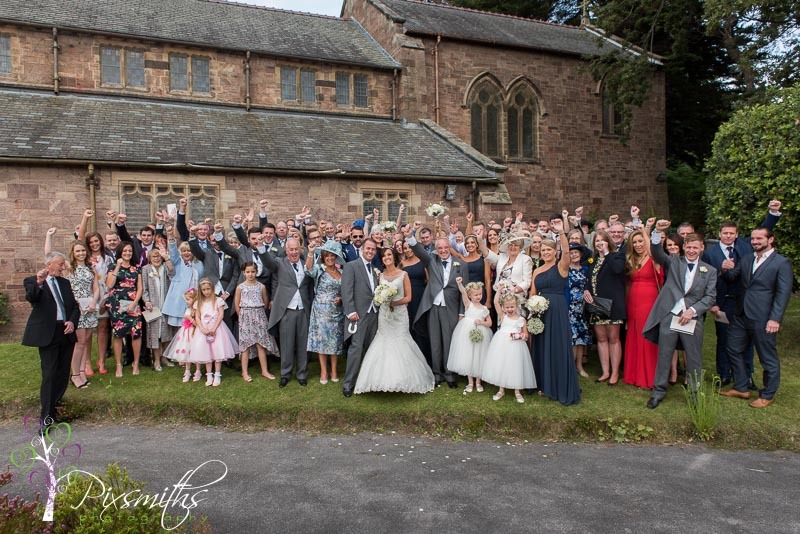 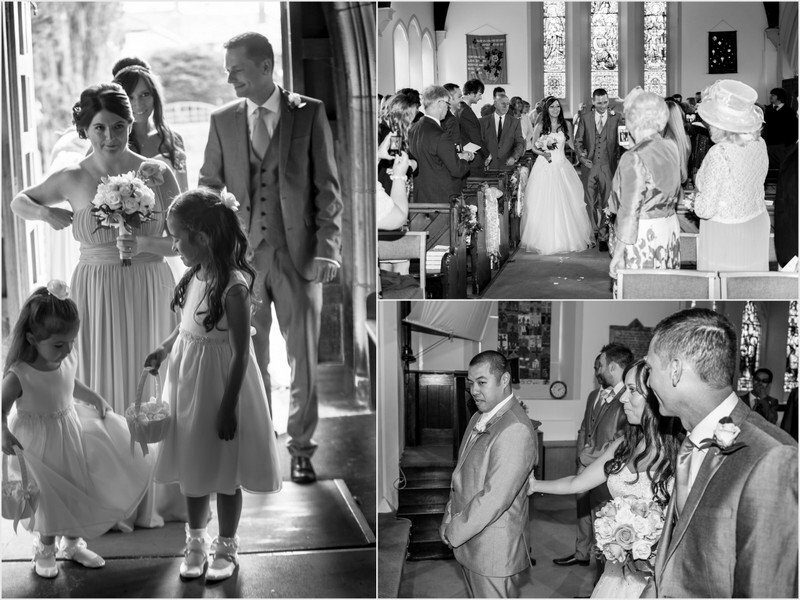 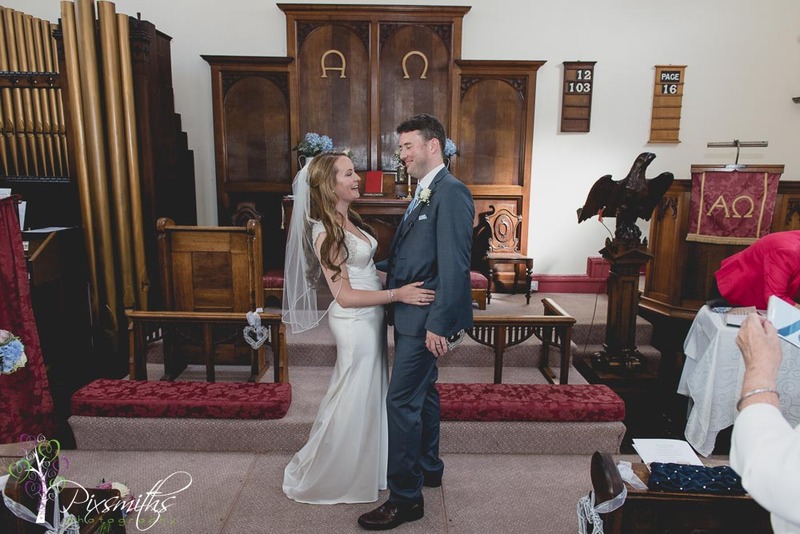 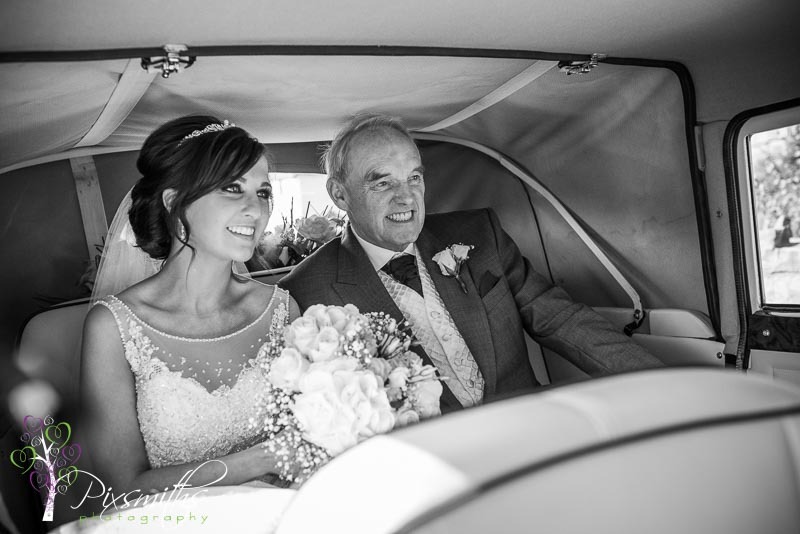 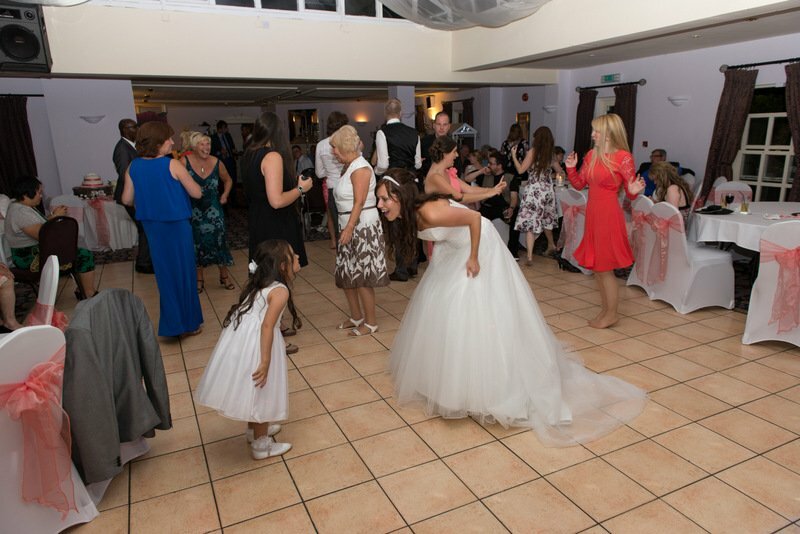 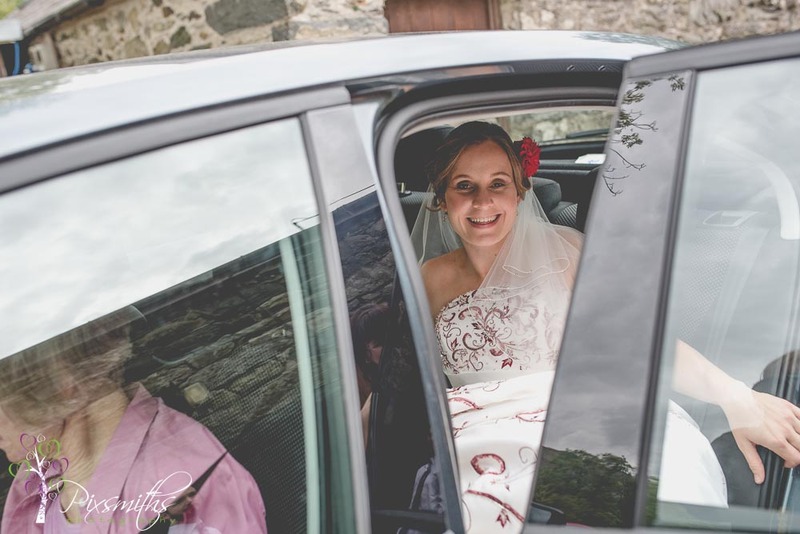 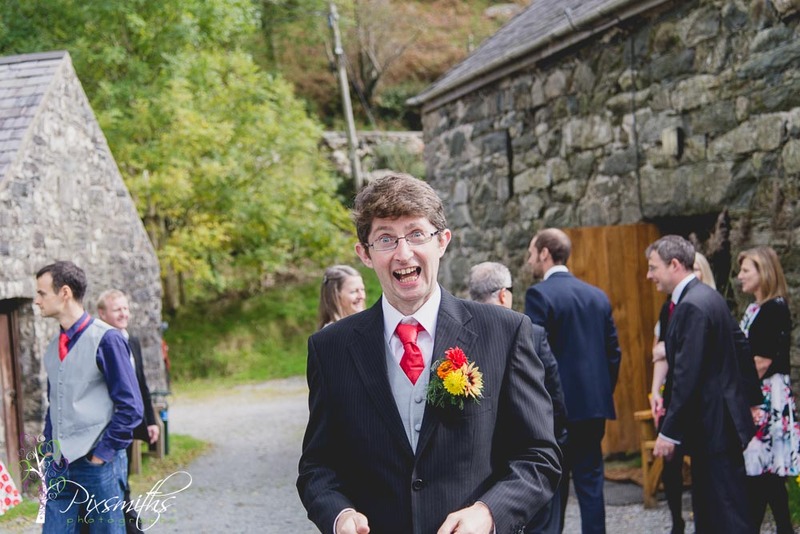 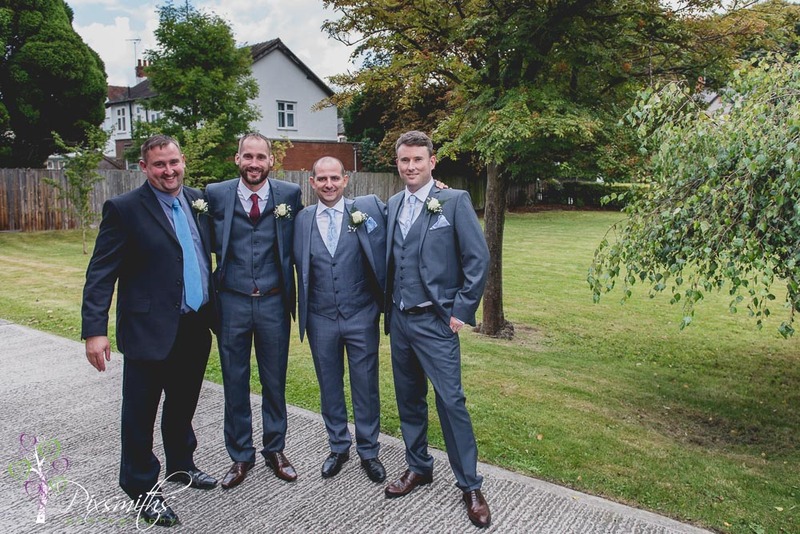 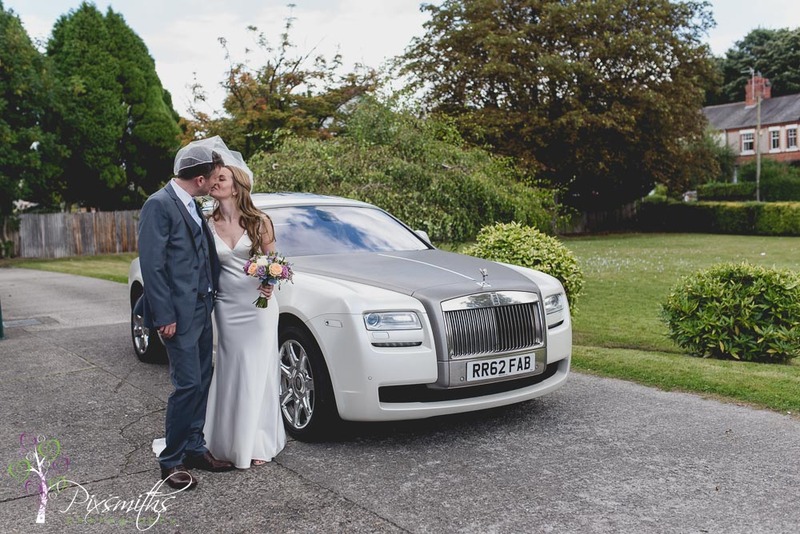 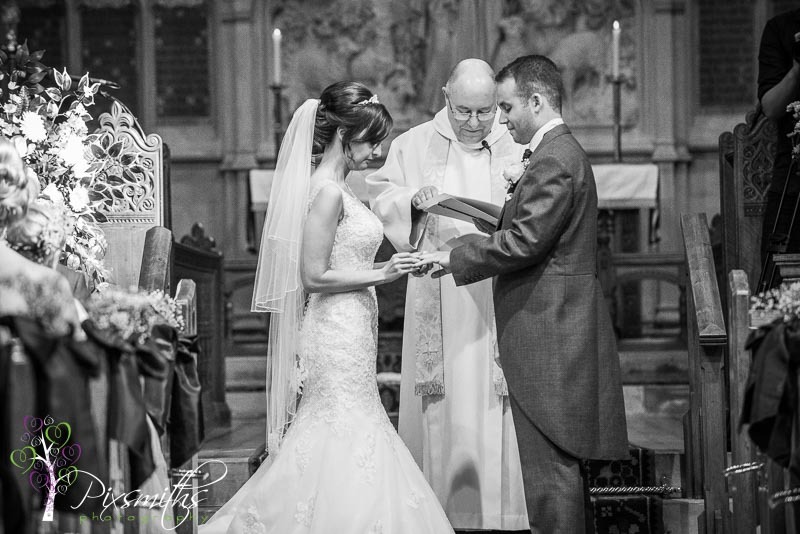 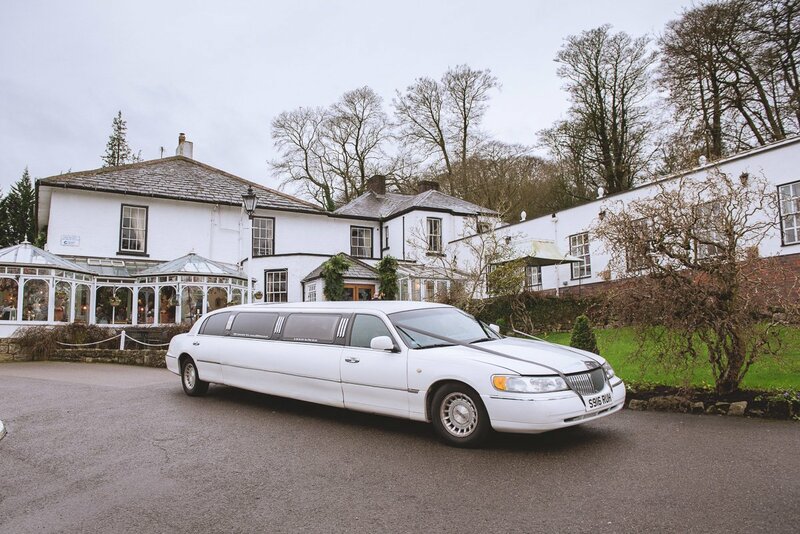 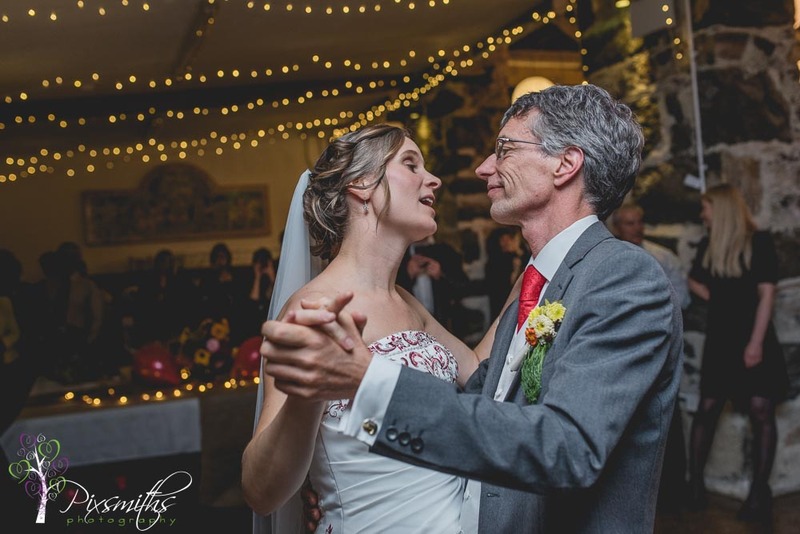 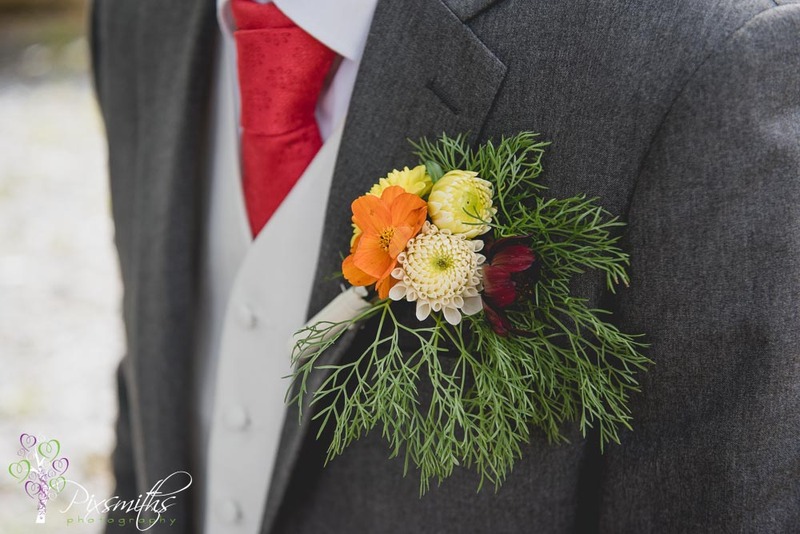 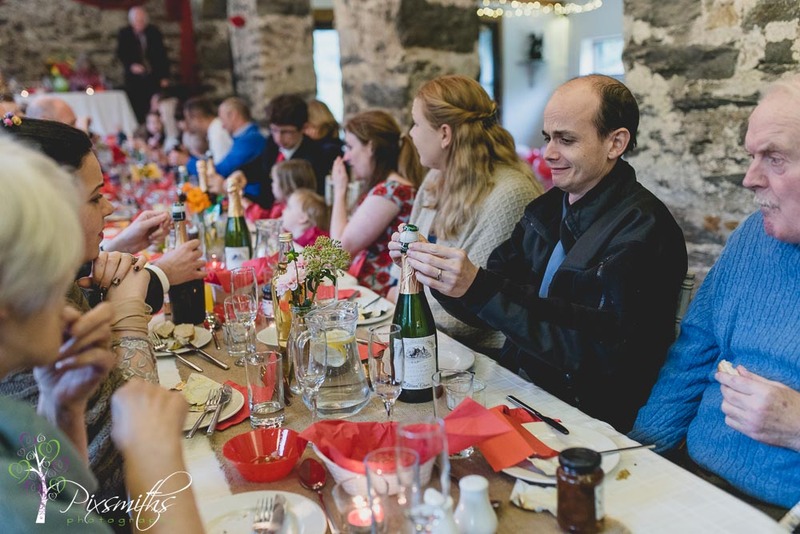 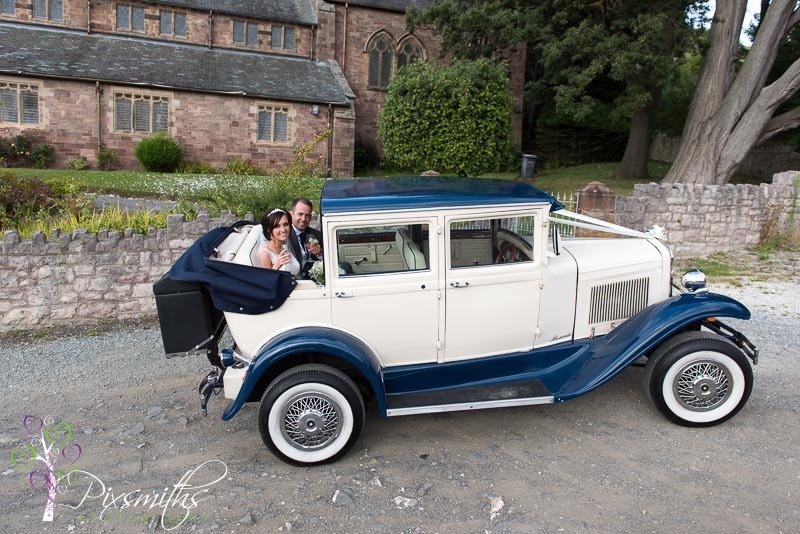 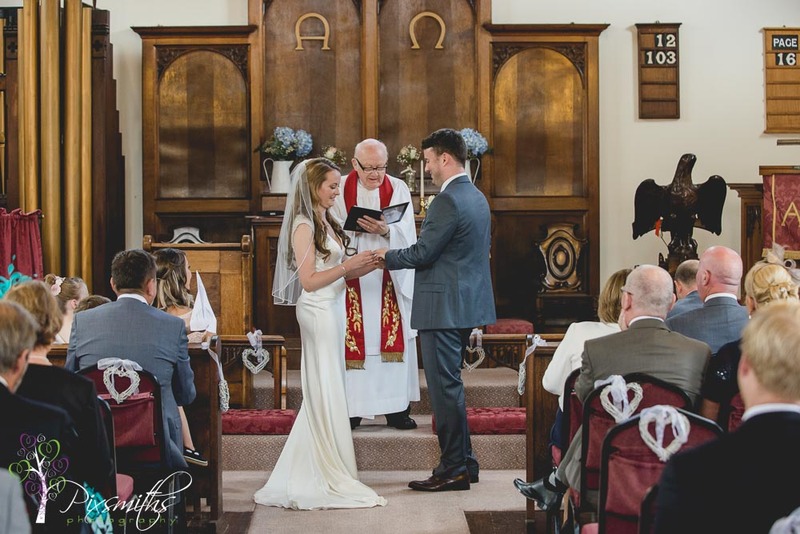 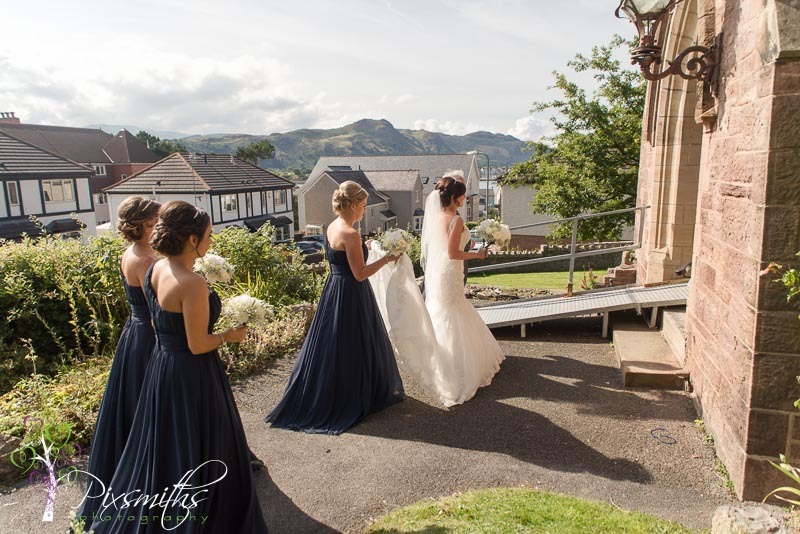 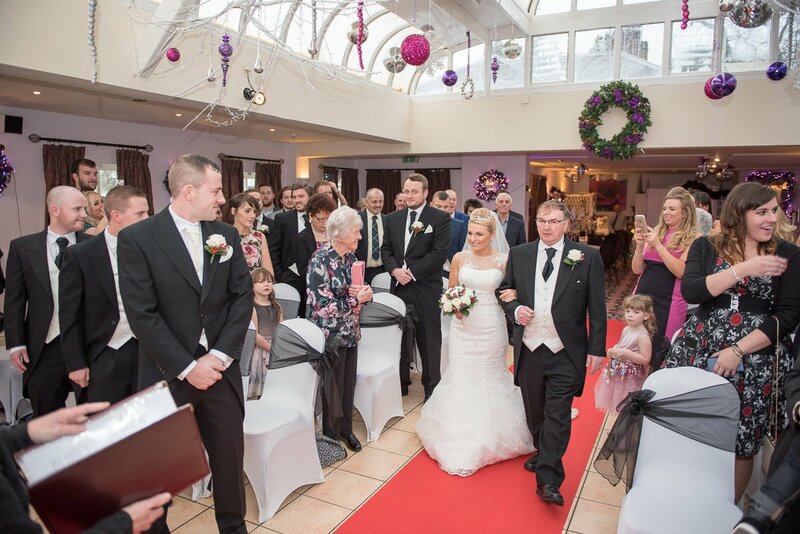 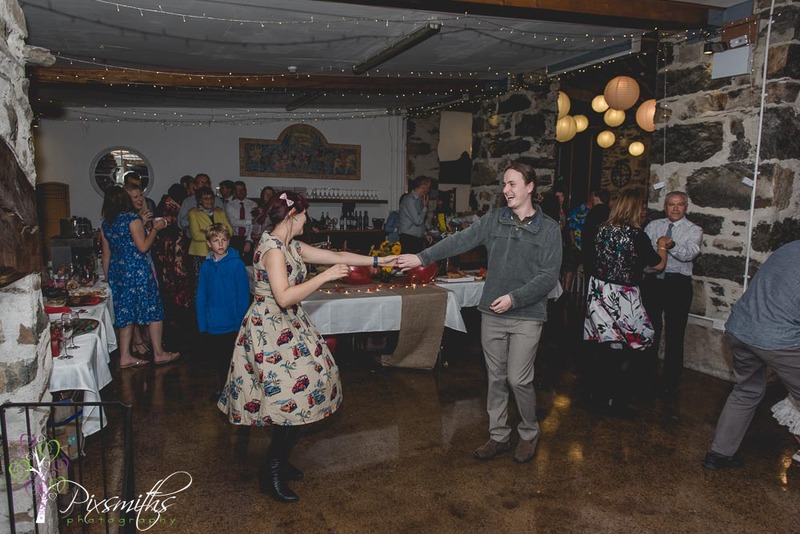 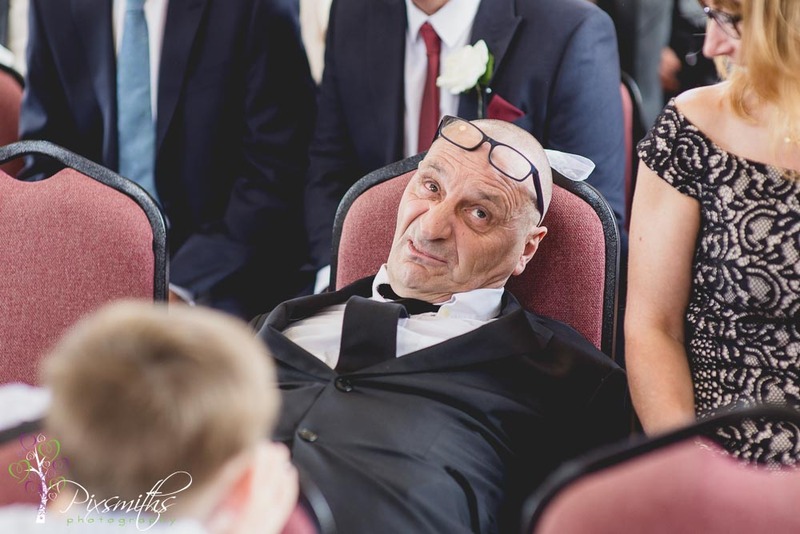 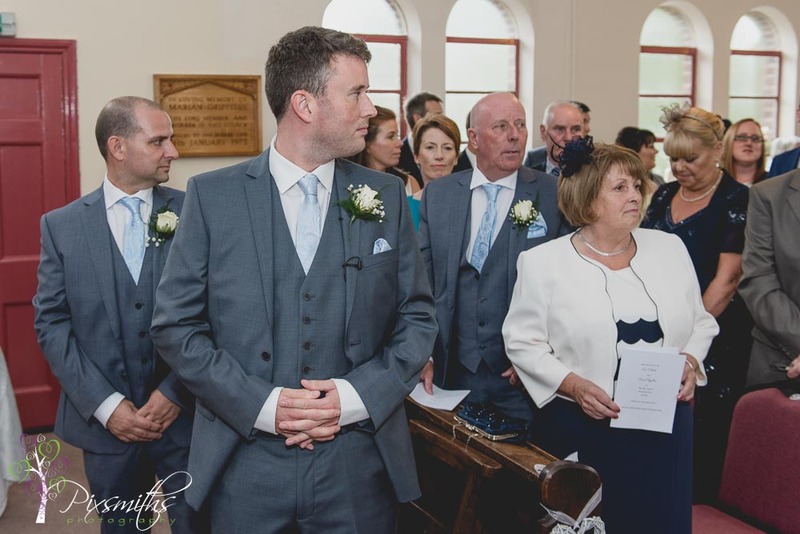 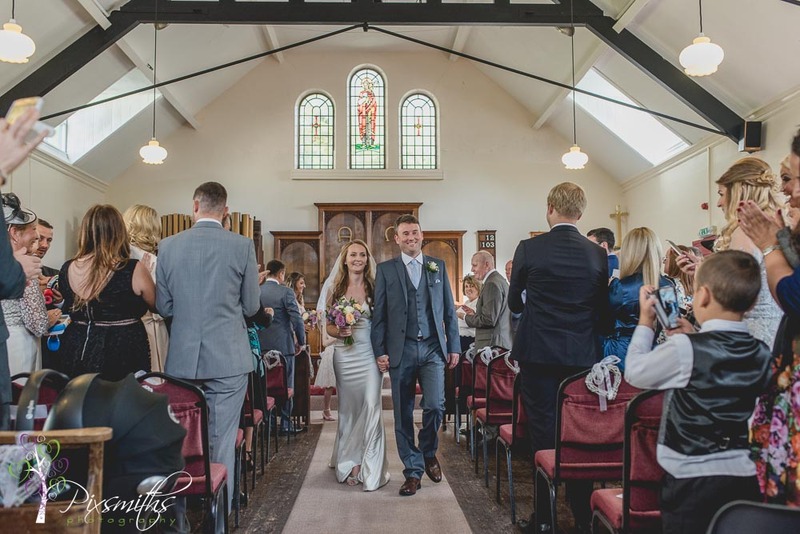 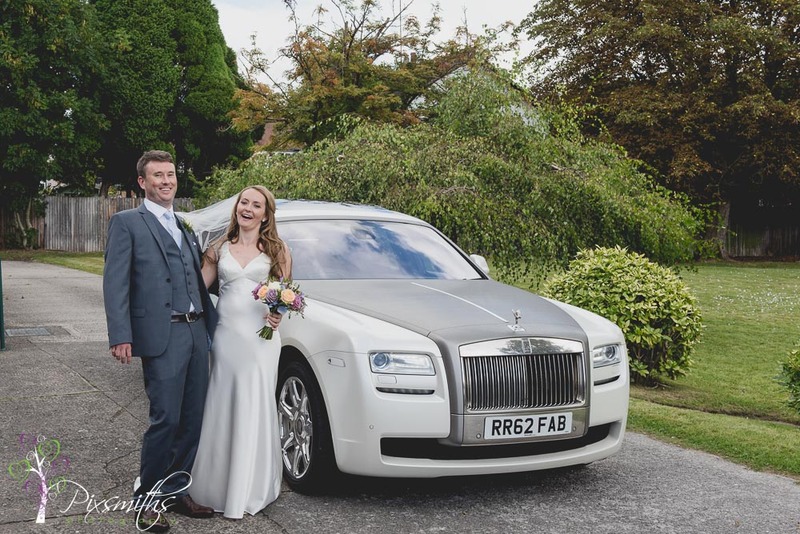 We opted for the family formals to be at the church so guests could make the journey to The Quay Hotel Deganwy for the wedding reception and party. 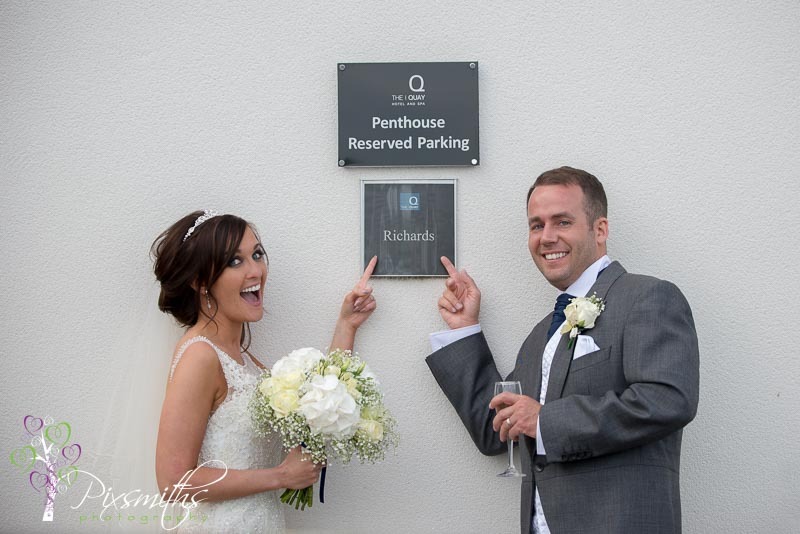 The Quay has a a large adjoining room so no need for guests to vacate room during turnaround time. 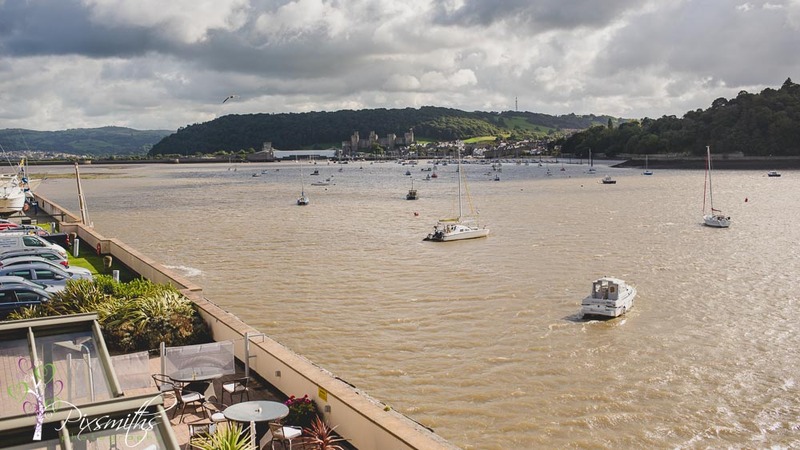 The balcony makes for some scenic shots over the estuary – although bright it was rather a blustery day! 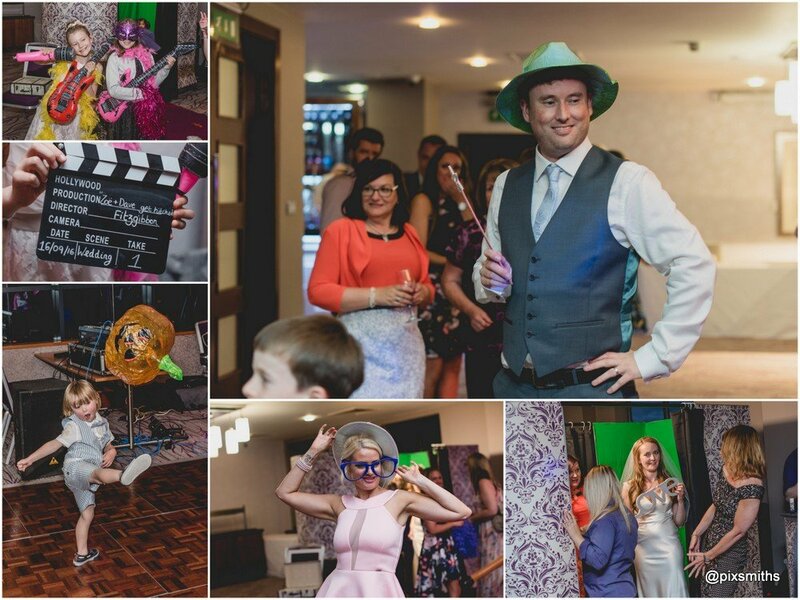 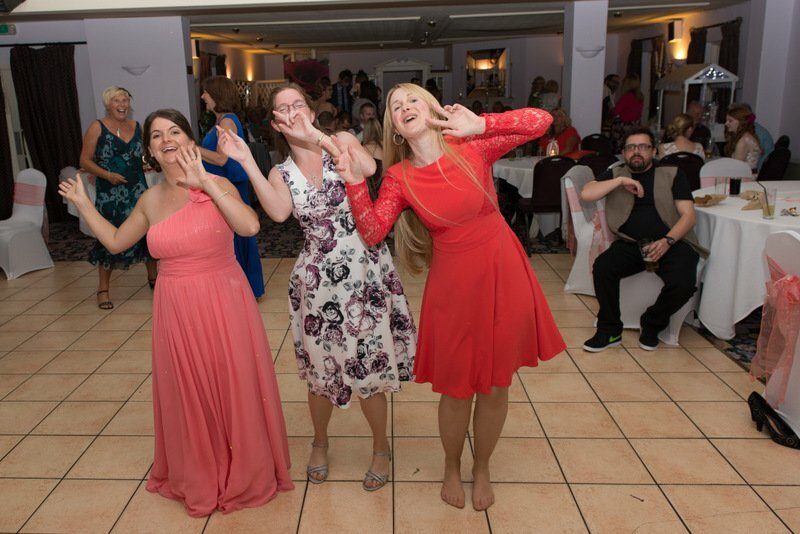 Great evening atmosphere with a photo booth and Zoe’s brother singing during the evening party. 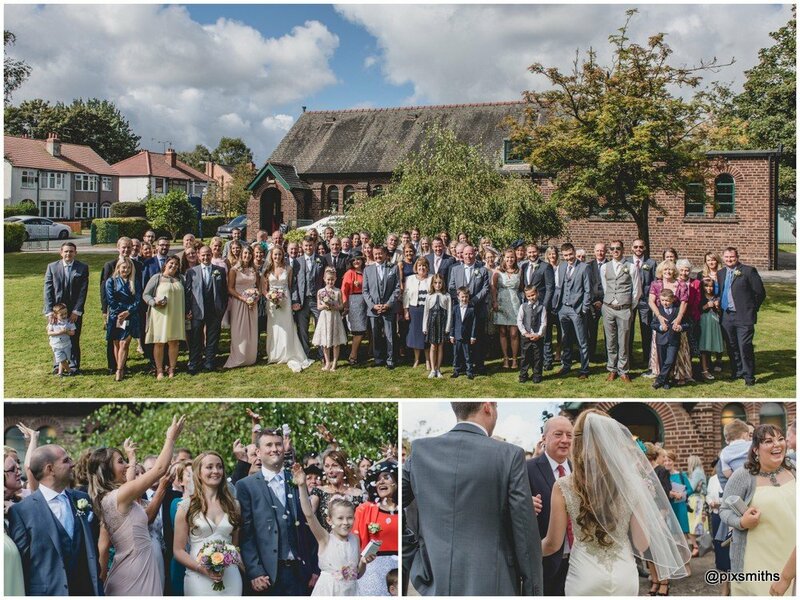 It was great to capture all the moments and we hope you enjoy this little summary of the day. 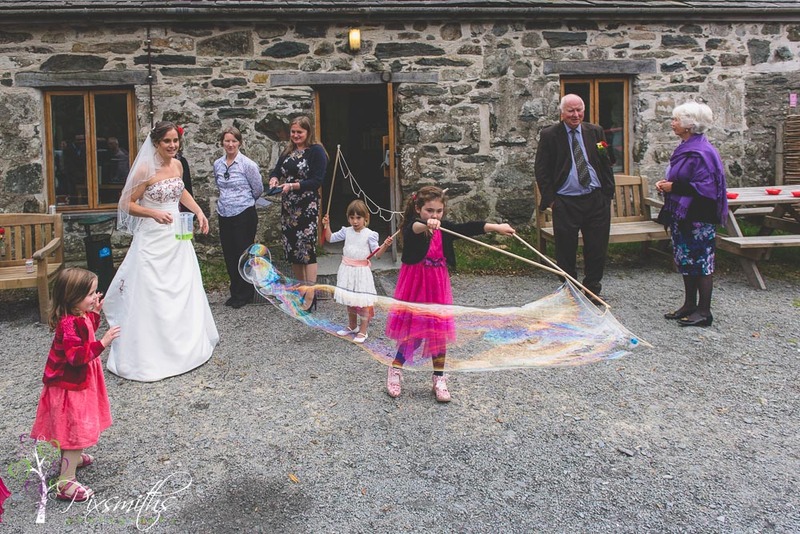 Zoe did warn us that her son would not stand still for long. 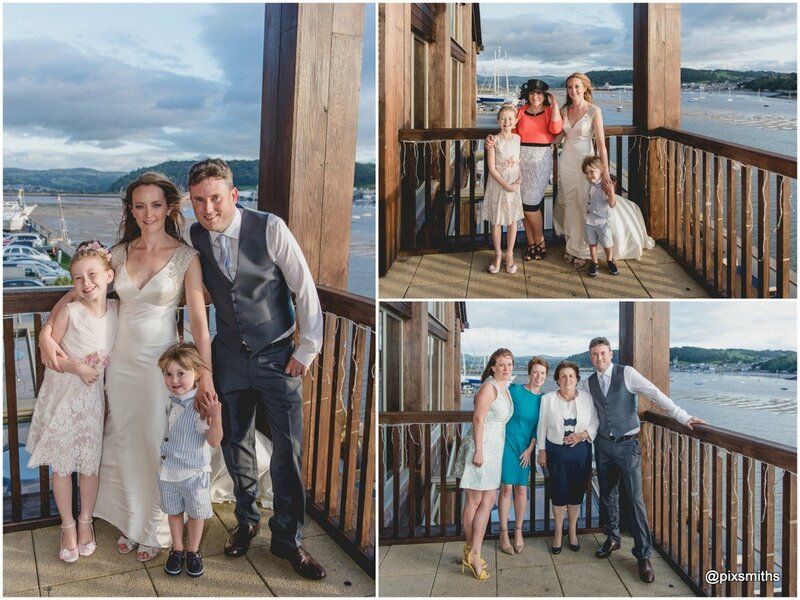 We managed to get several candid shots of him as well as this beautiful family group on the balcony just before speeches. 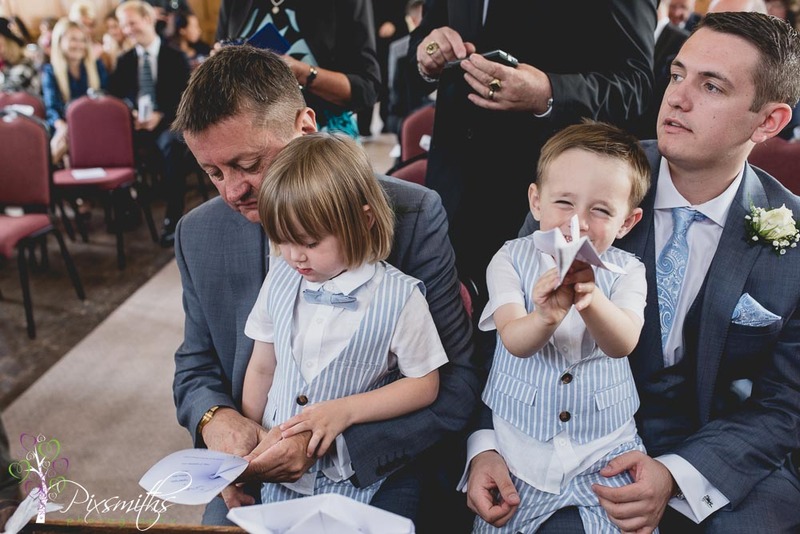 This picture means so much to them and makes us really happy knowing that its a precious moment for them . 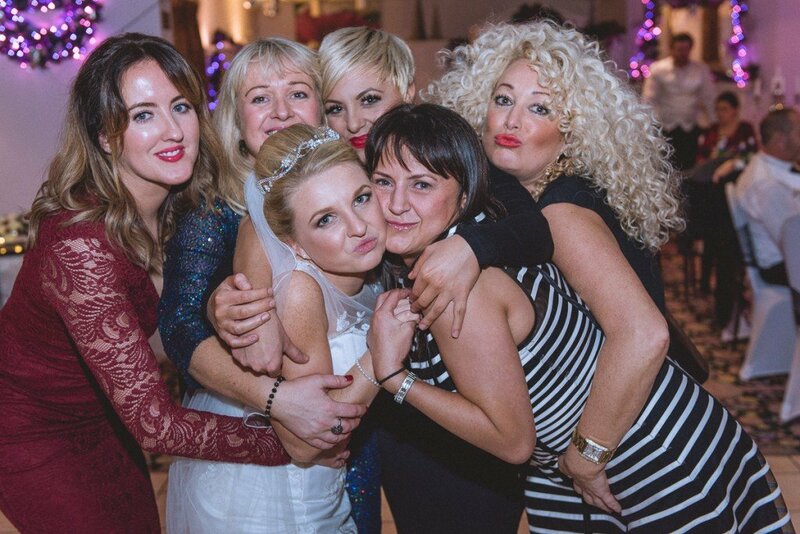 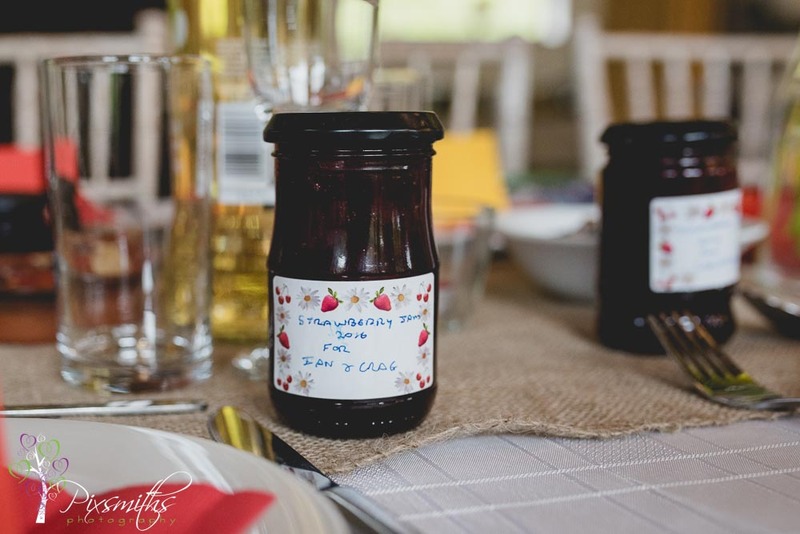 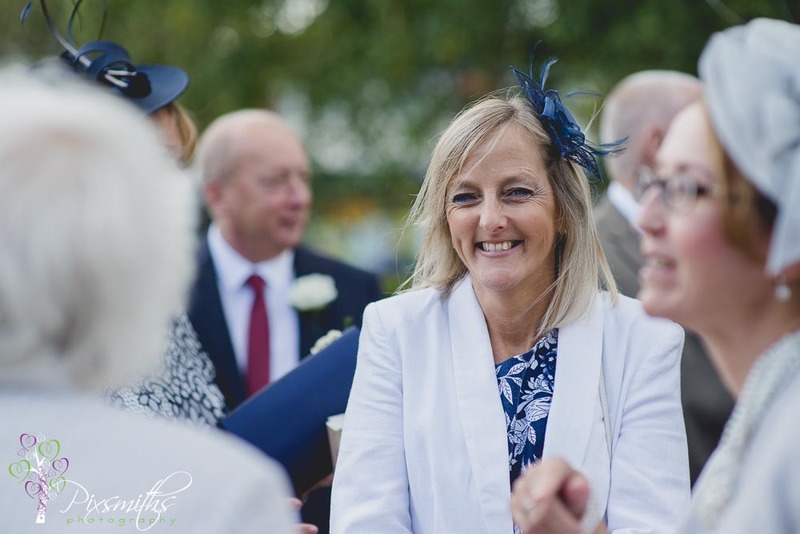 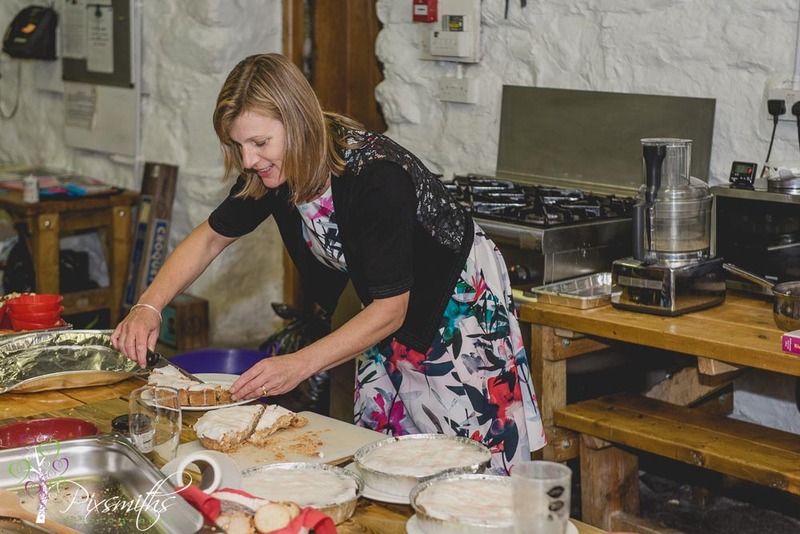 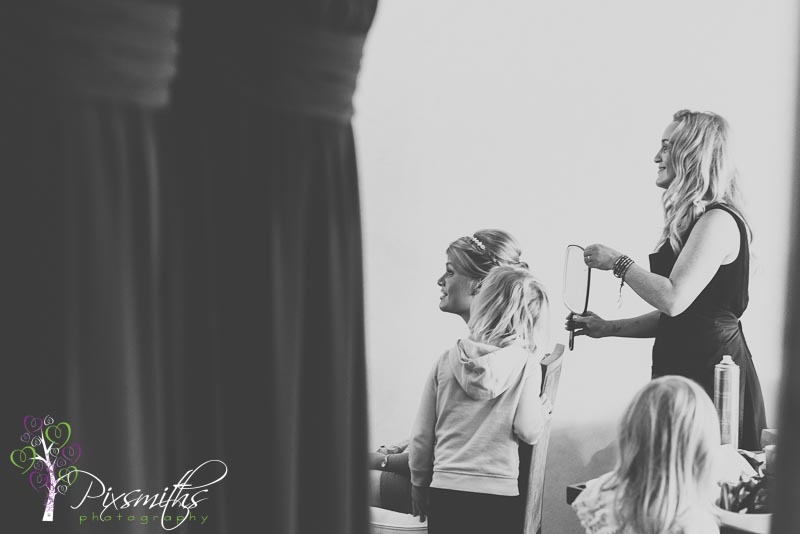 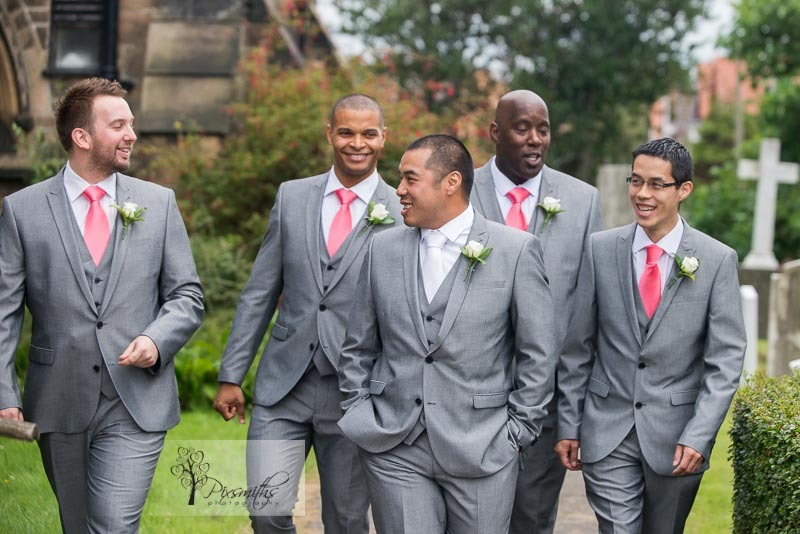 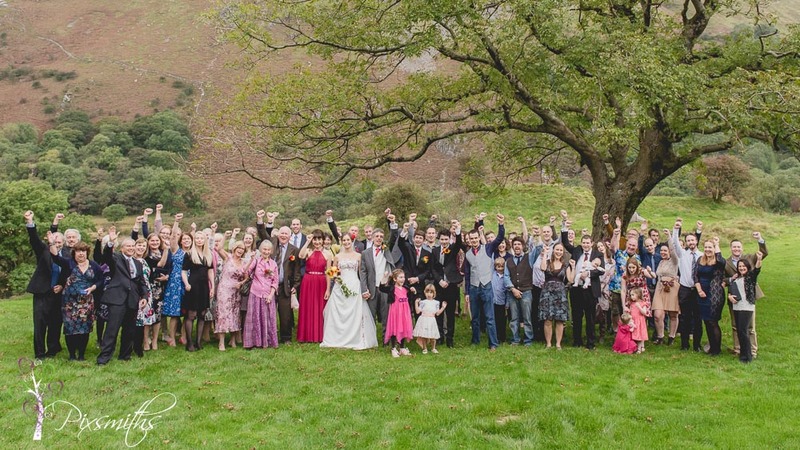 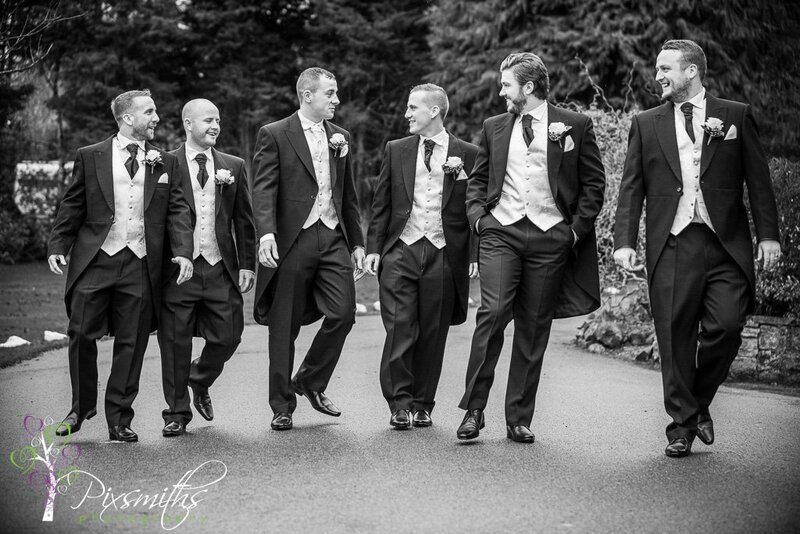 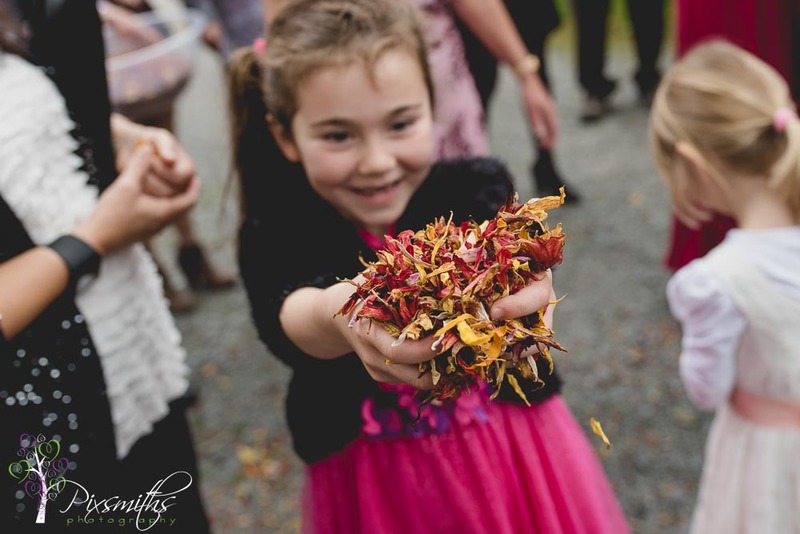 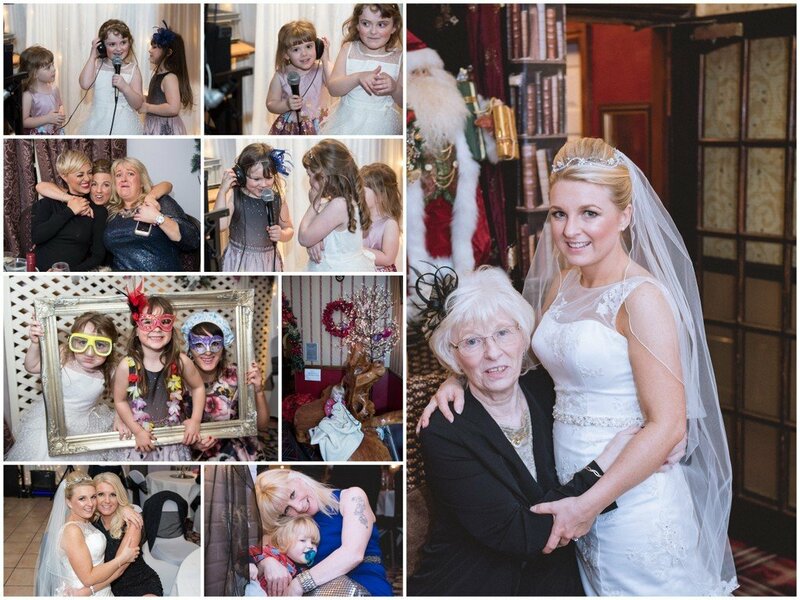 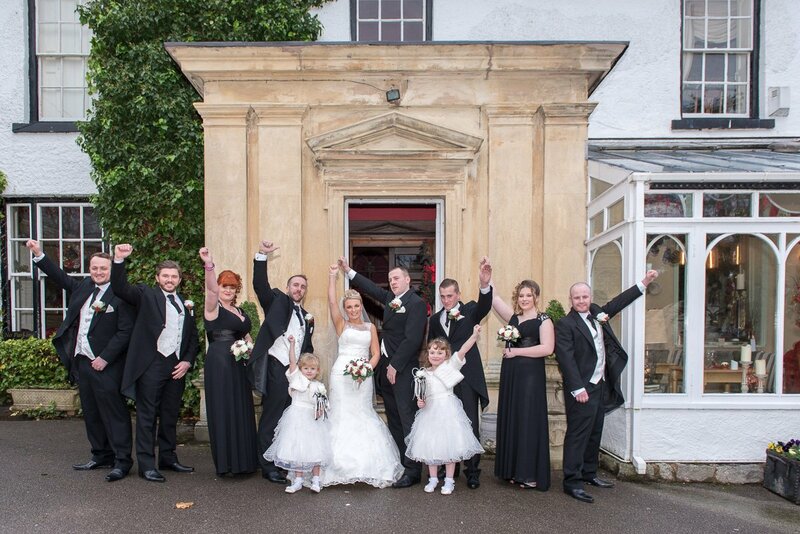 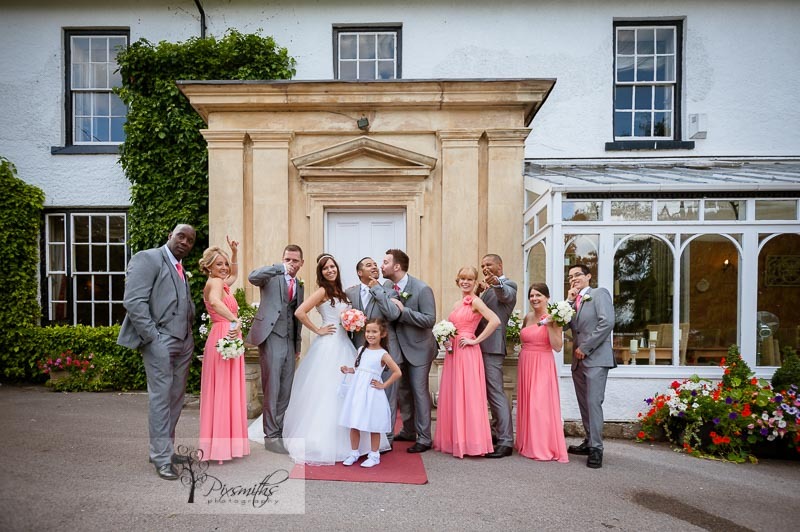 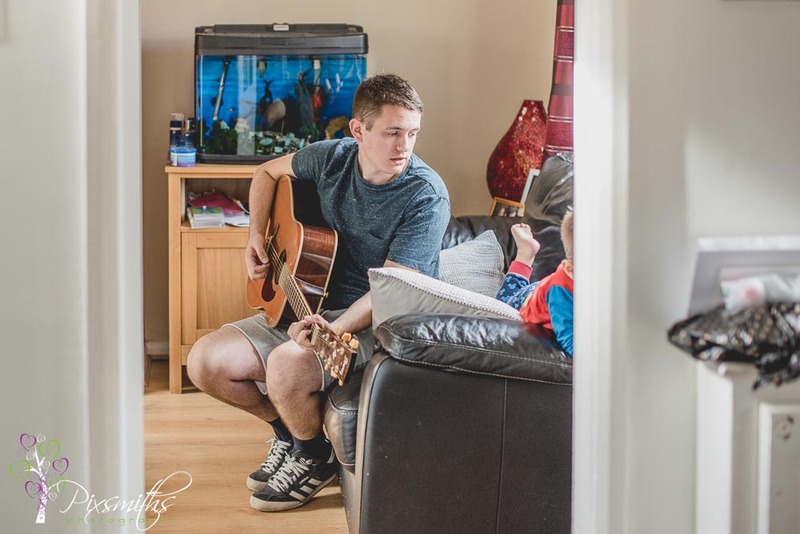 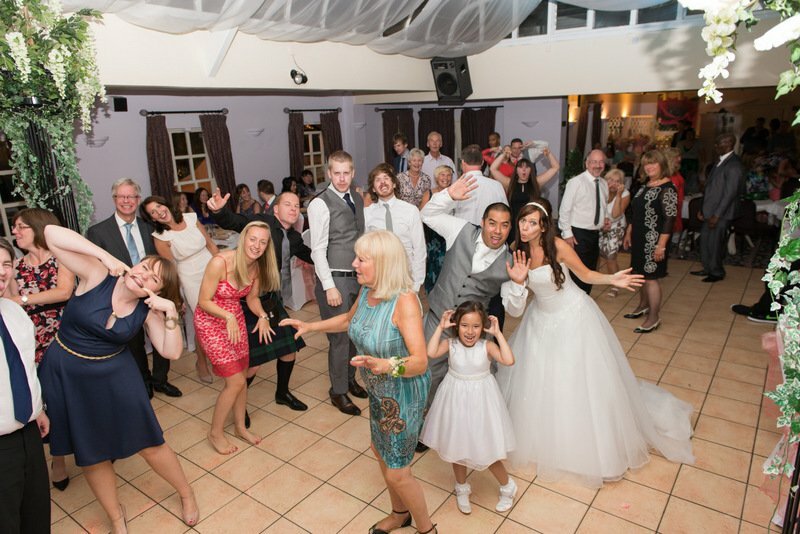 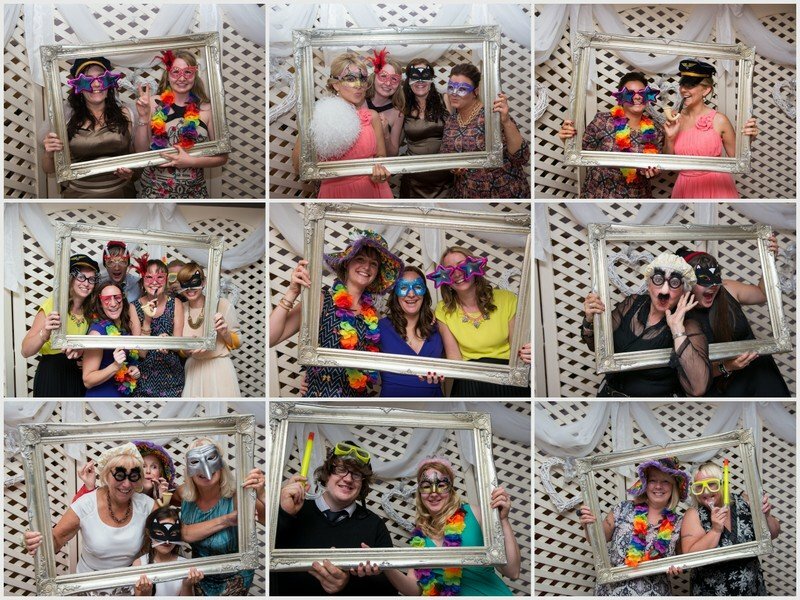 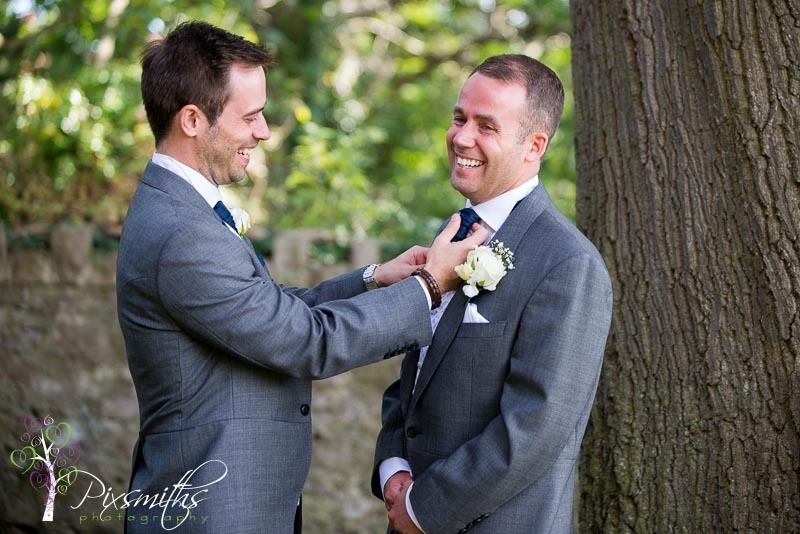 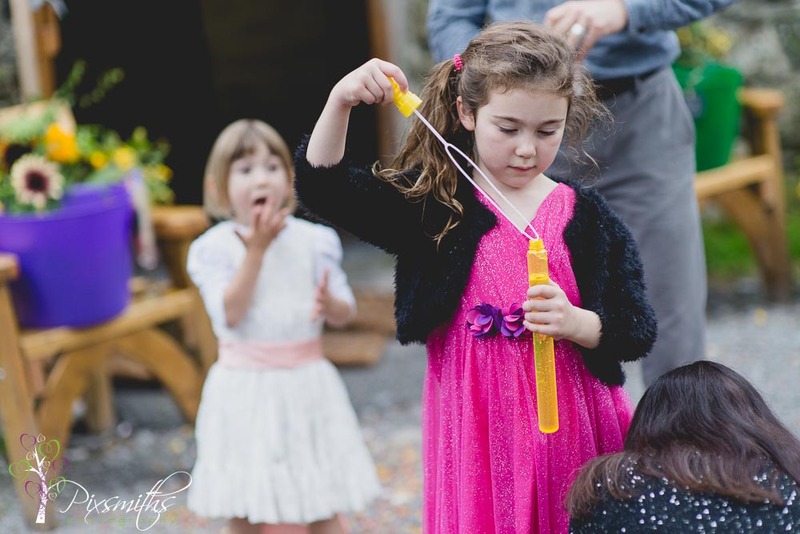 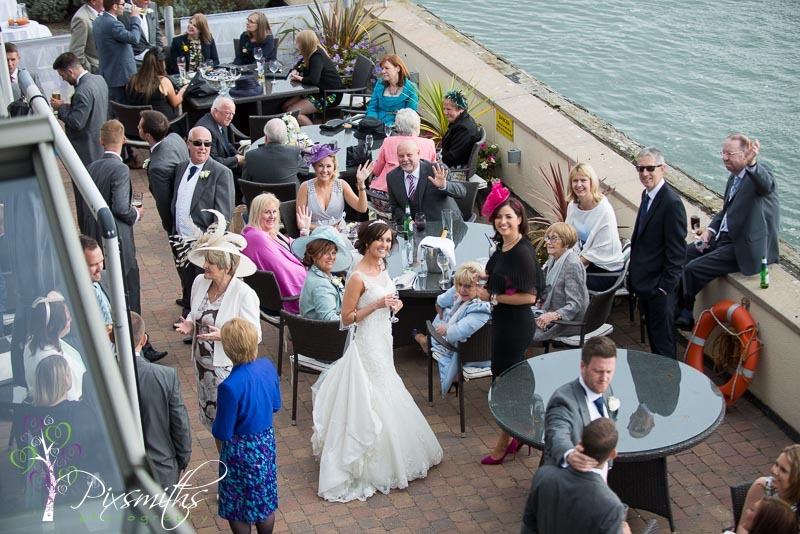 Having us for you Quay Wedding photography all day means more flexibility for informal groups like this. 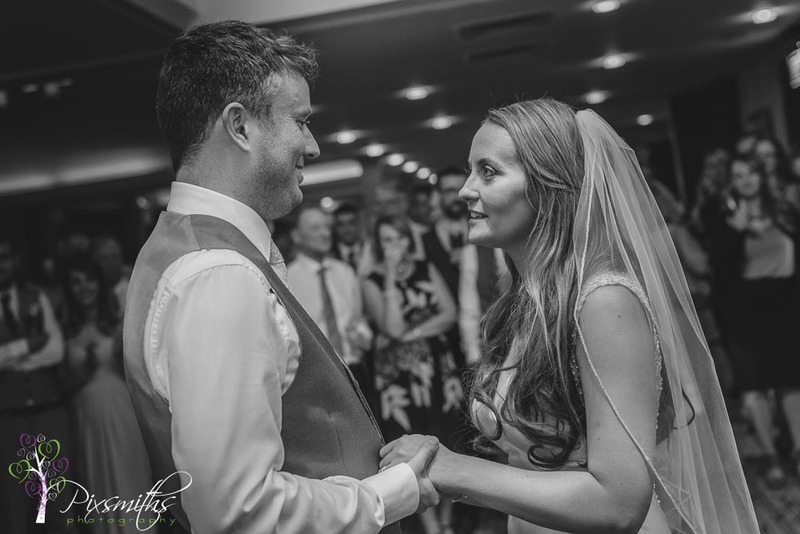 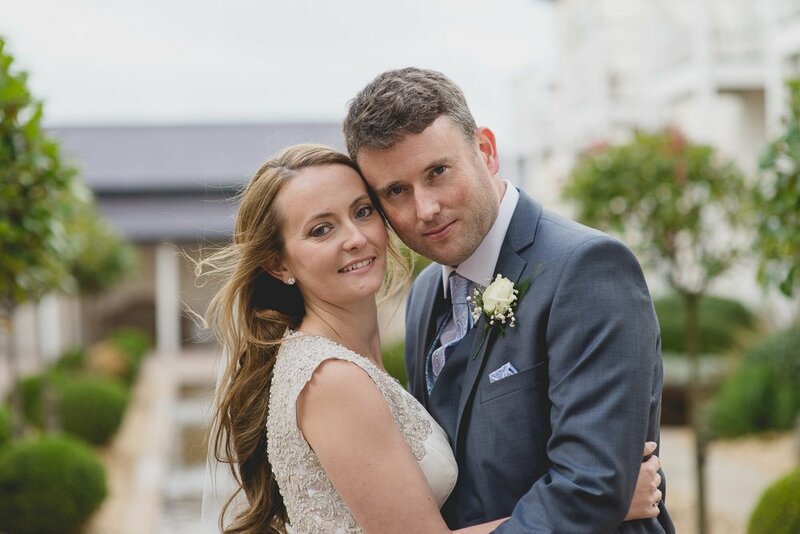 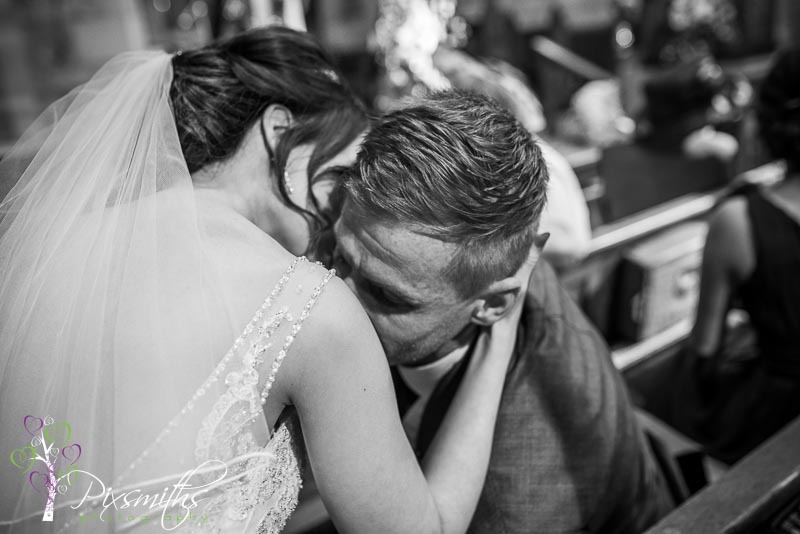 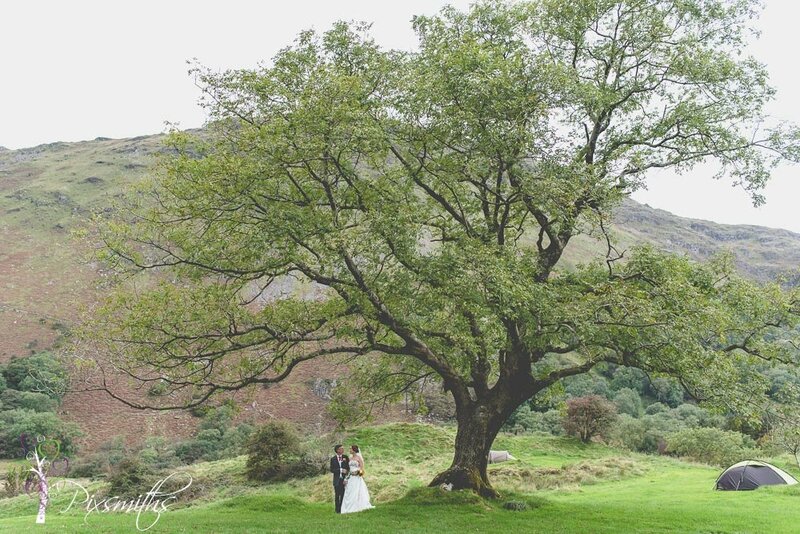 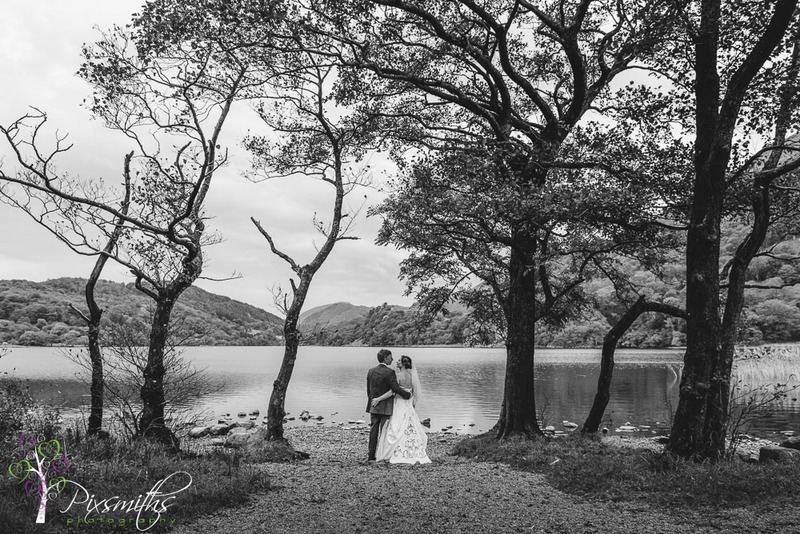 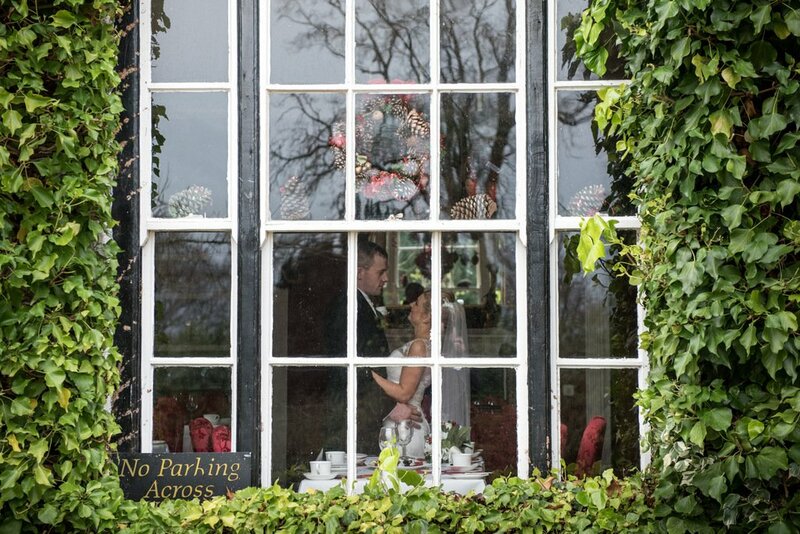 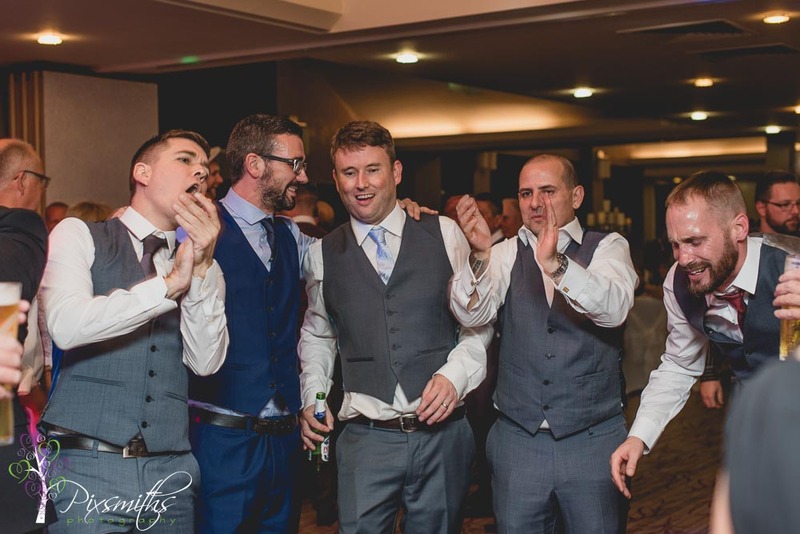 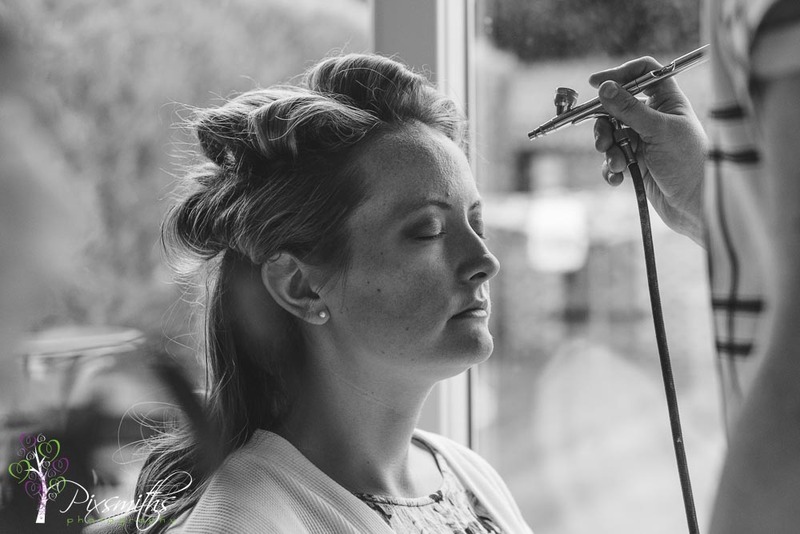 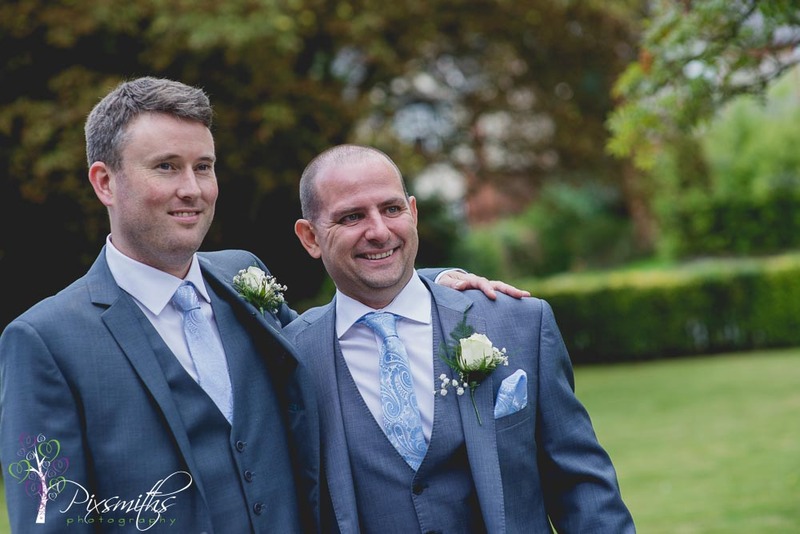 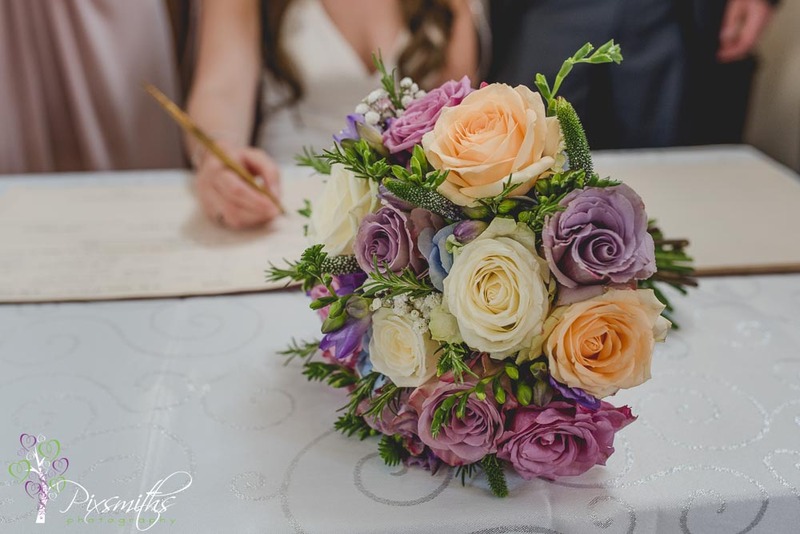 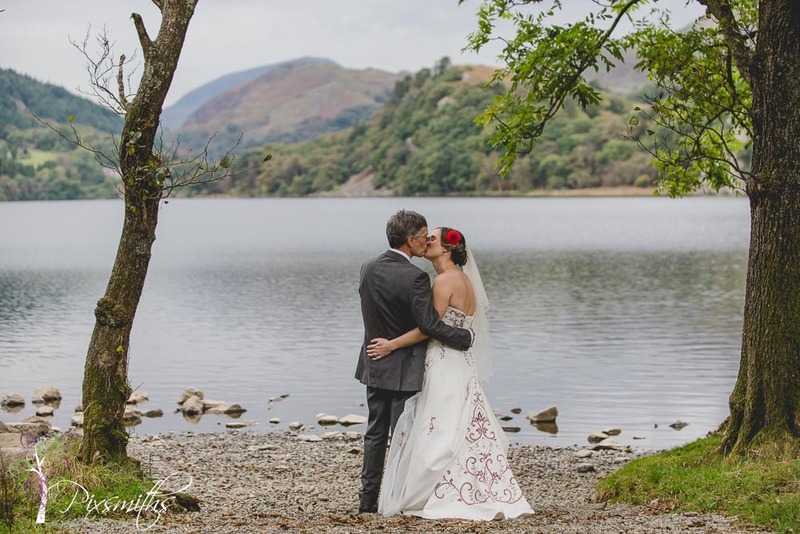 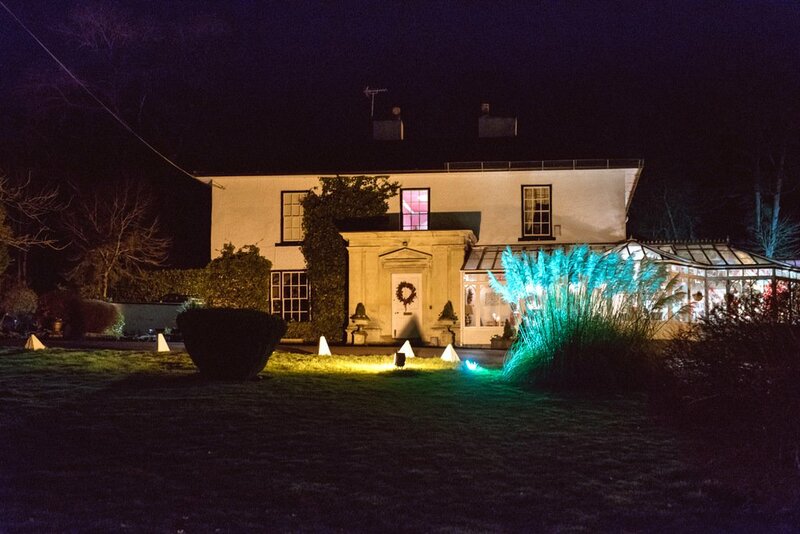 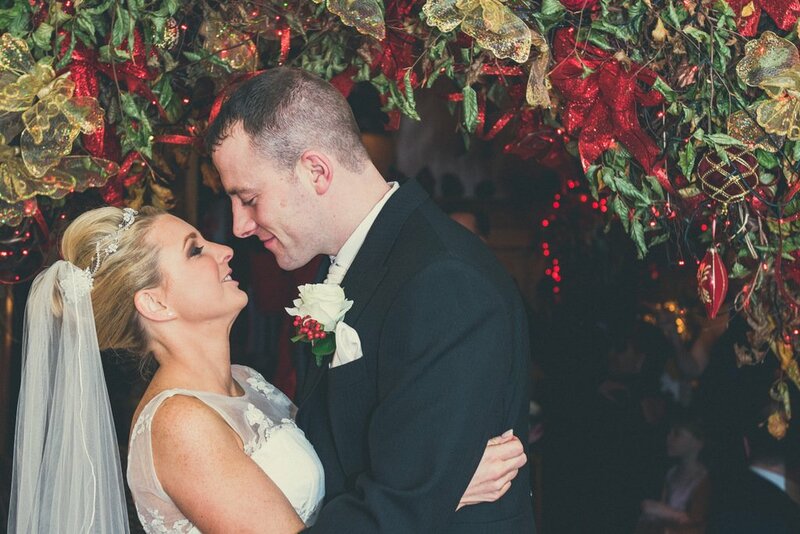 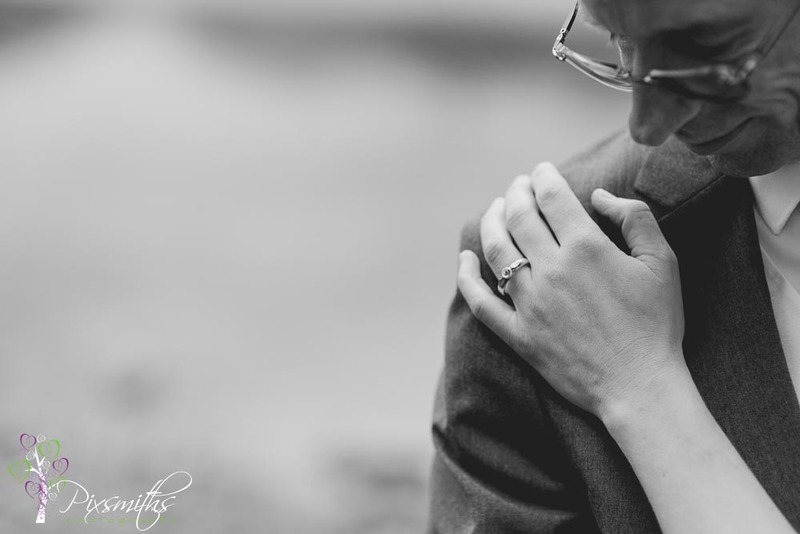 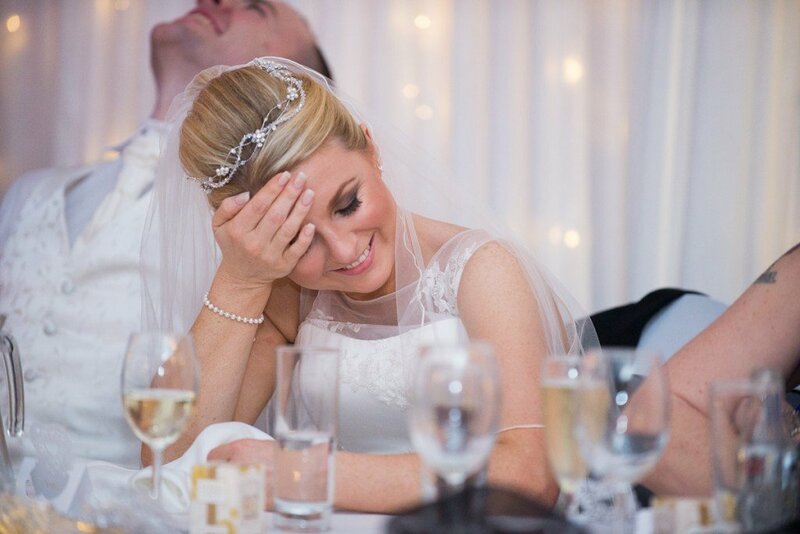 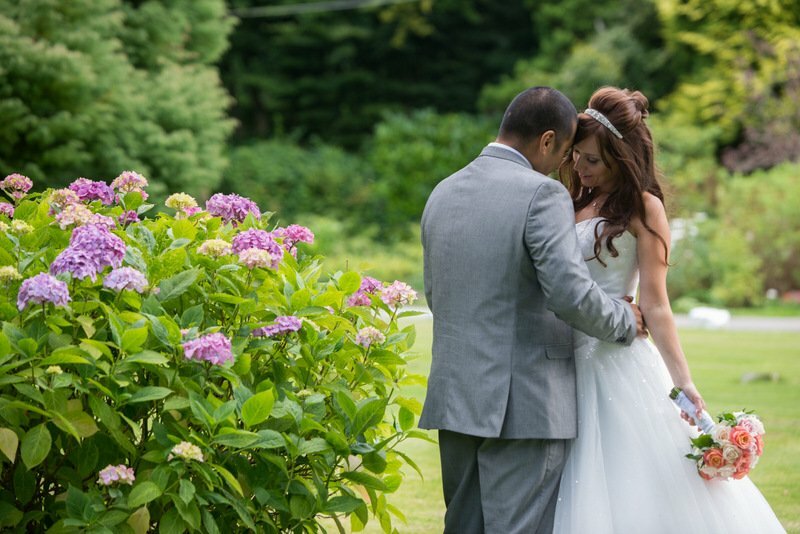 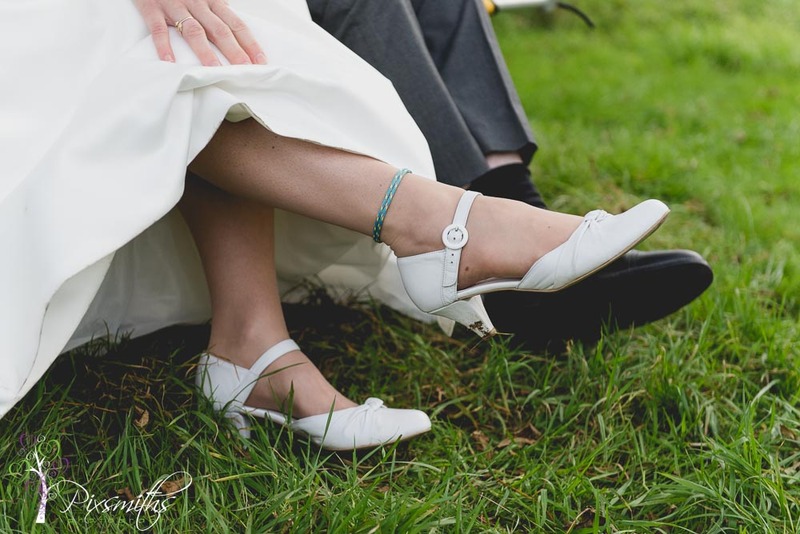 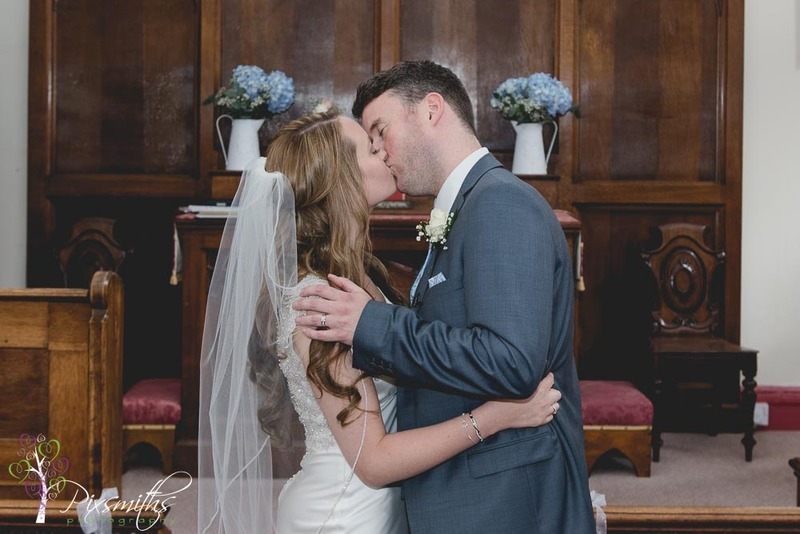 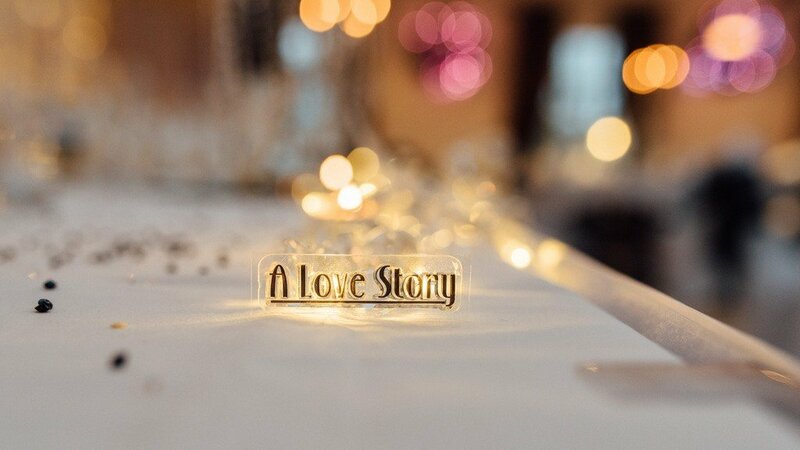 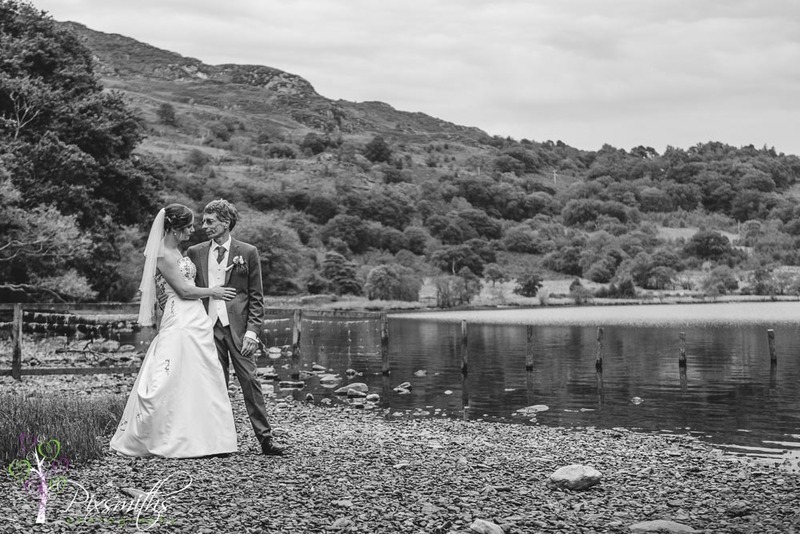 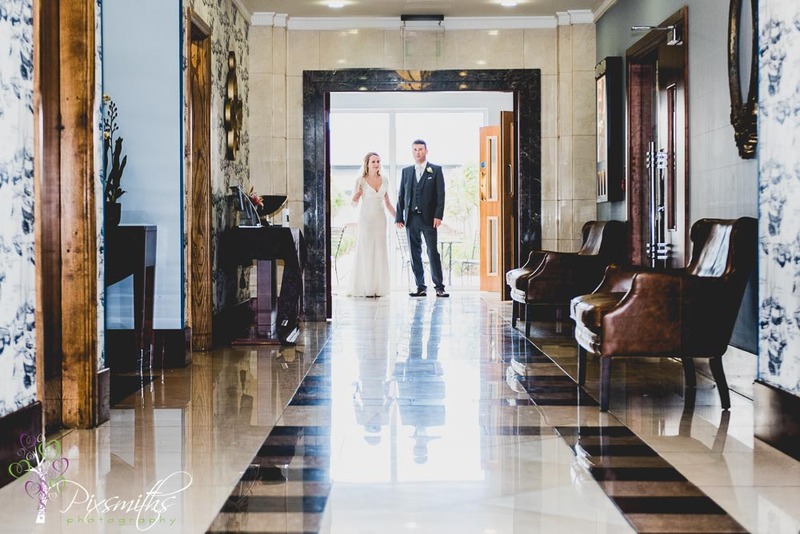 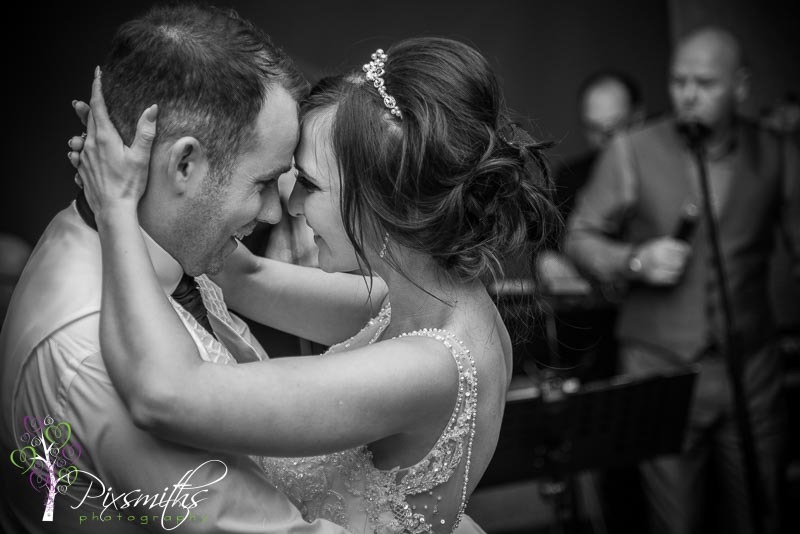 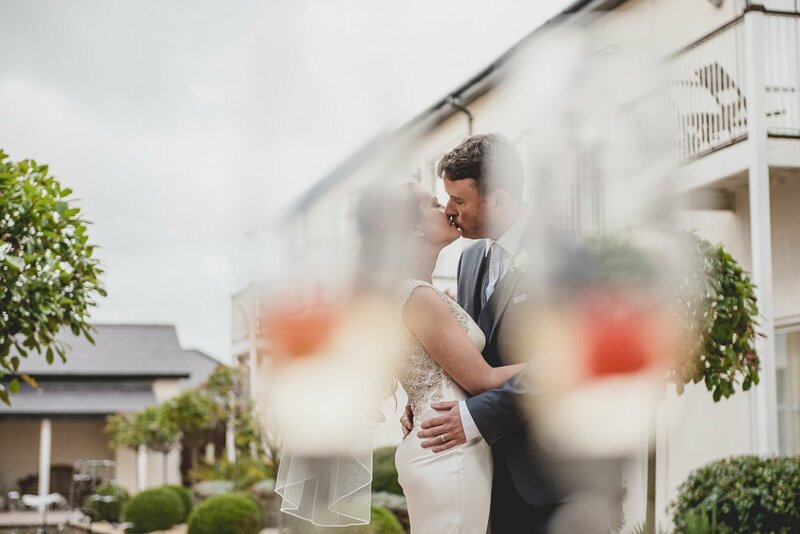 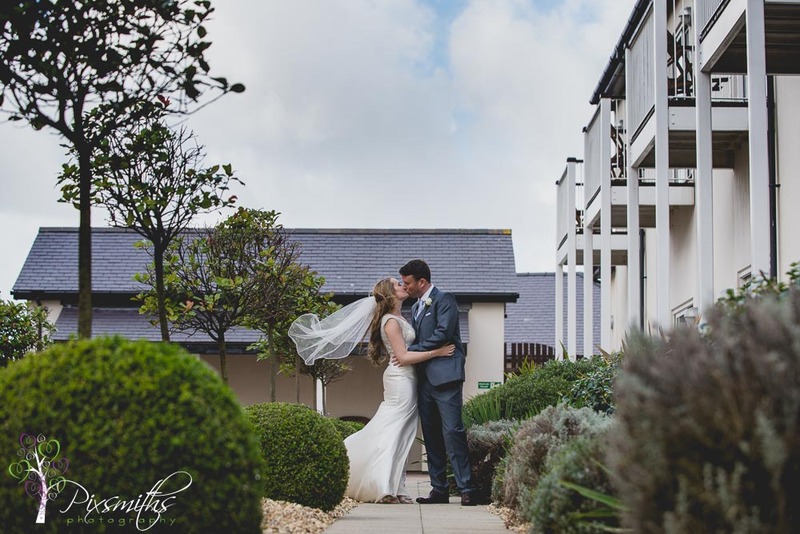 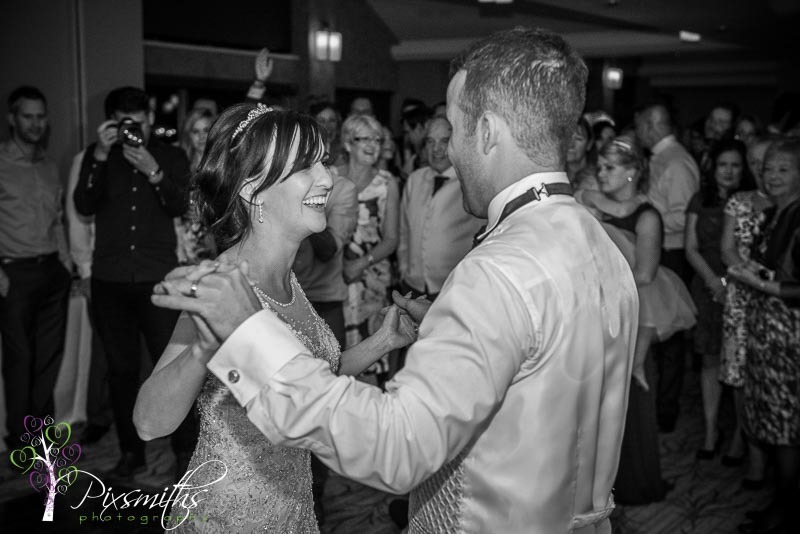 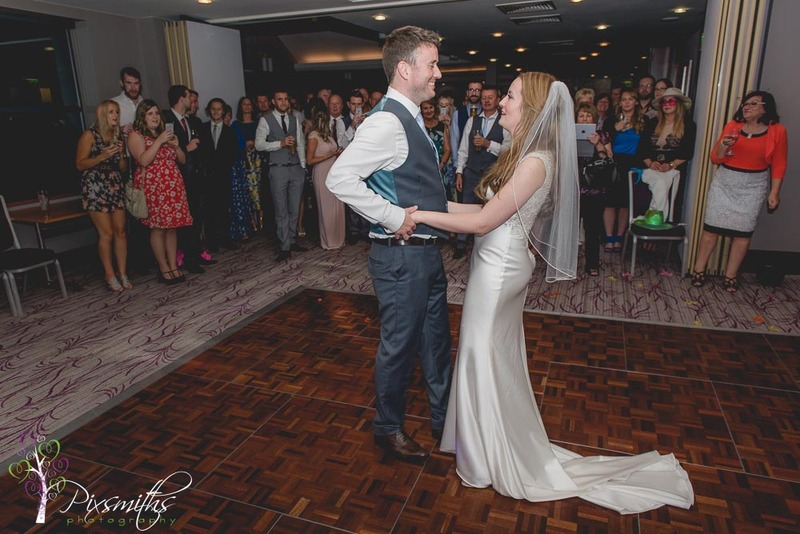 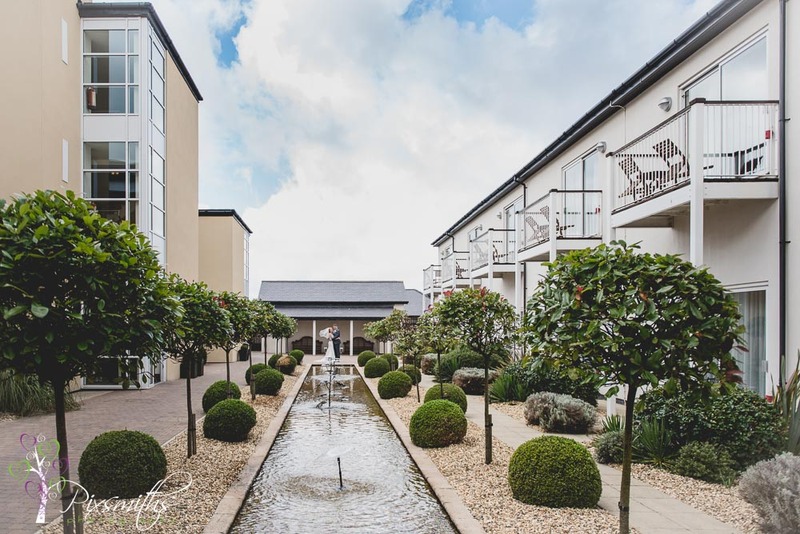 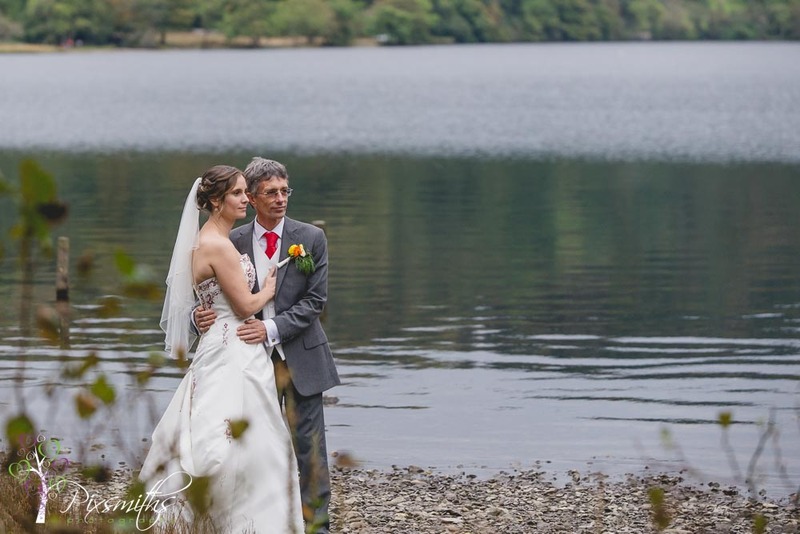 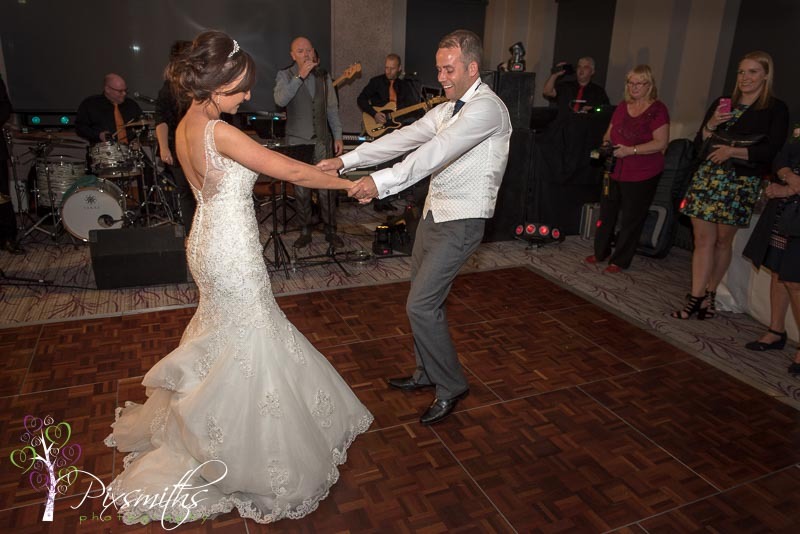 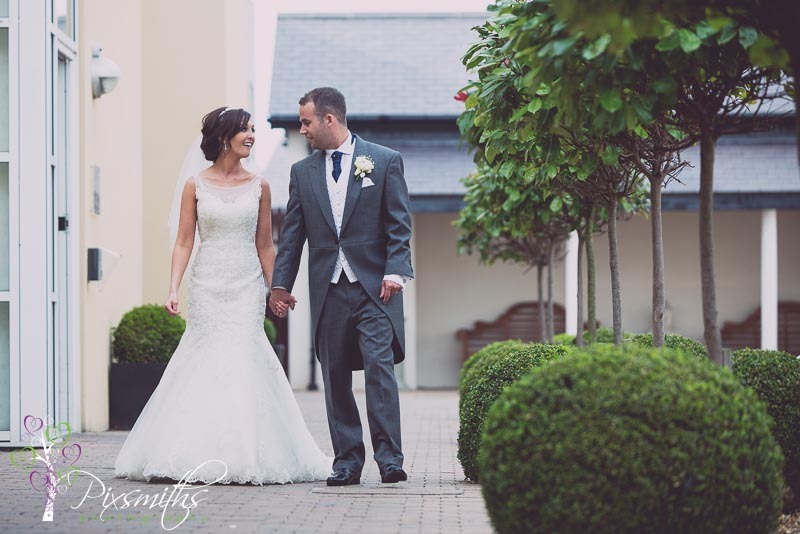 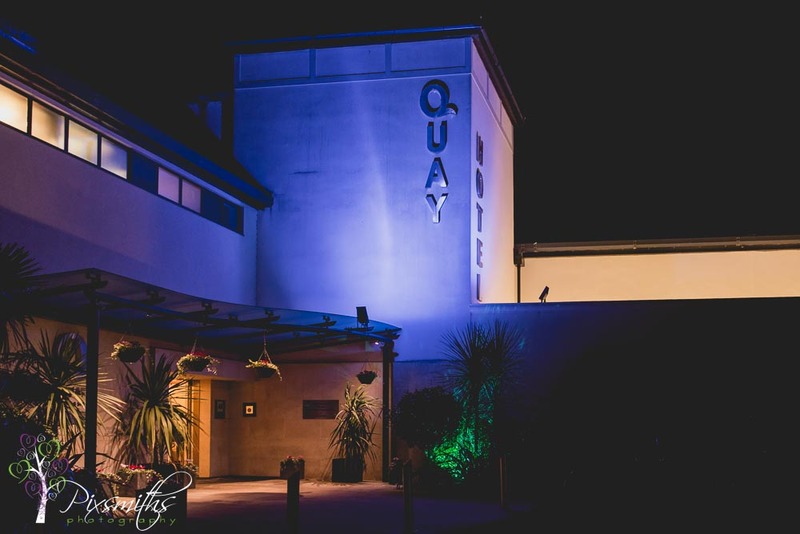 If you are interested in two relaxed friendly photographers for The Quay Hotel Wedding Photography please get in touch using our contact page with your details! 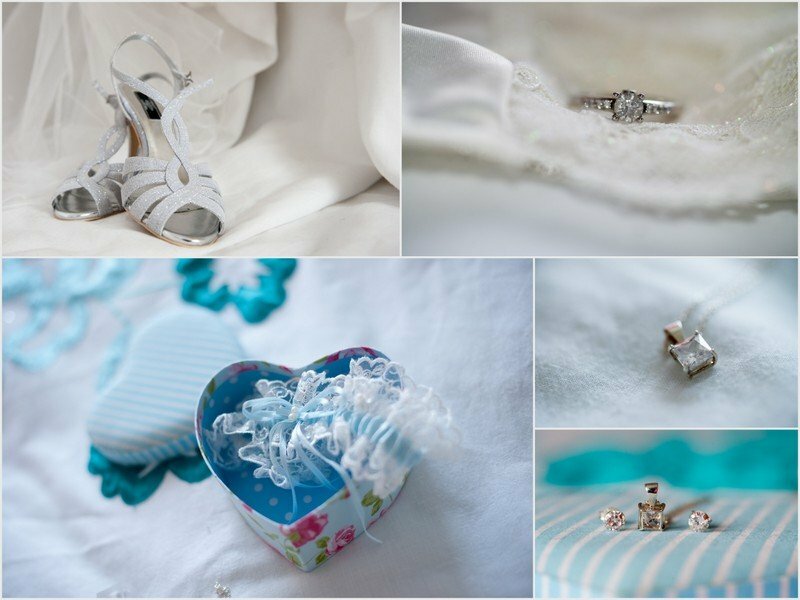 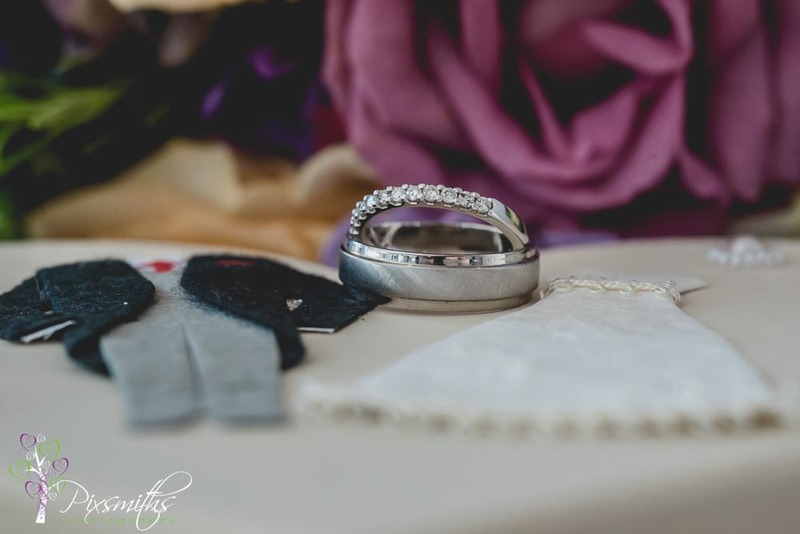 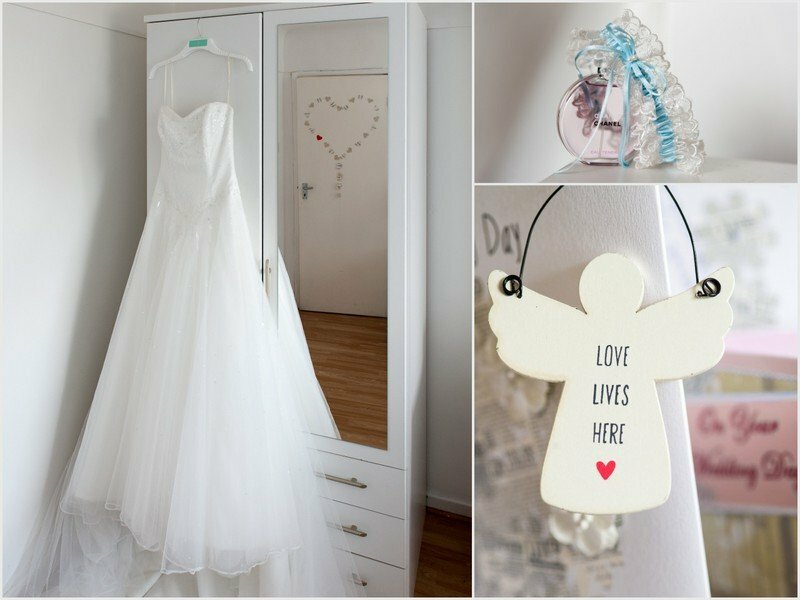 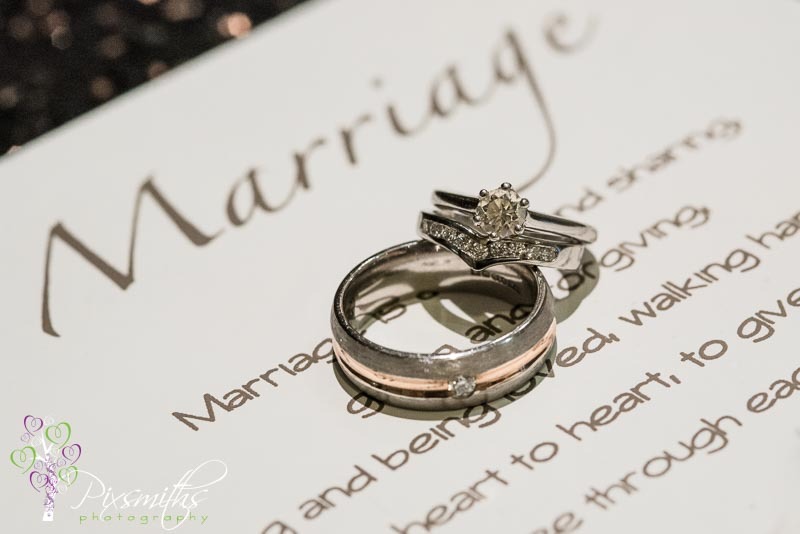 We at Pixsmiths Creative Photography had been looking forward to this day ever since the Valentine’s Engagement Shoot with our couple. 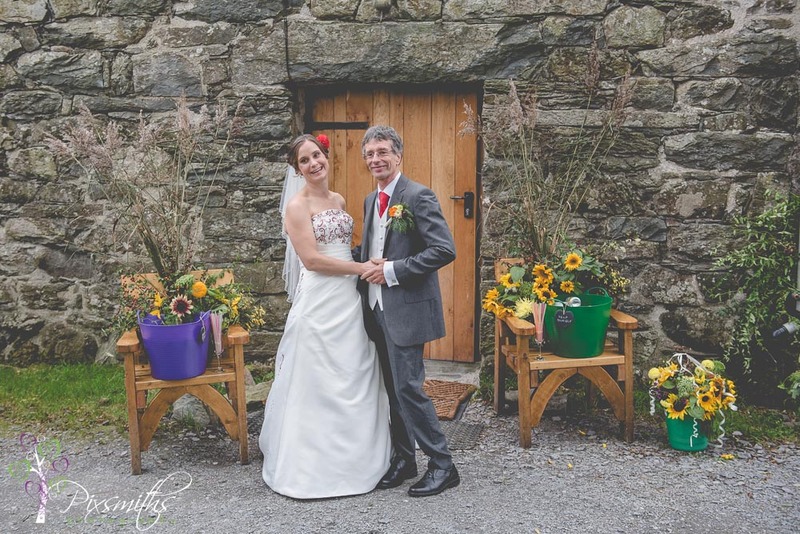 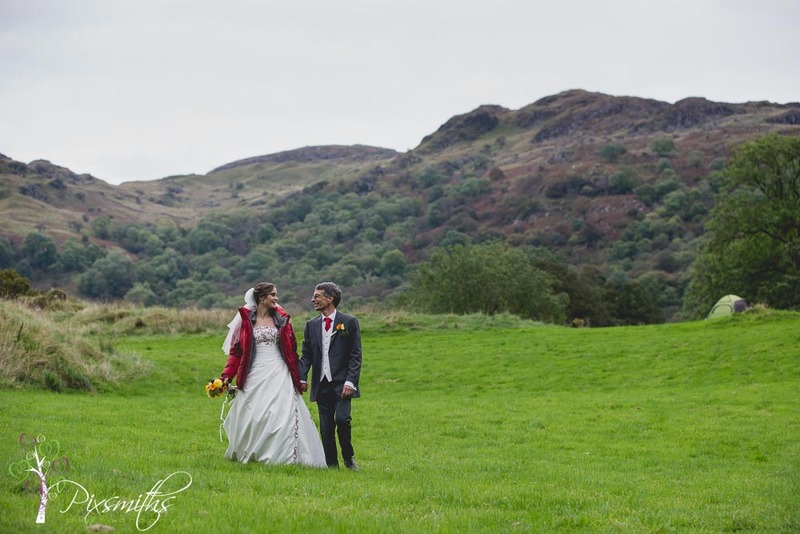 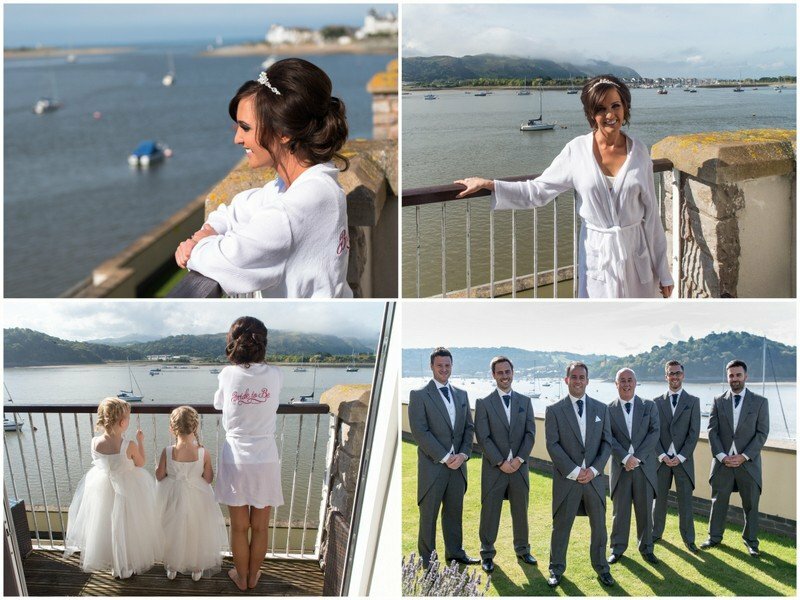 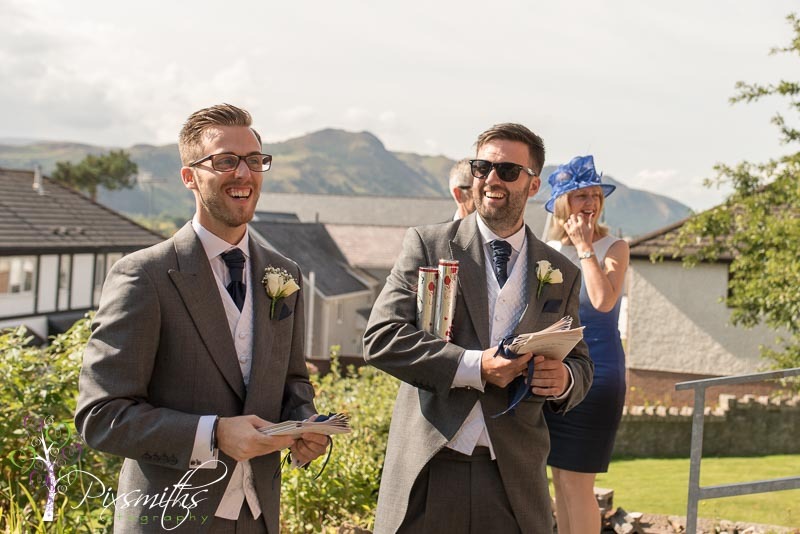 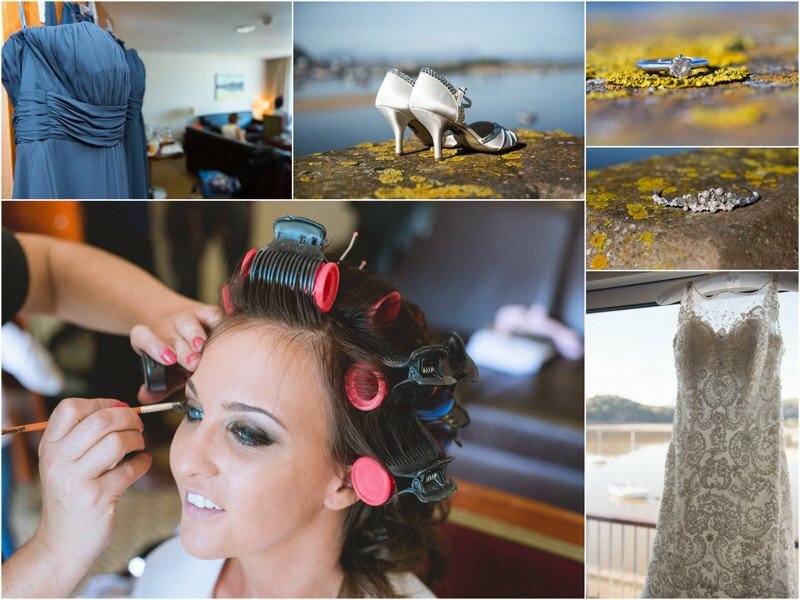 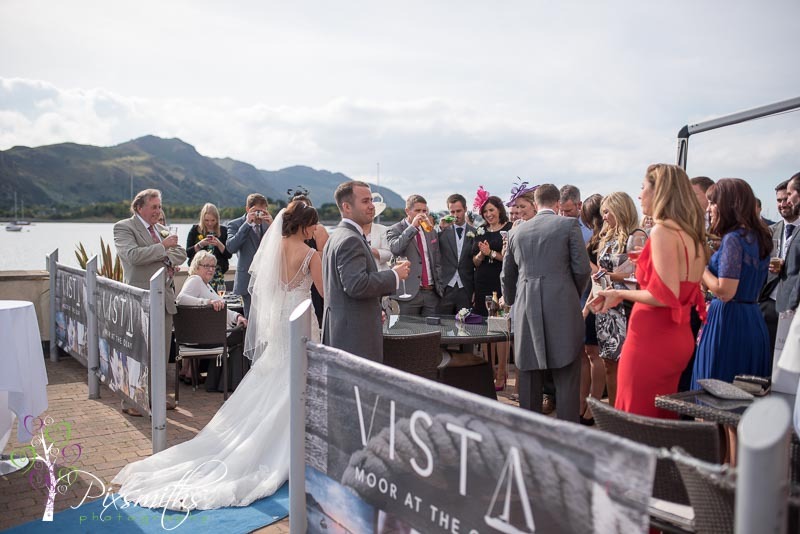 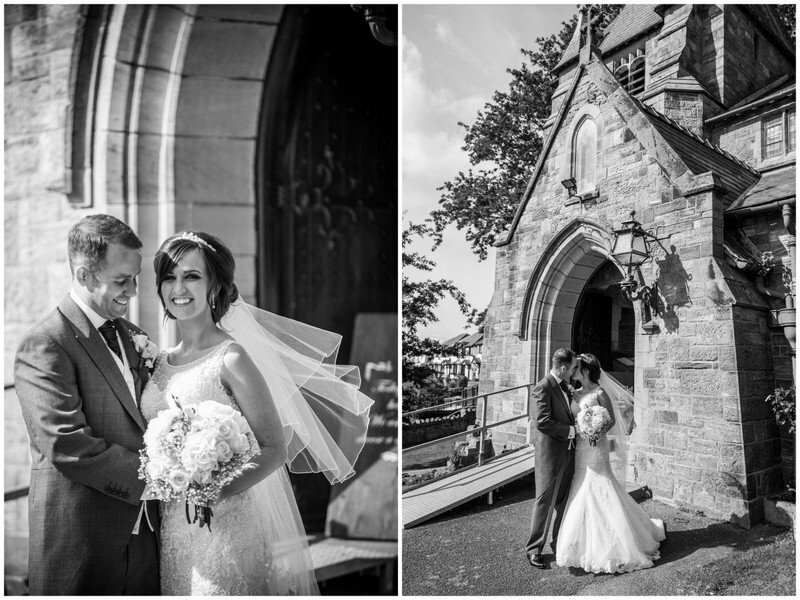 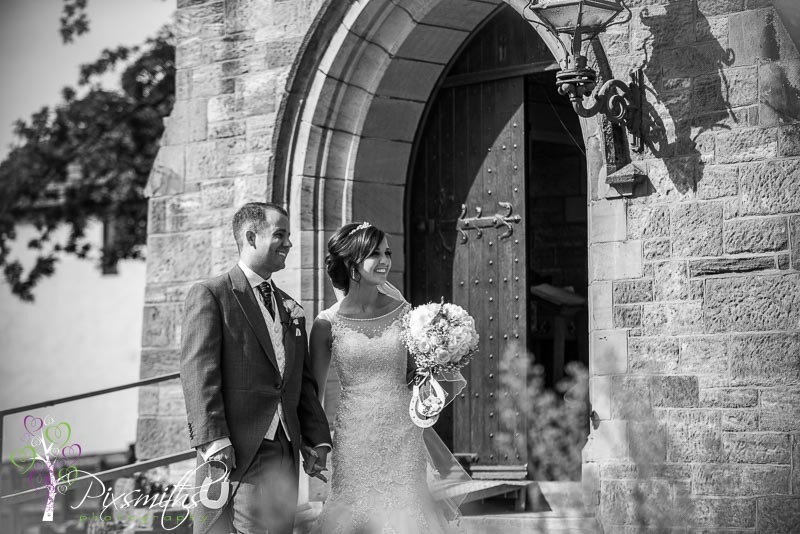 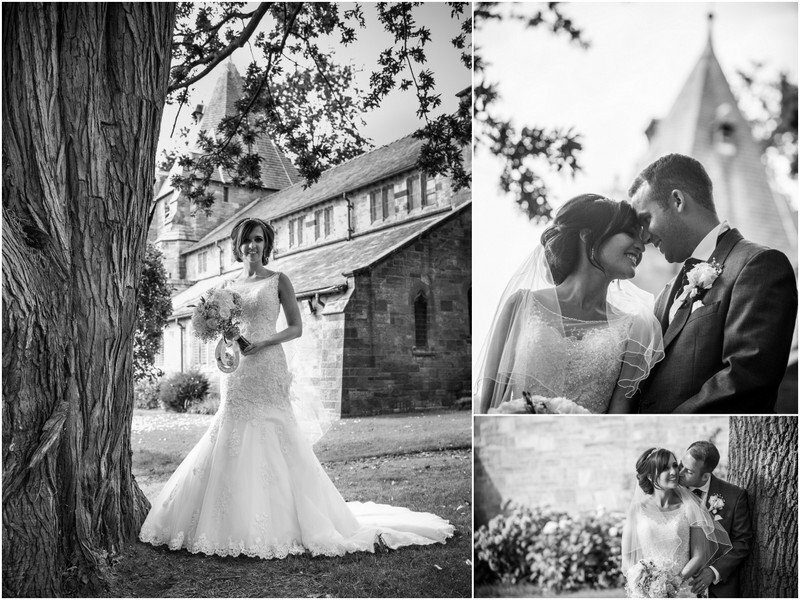 So happy a sunny September wedding day arrived for Vicky and Mike at the wonderfully situated Quay Hotel Deganwy. 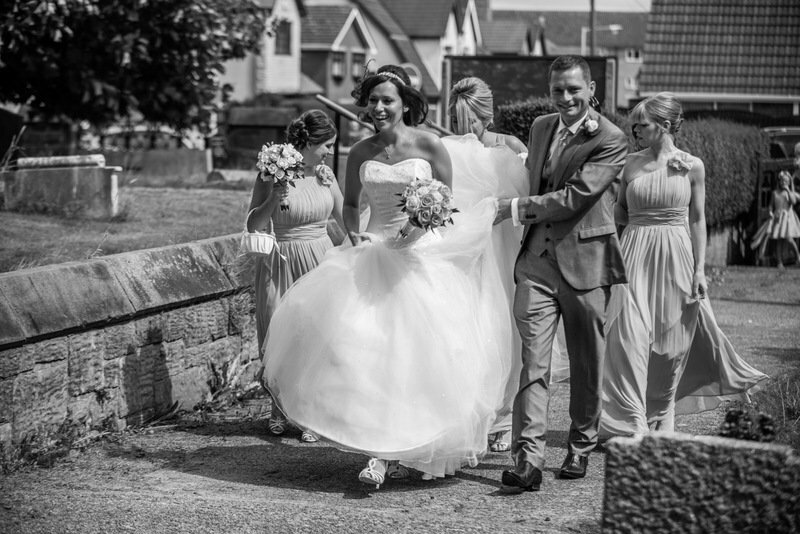 Located right on the waterfront and with the sun shining had French Riviera feel to the day! 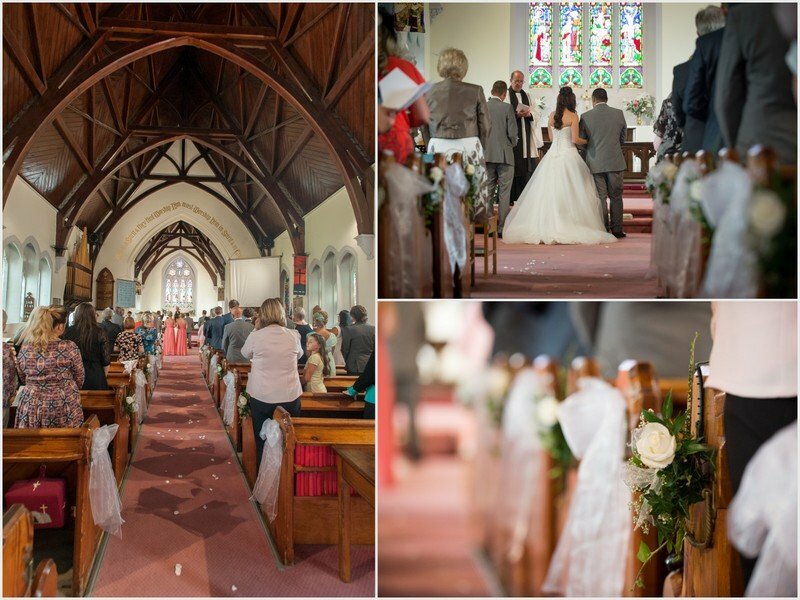 Preps at the hotel and a church ceremony across the level crossing and up the hill to the quaint church of All Saints. 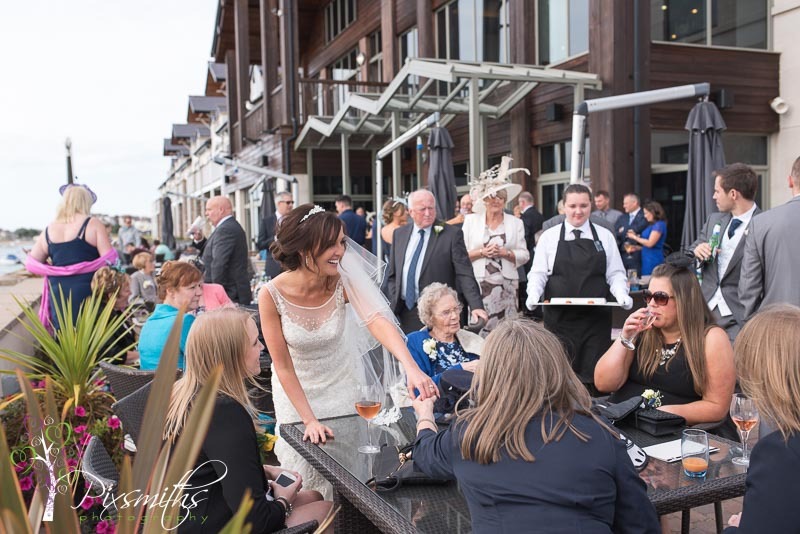 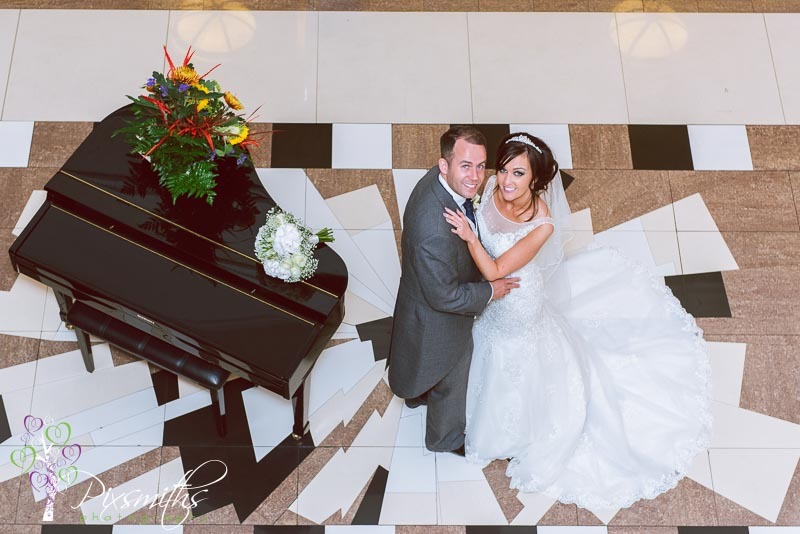 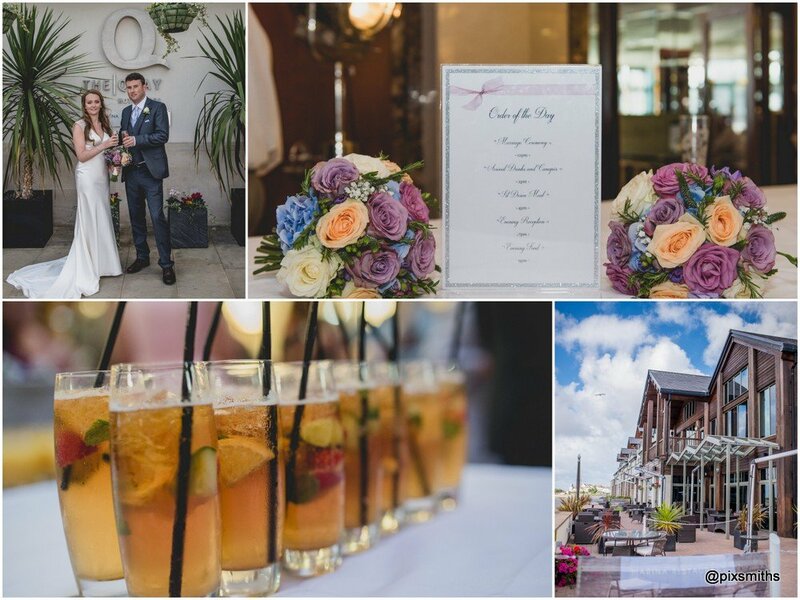 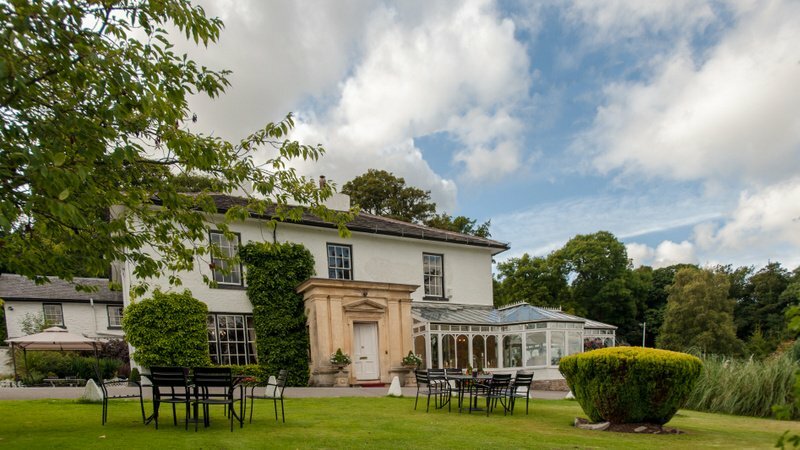 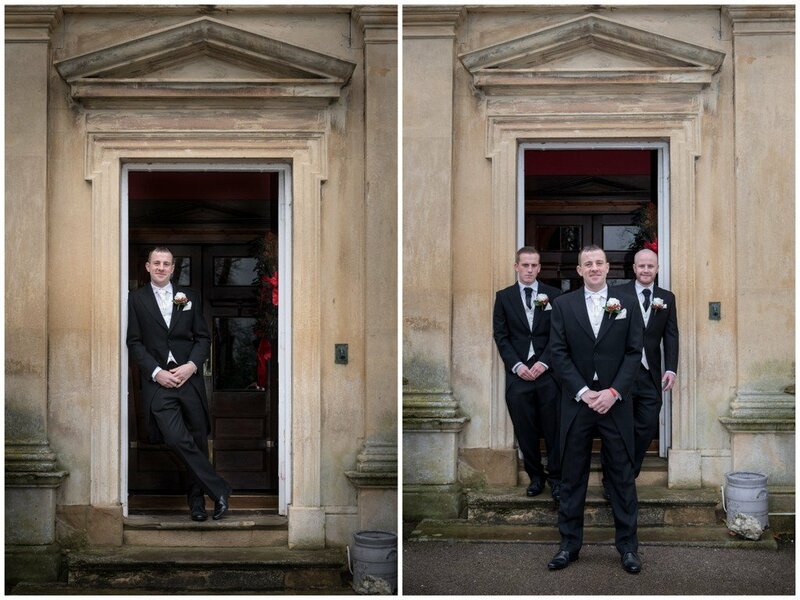 An elegant reception ensued back down at the hotel, guests milling outside for drinks before the wedding breakfast, everyone having a fabulous day. 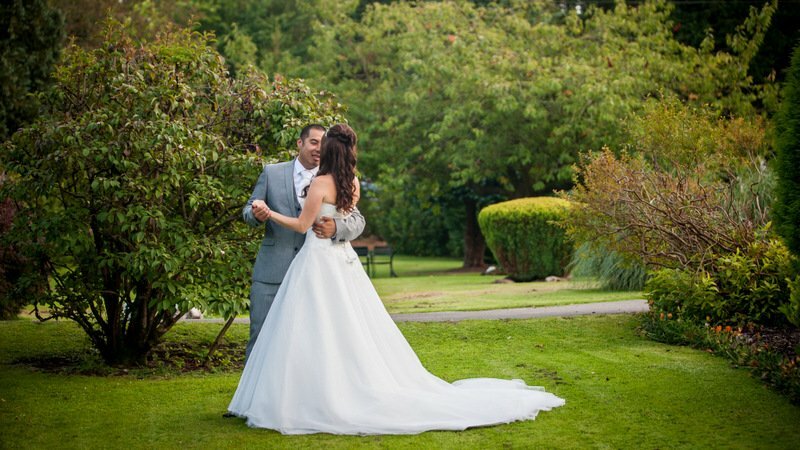 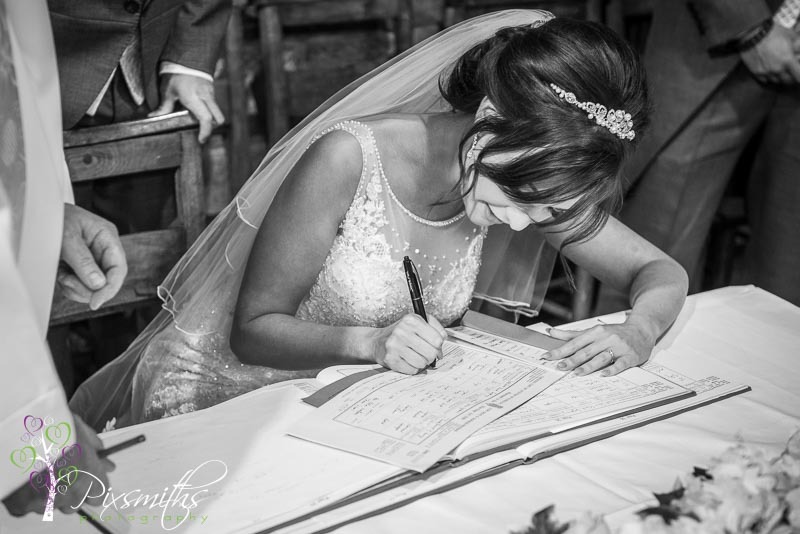 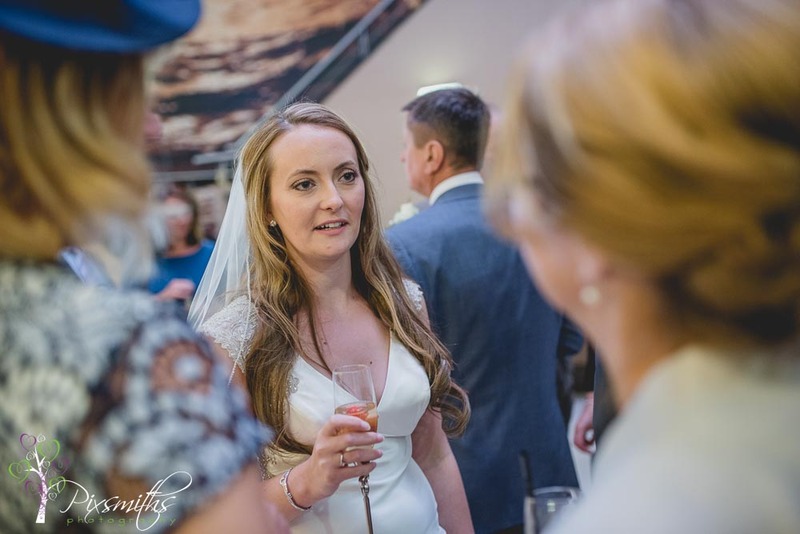 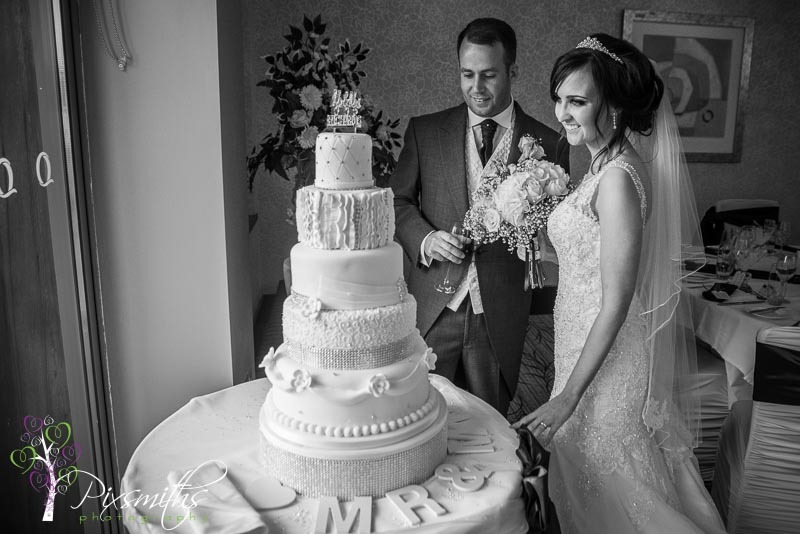 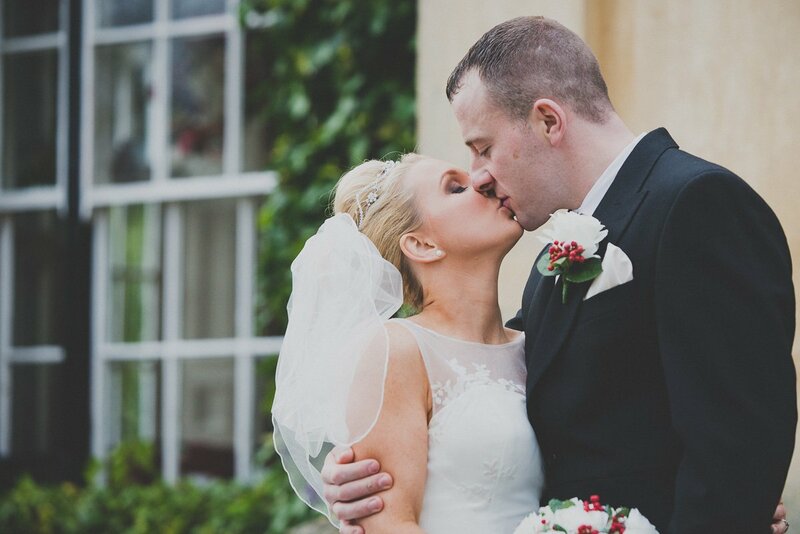 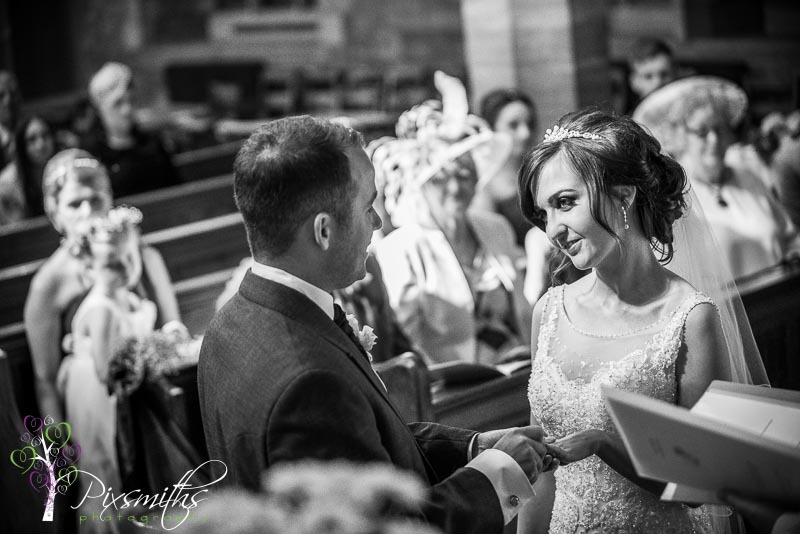 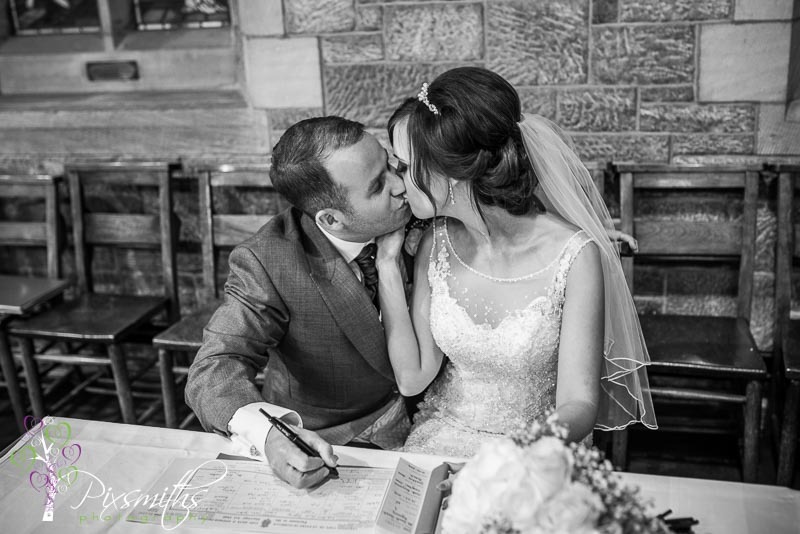 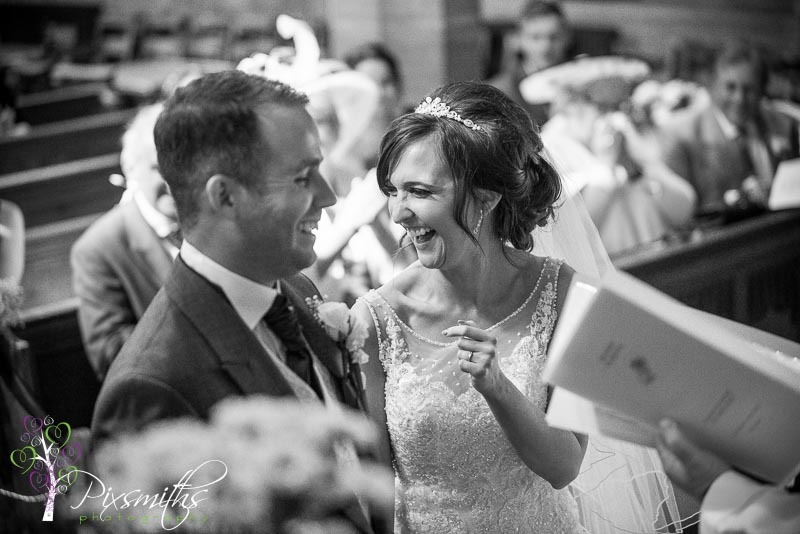 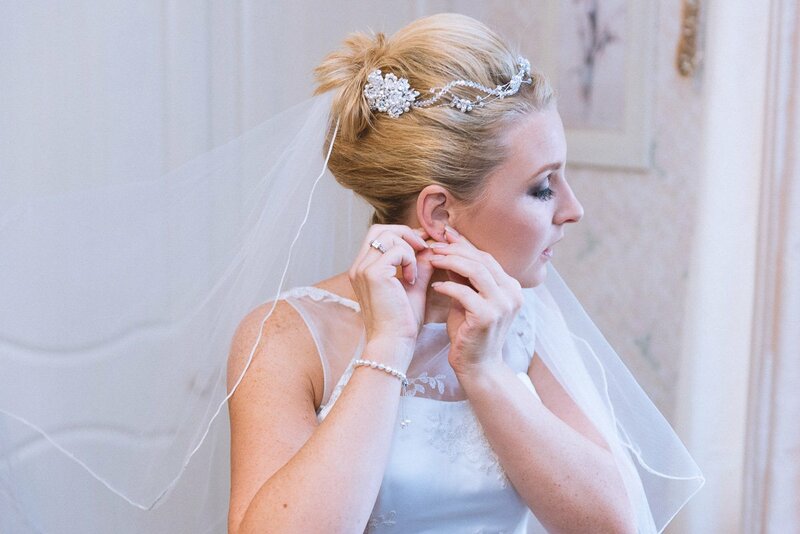 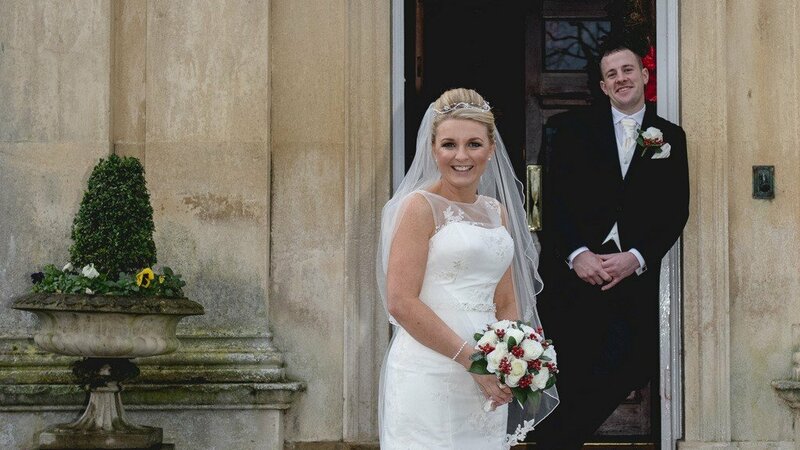 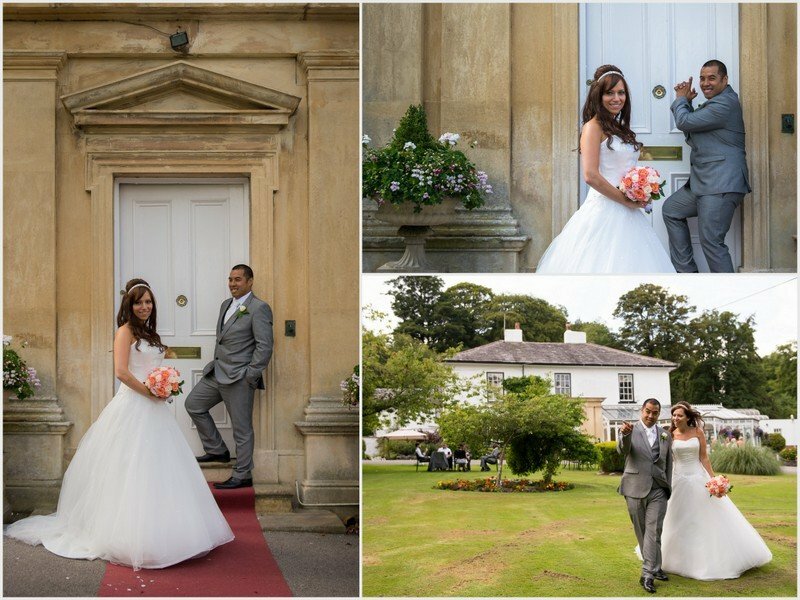 Vicky looked stunning in her crystal encrusted wedding dress her cream, green and white bouquet just suited this elegant wedding perfectly. 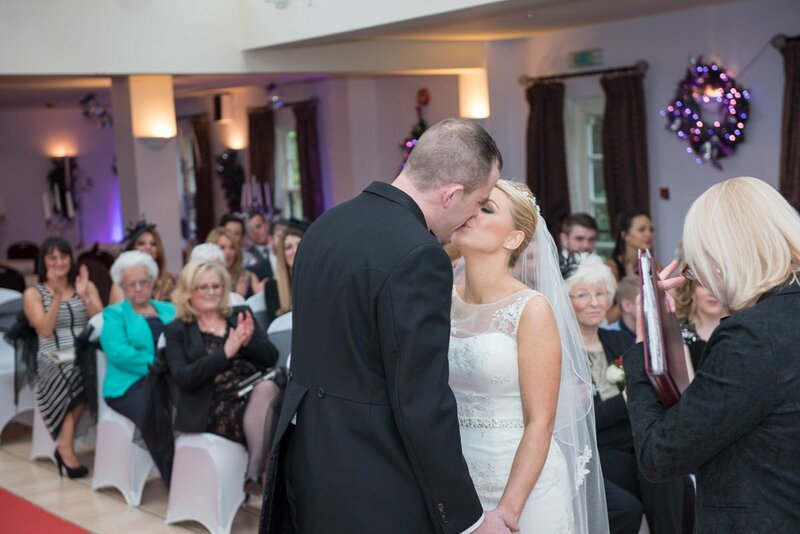 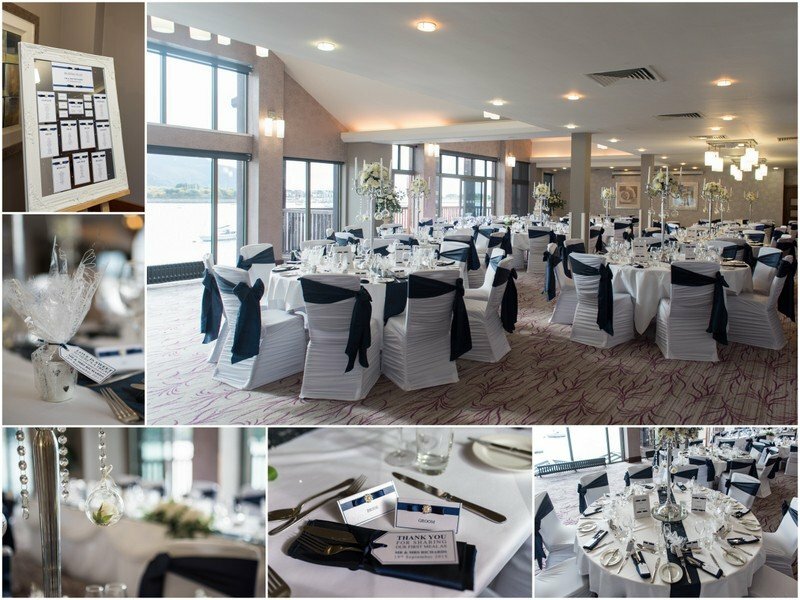 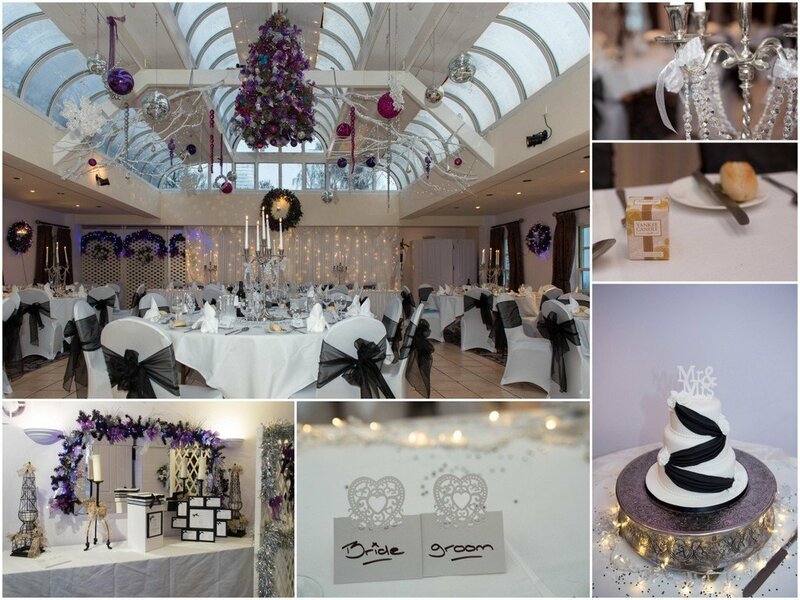 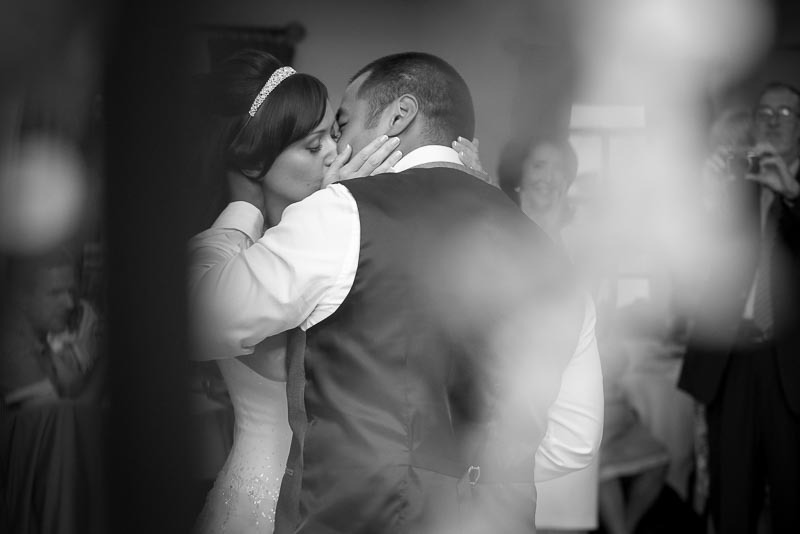 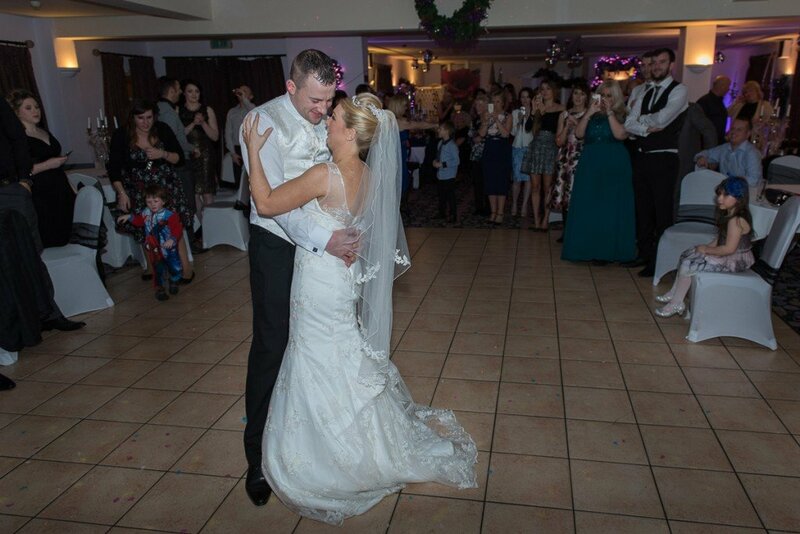 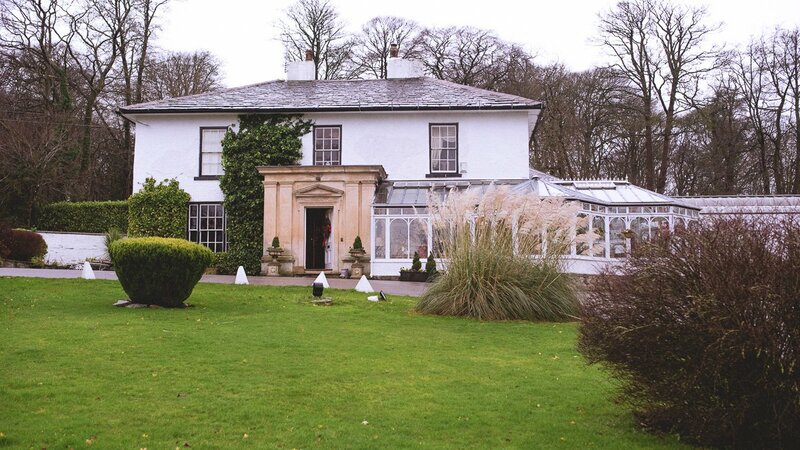 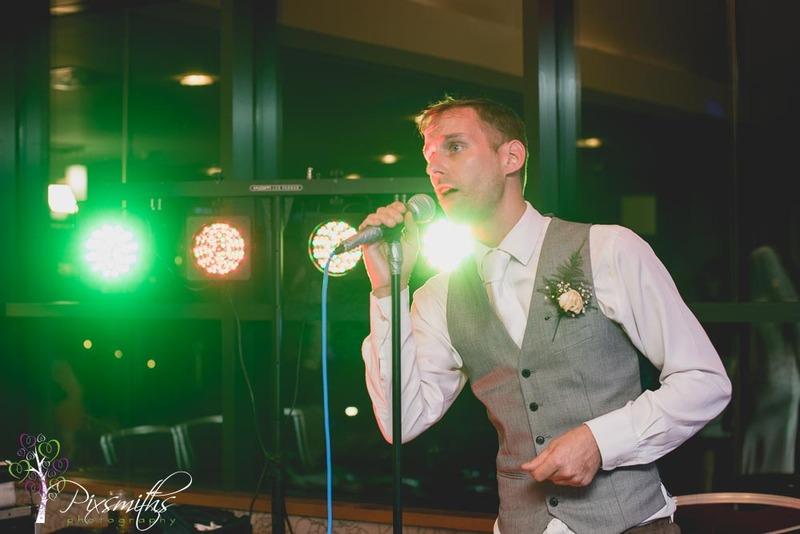 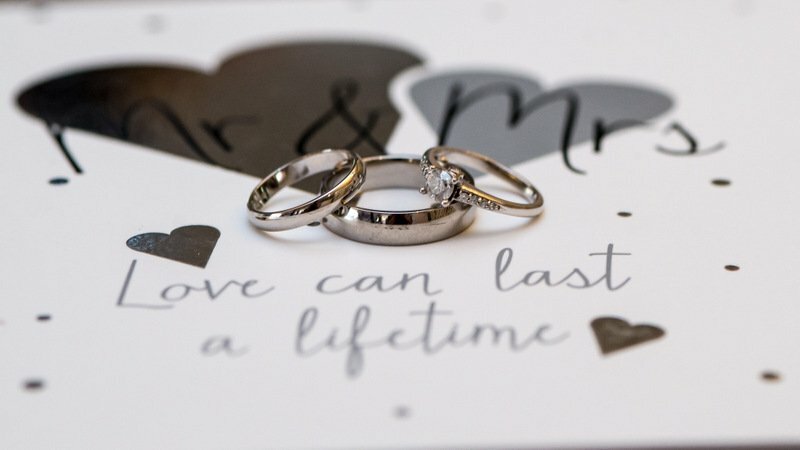 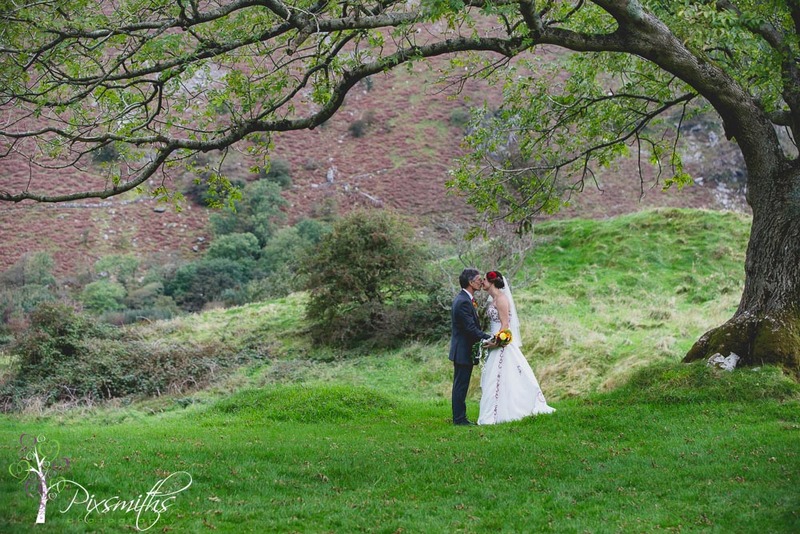 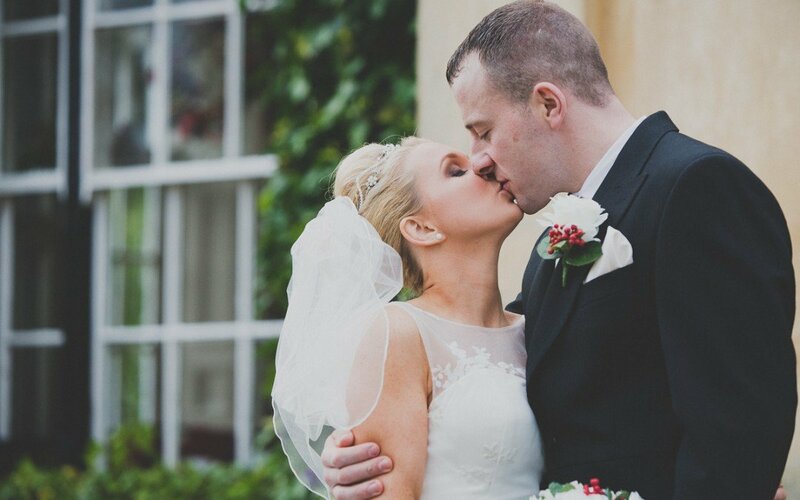 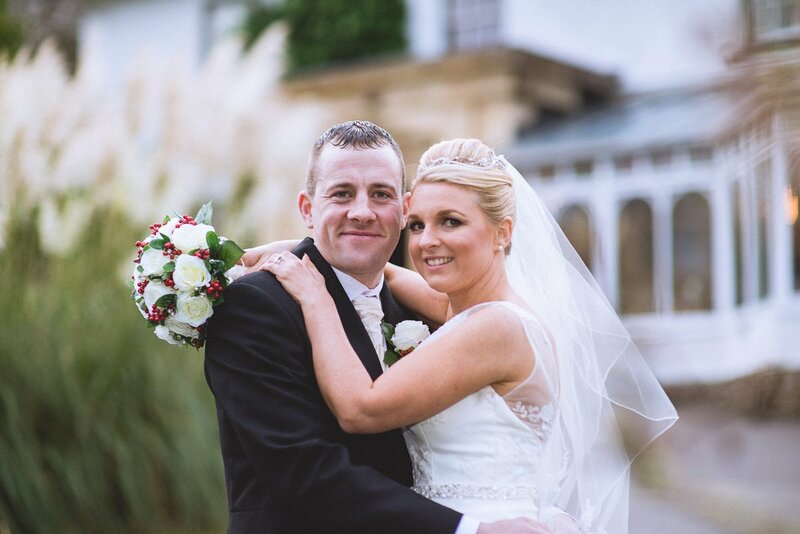 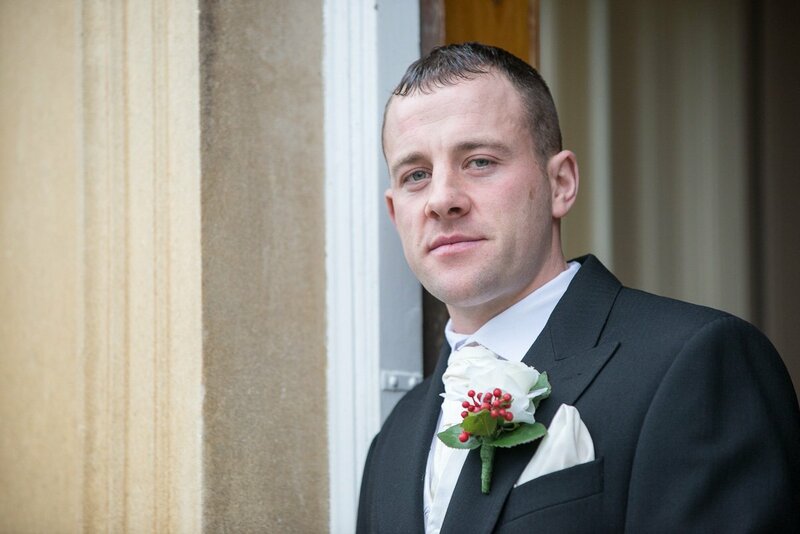 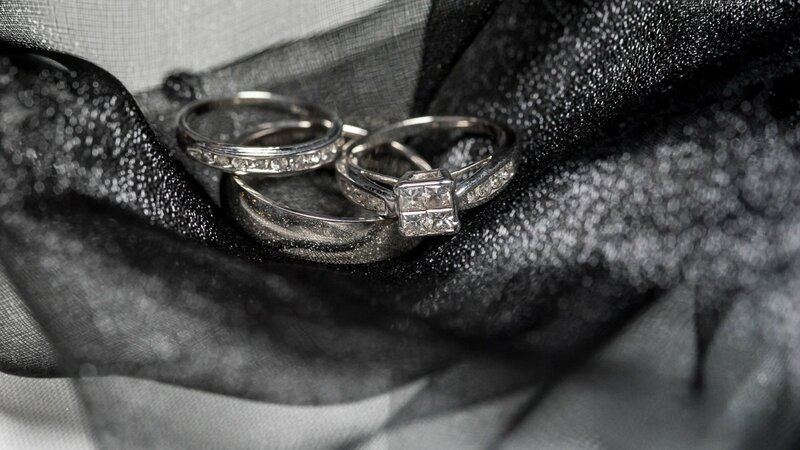 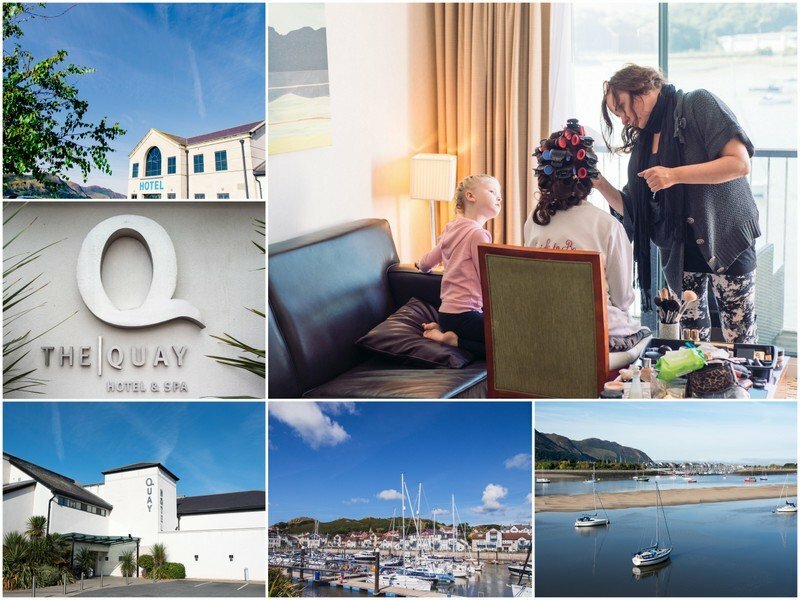 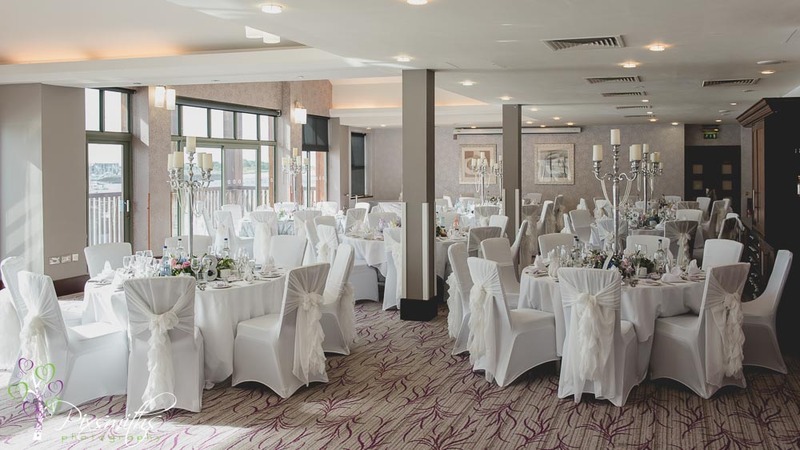 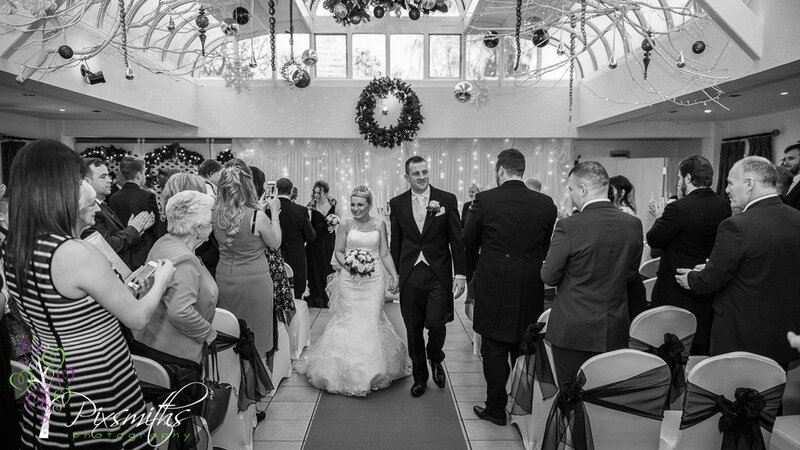 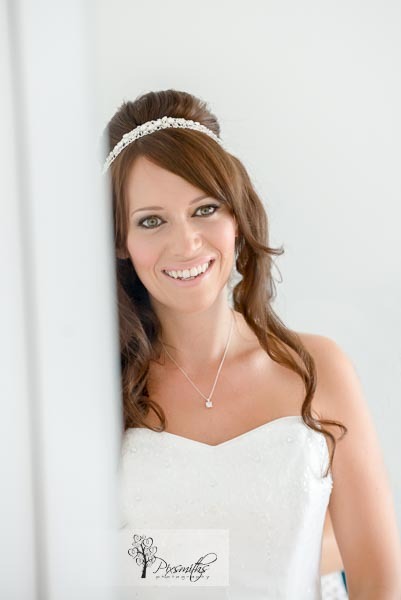 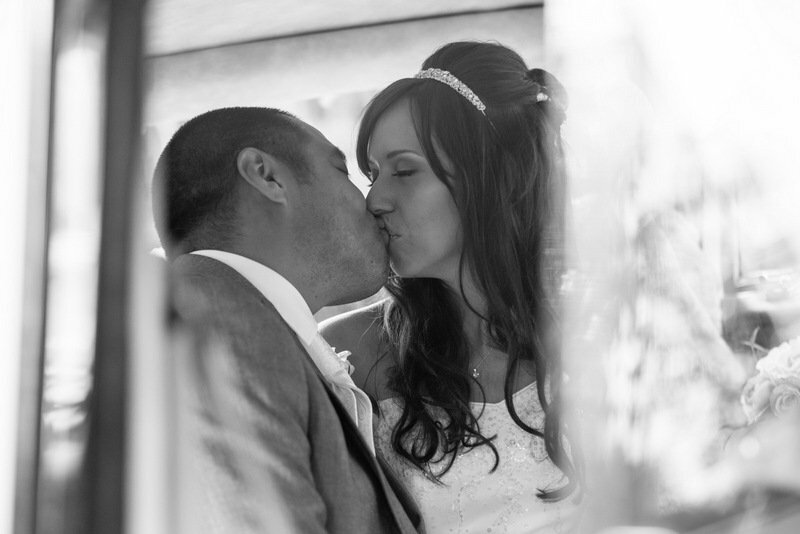 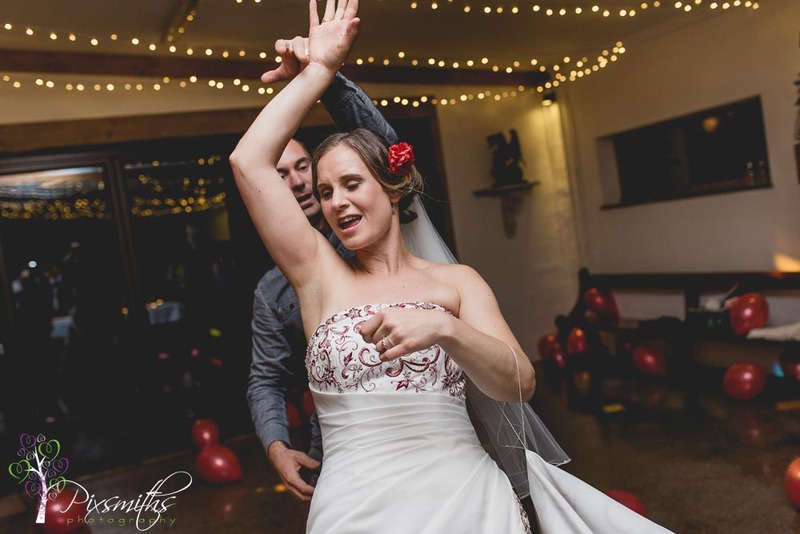 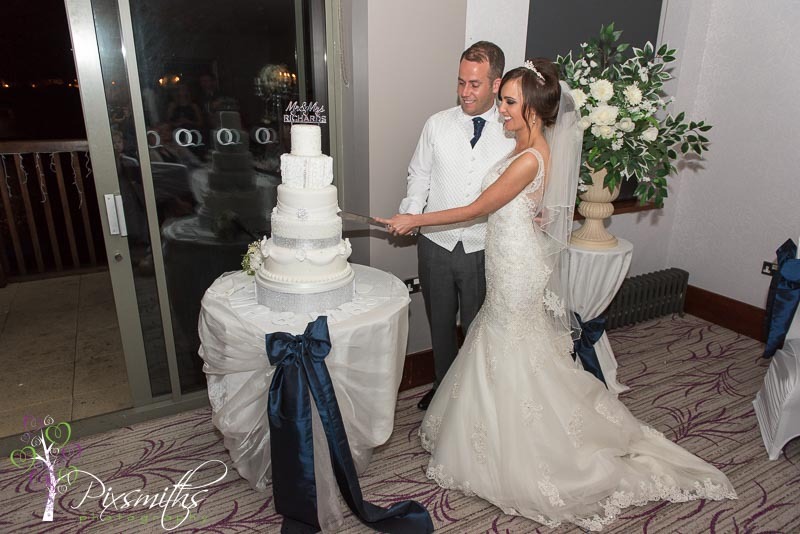 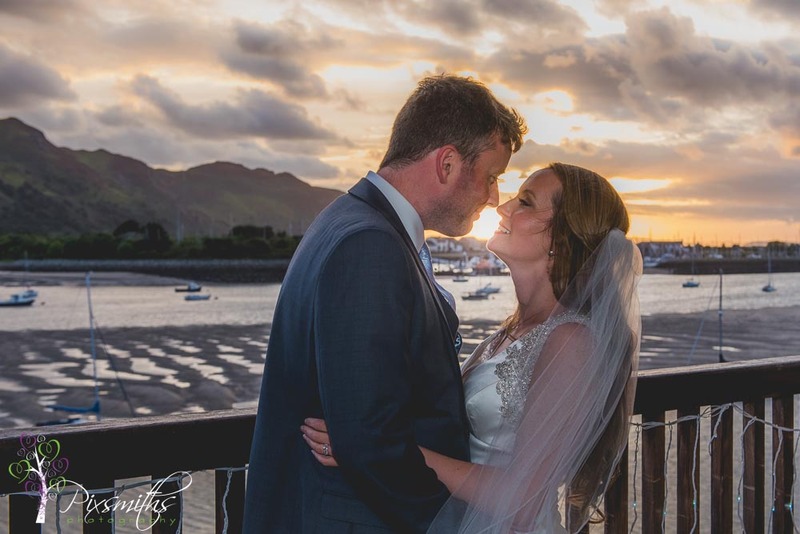 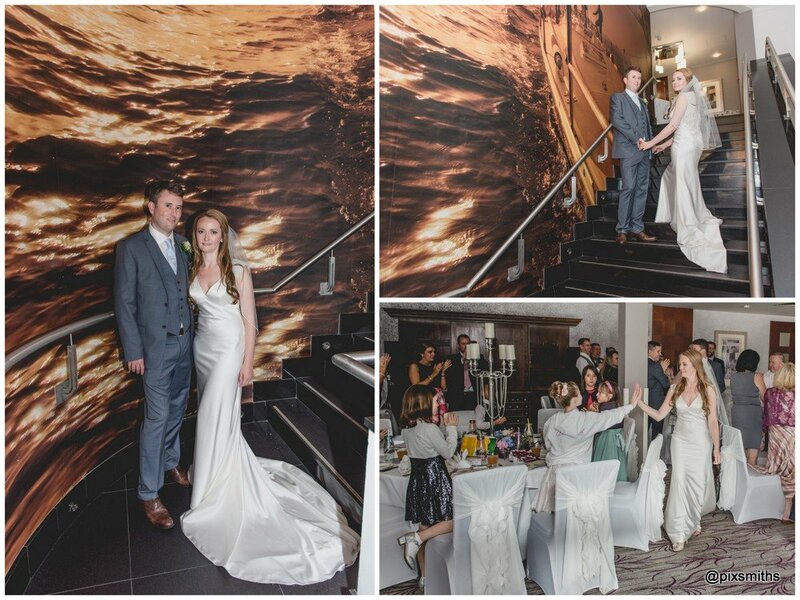 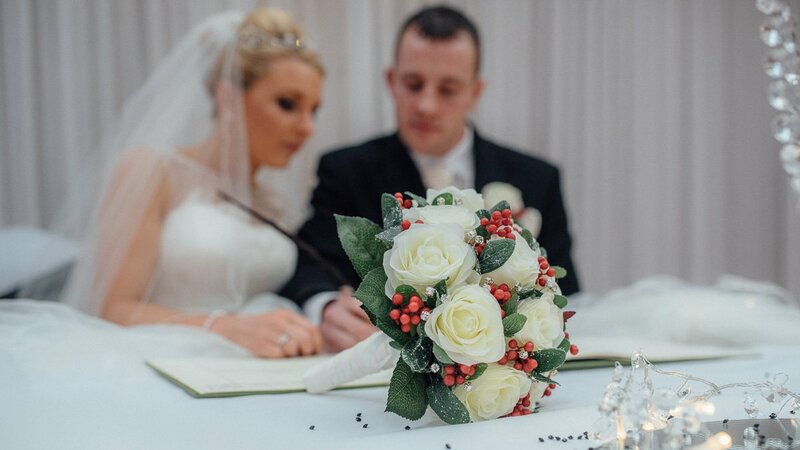 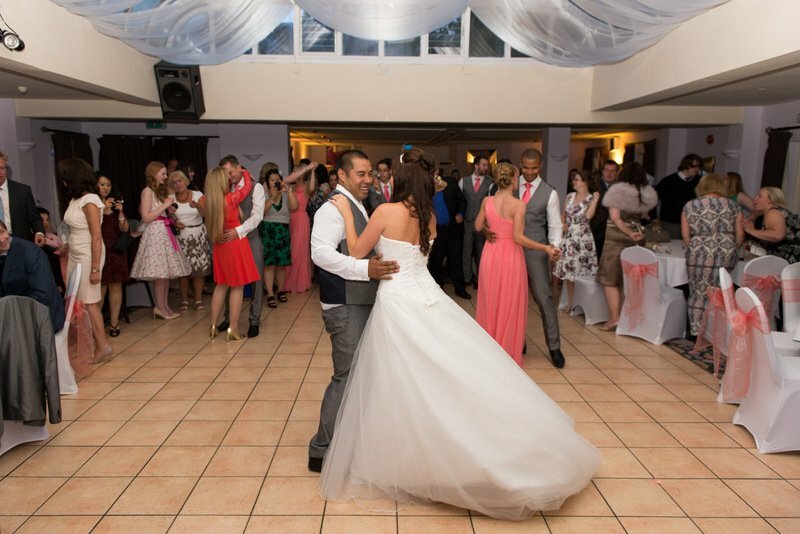 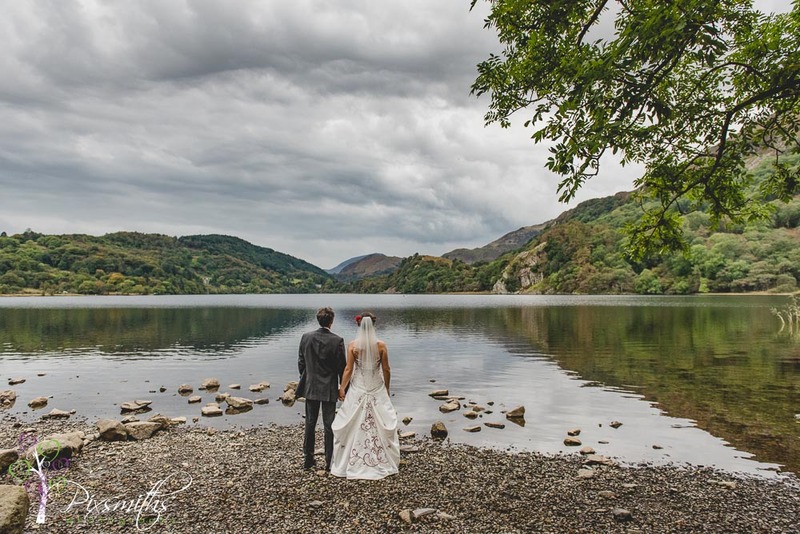 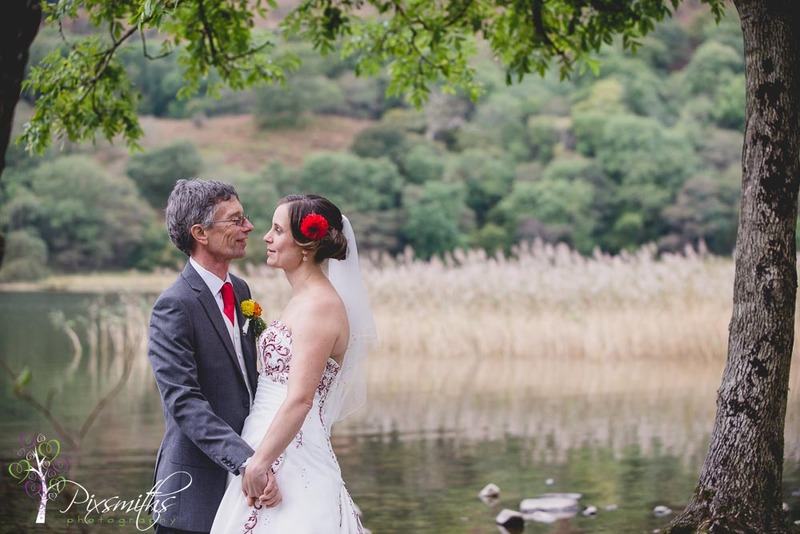 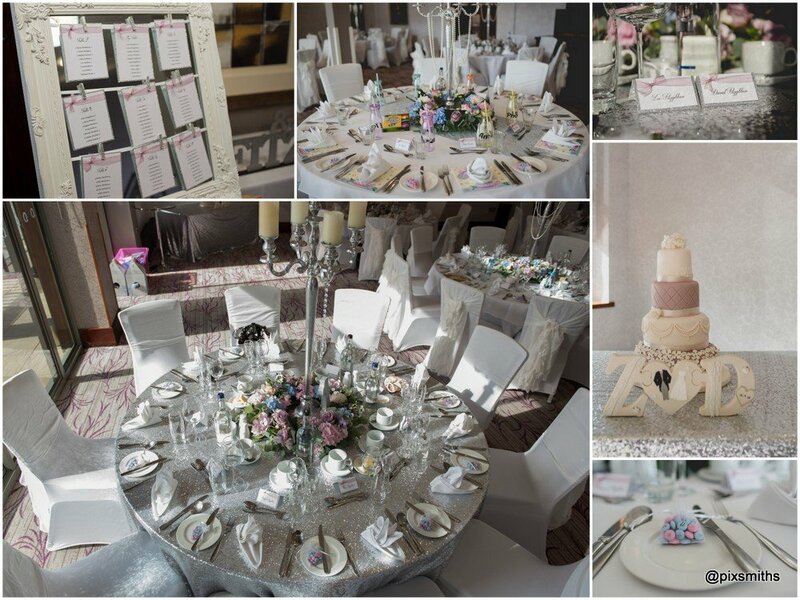 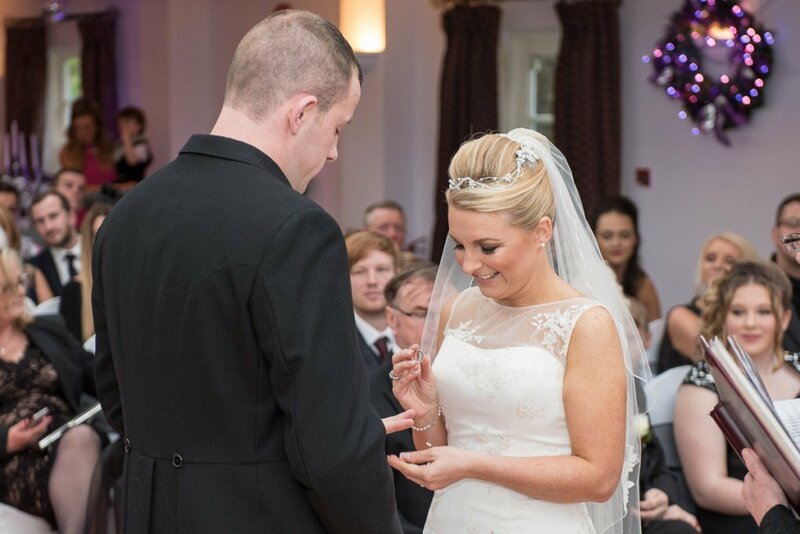 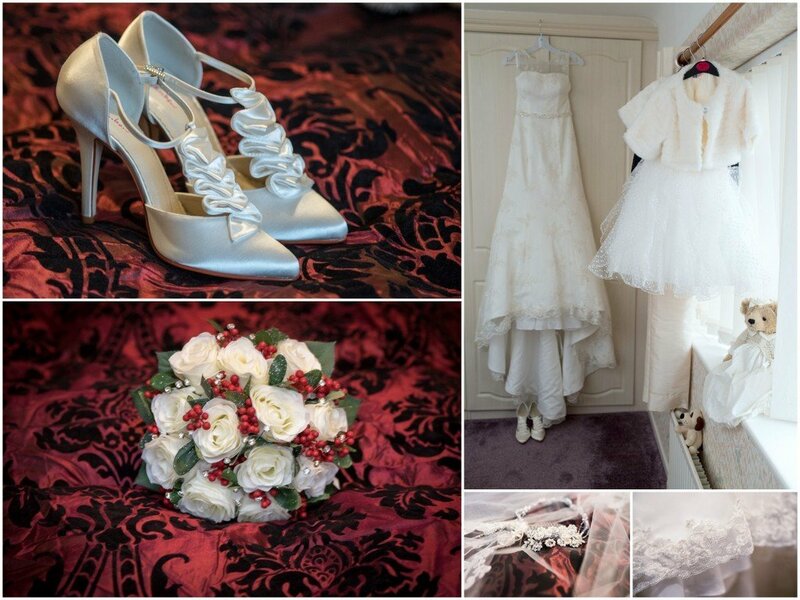 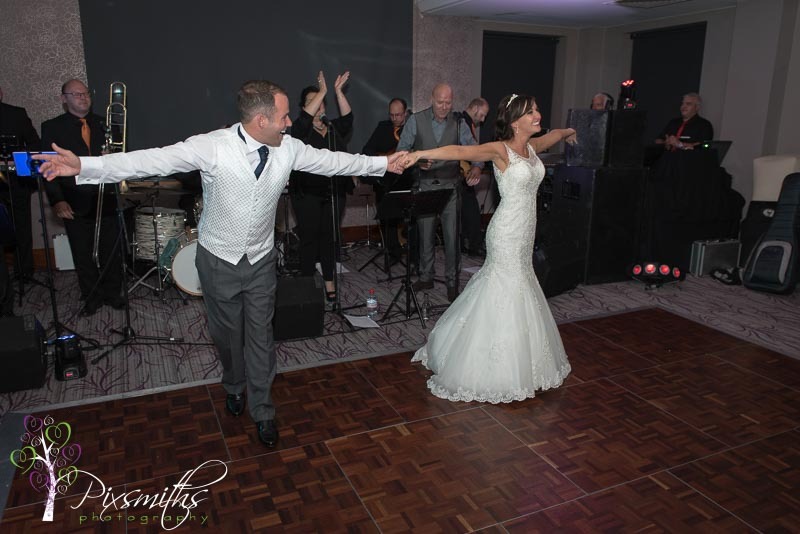 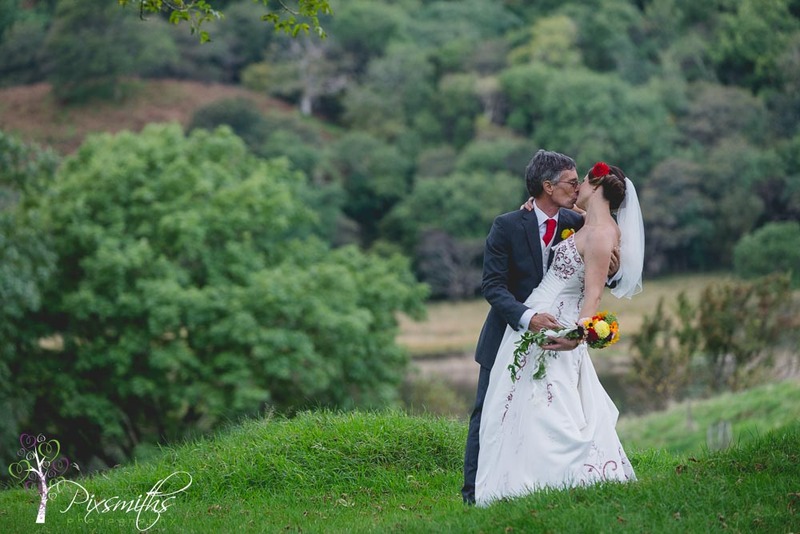 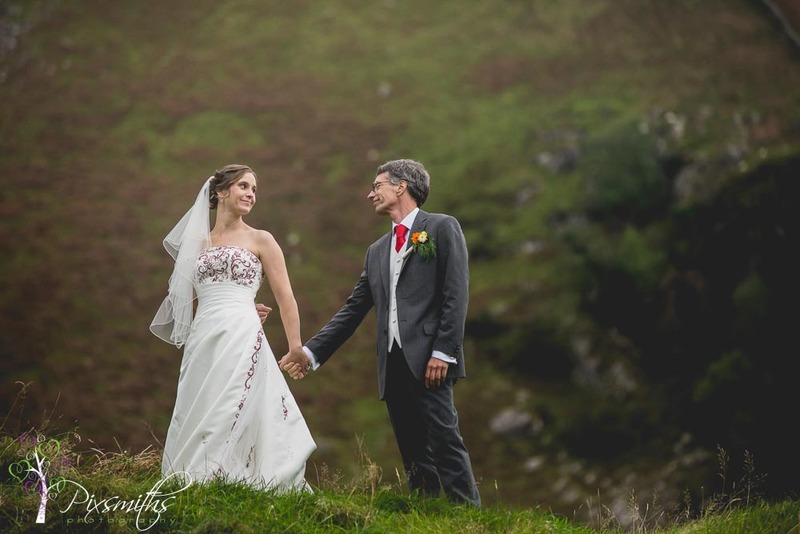 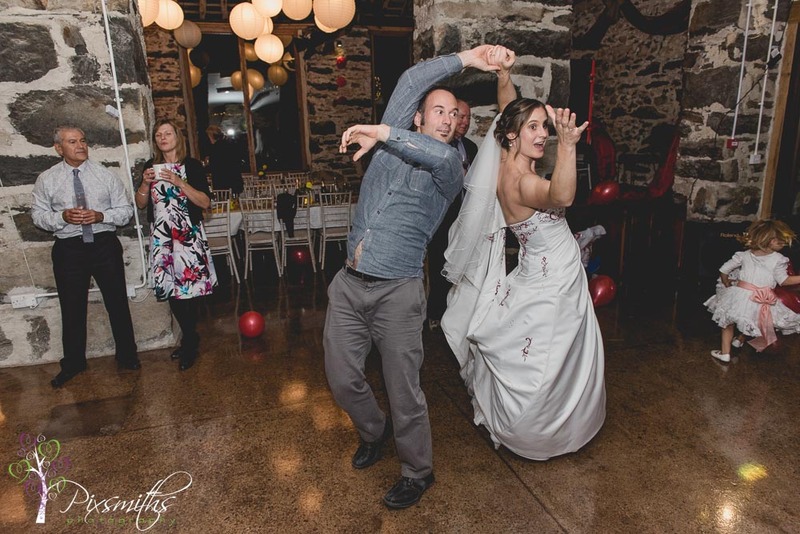 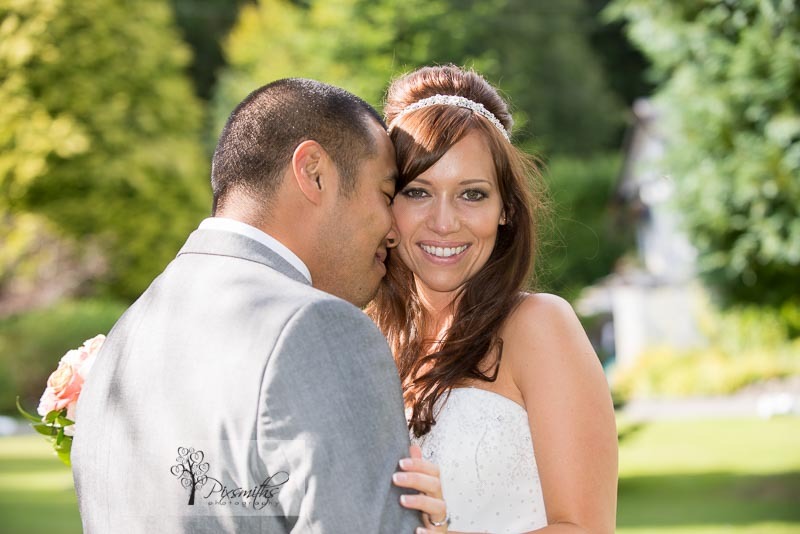 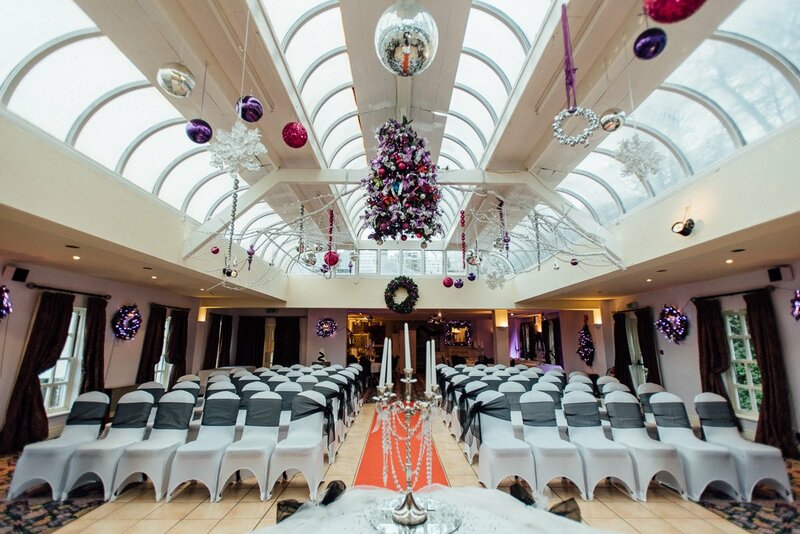 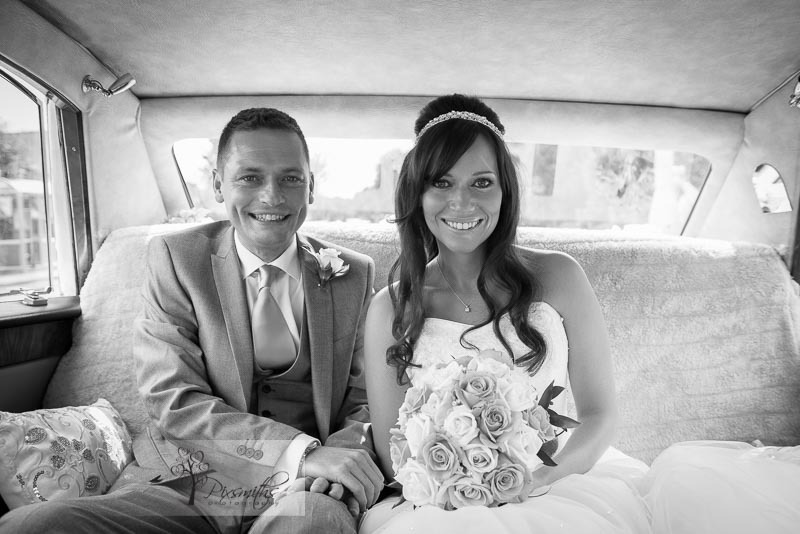 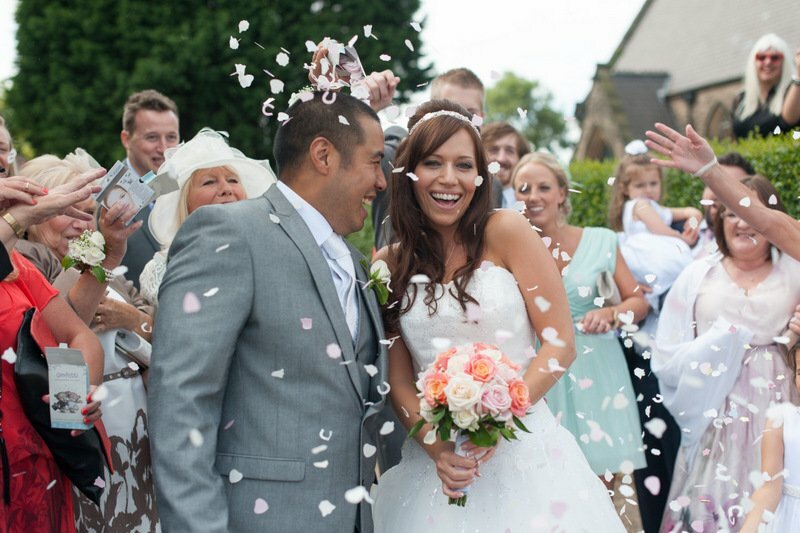 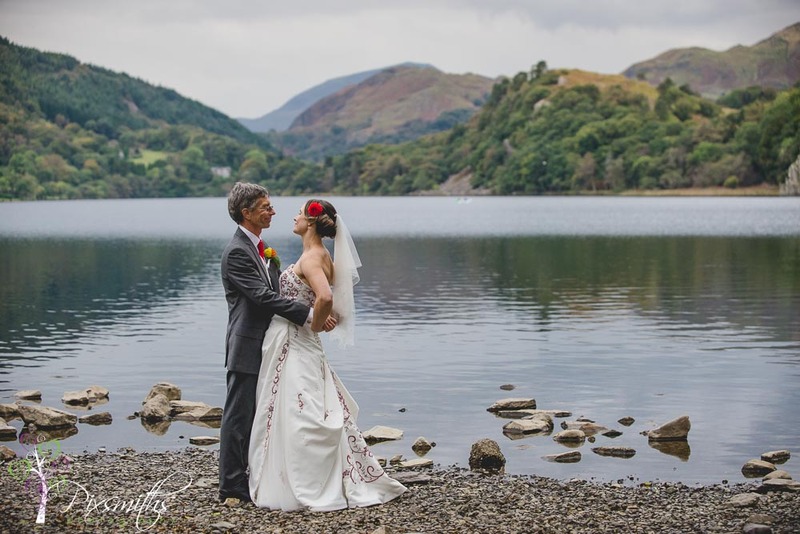 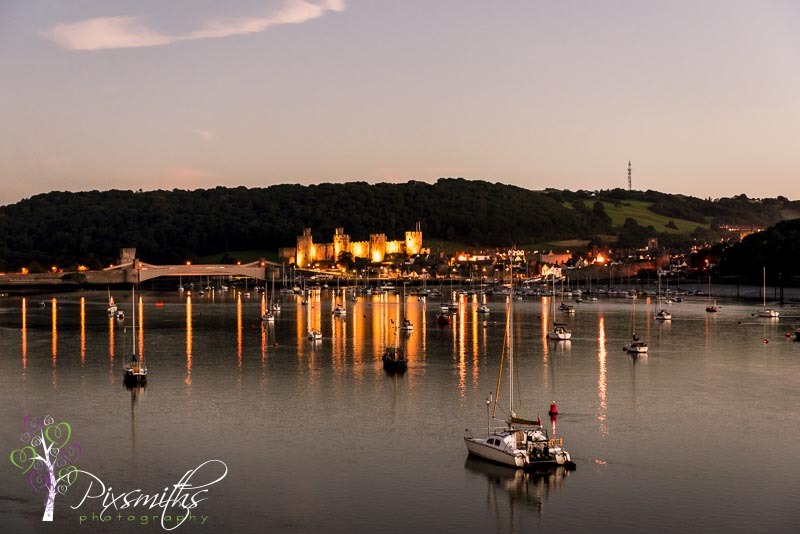 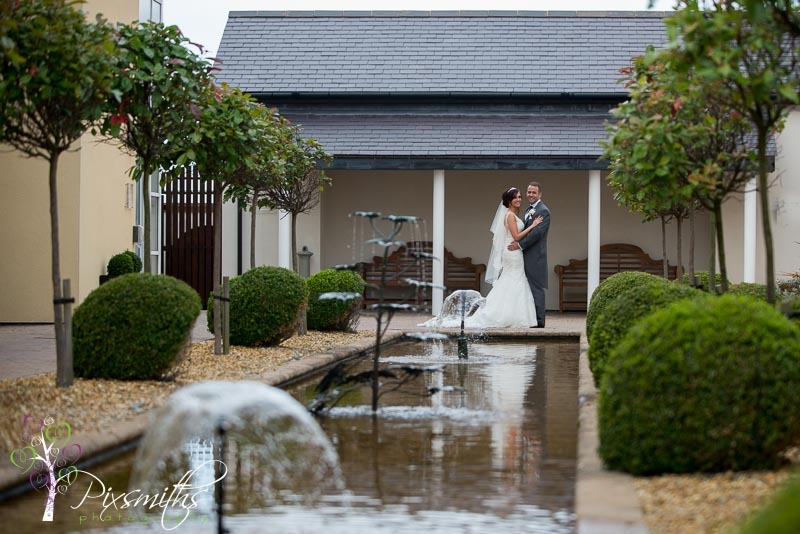 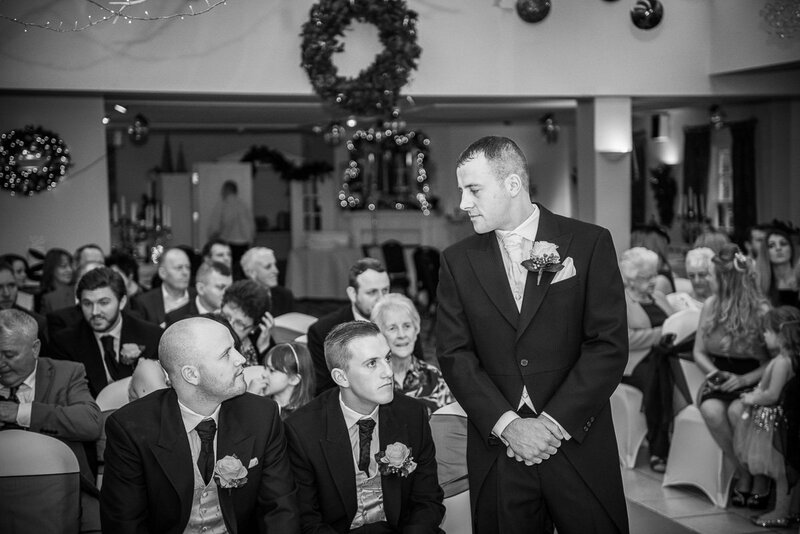 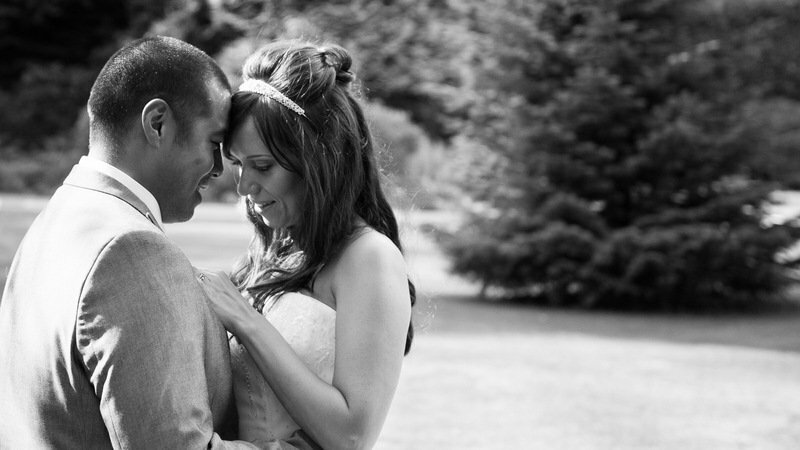 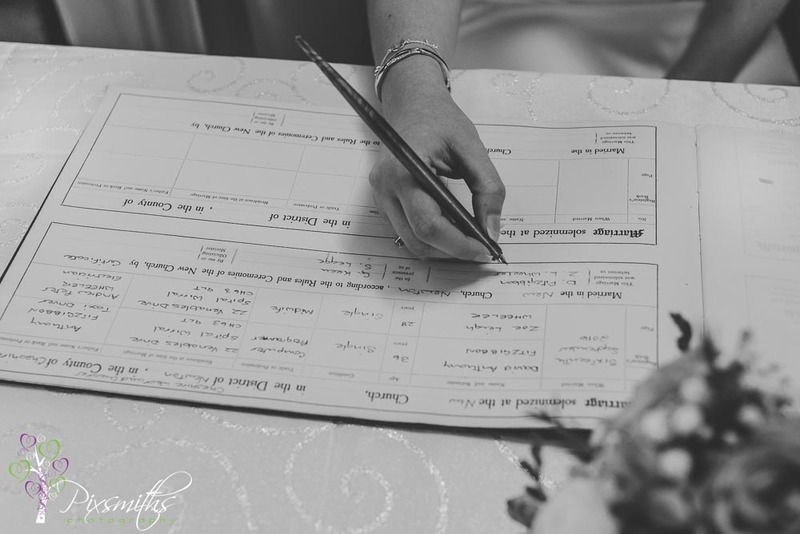 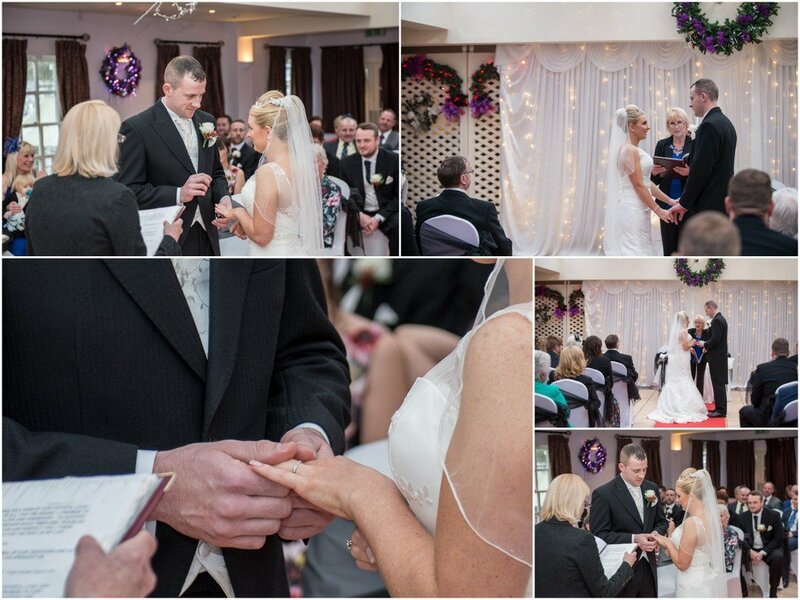 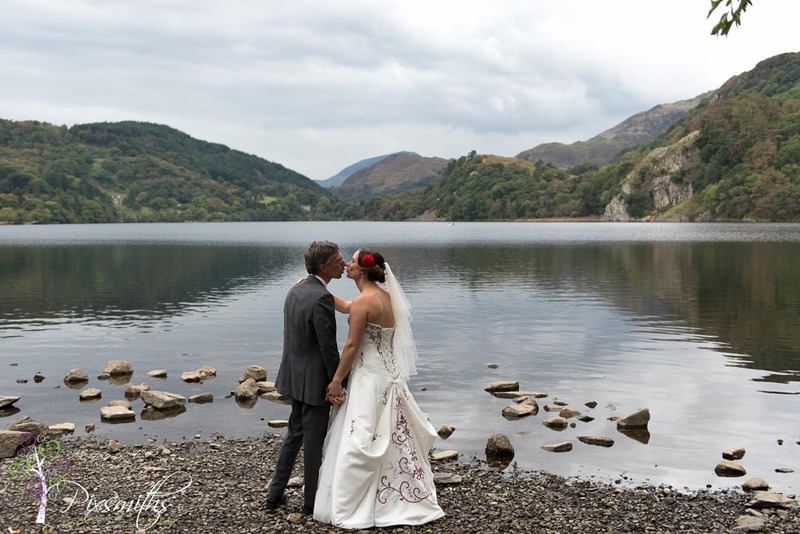 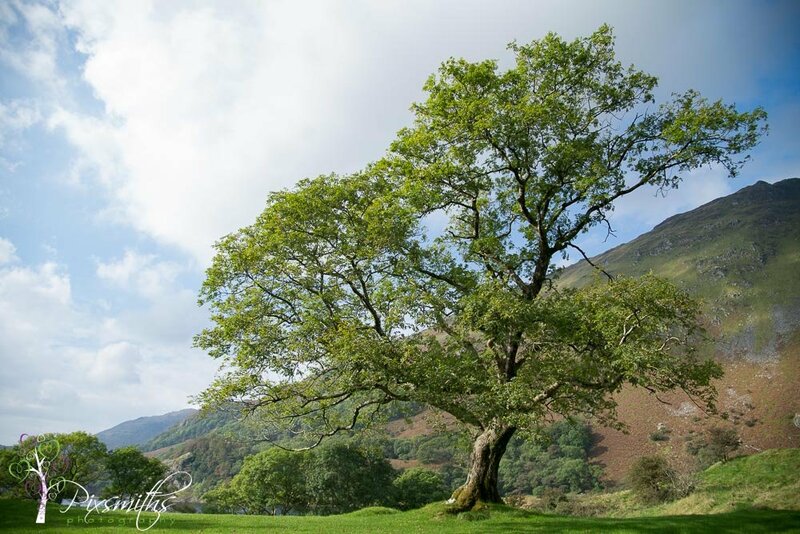 If you are interested in a Quay Hotel Deganwy wedding we’d love to hear from you! 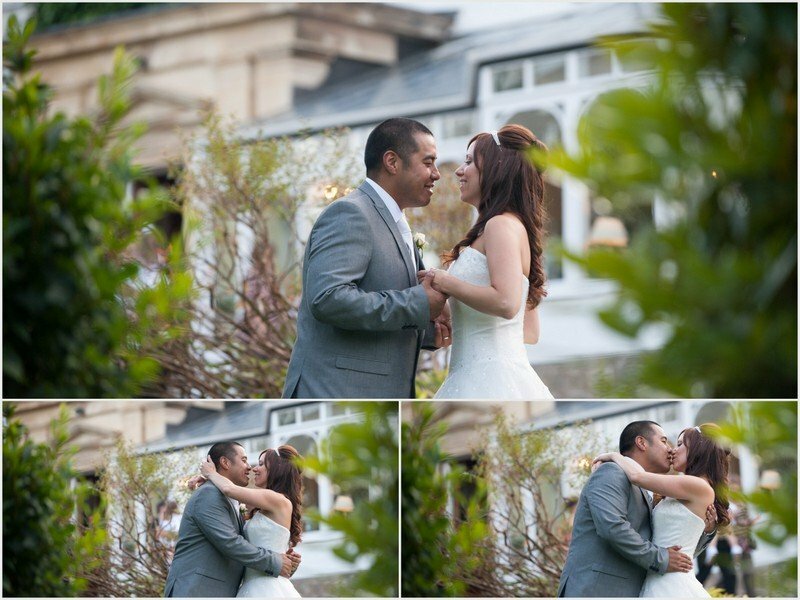 Pixsmiths had a fabulous day with Kiim and Felix at their wonderful wedding. 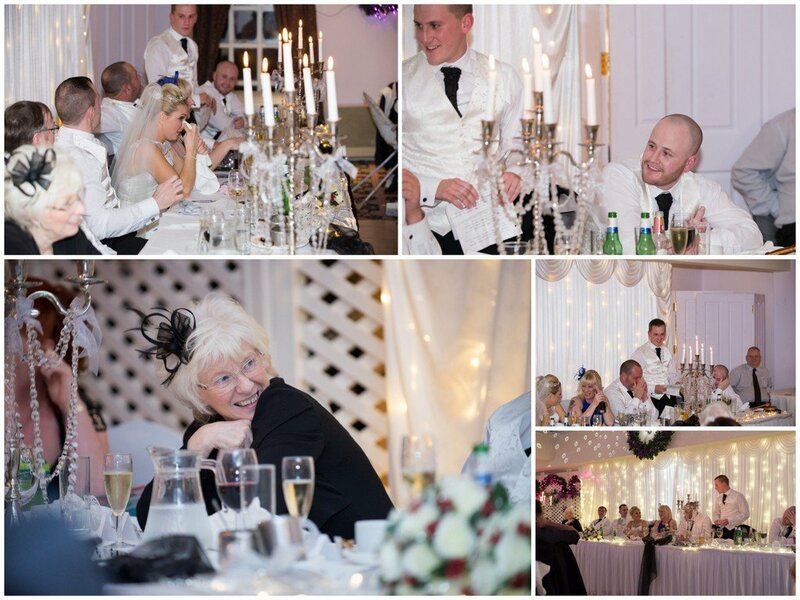 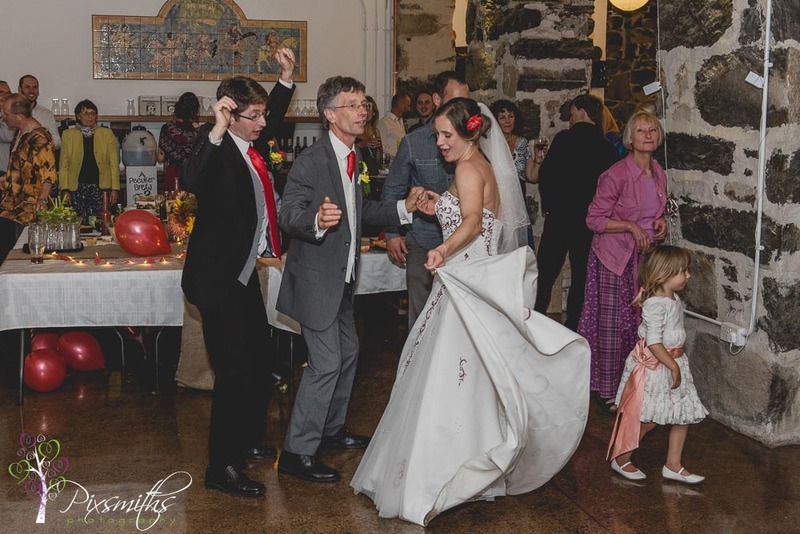 a day full of joy amongst family and friends, everything just as they planned and more. 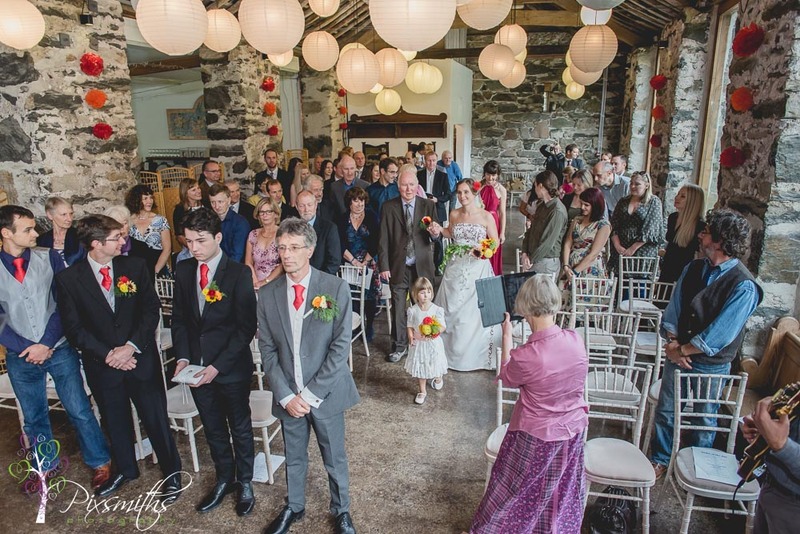 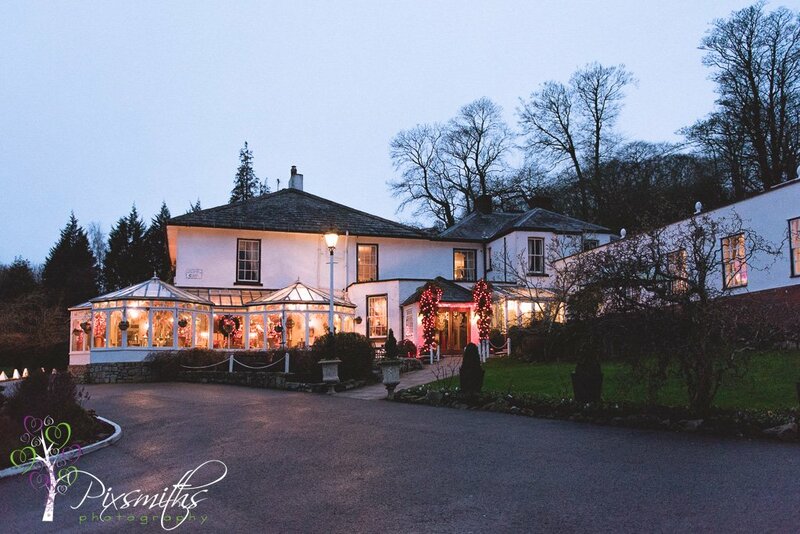 A ceremony at Christchurch, Moreton and then whisked off to the beautiful Plas Hafod in North Wales, courtesy of Speedwell Motors. 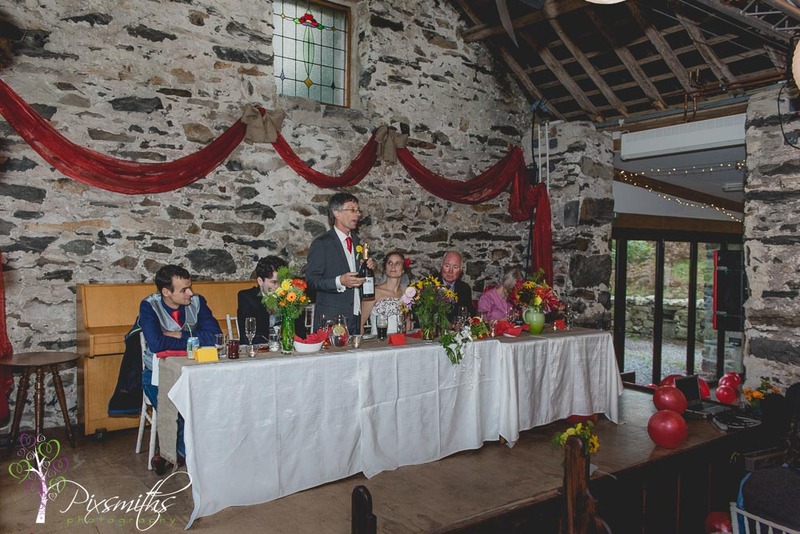 Our first time for a Plass Hafod wedding and hope it won’t be the last. 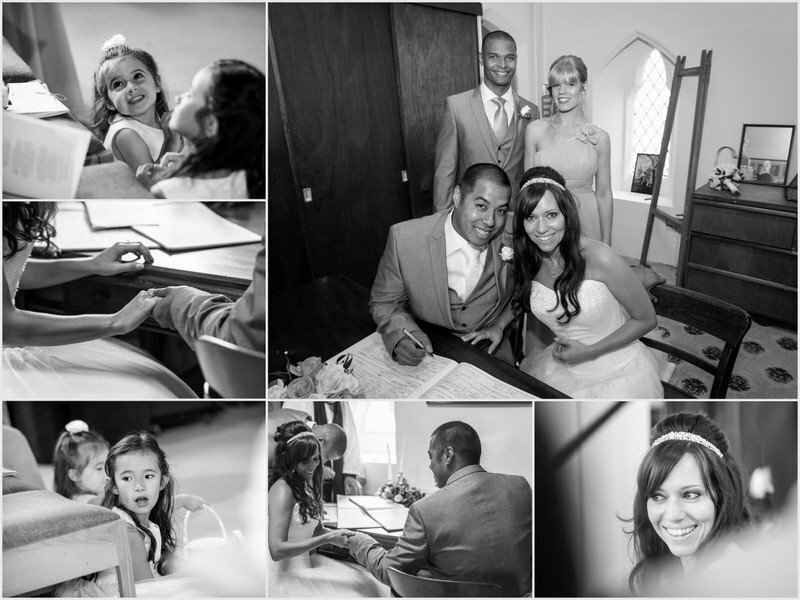 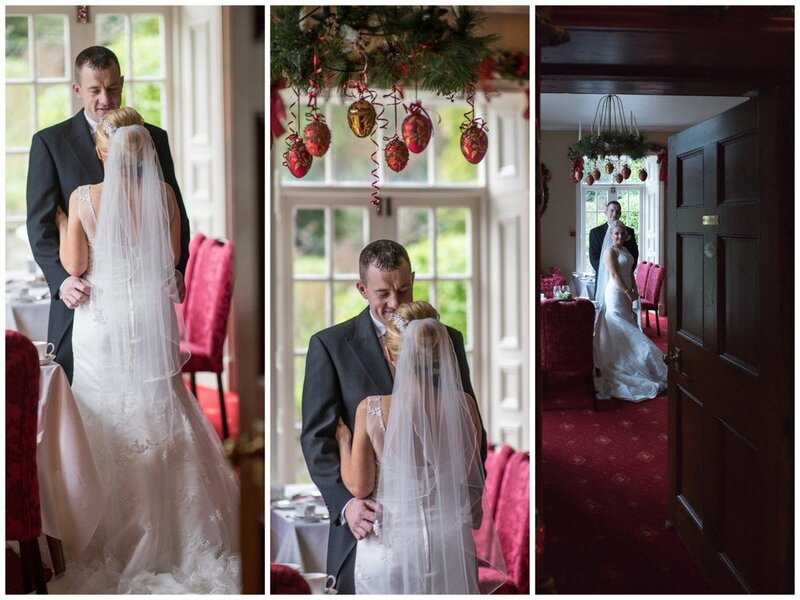 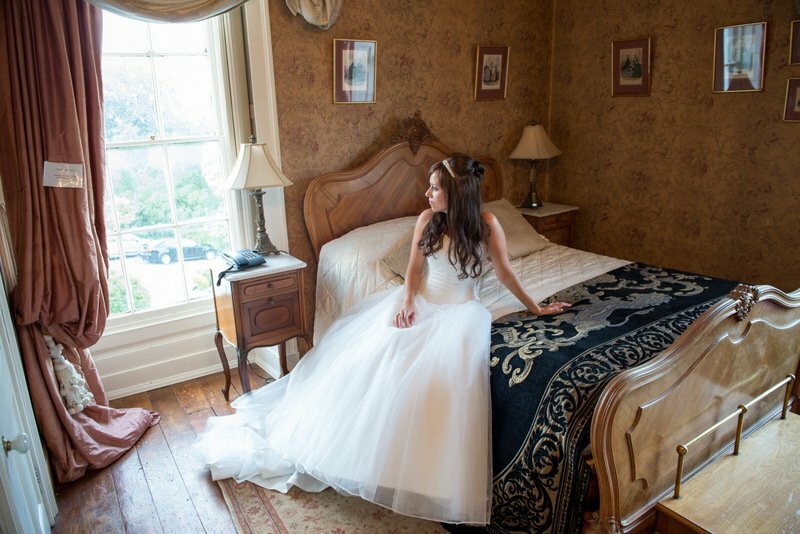 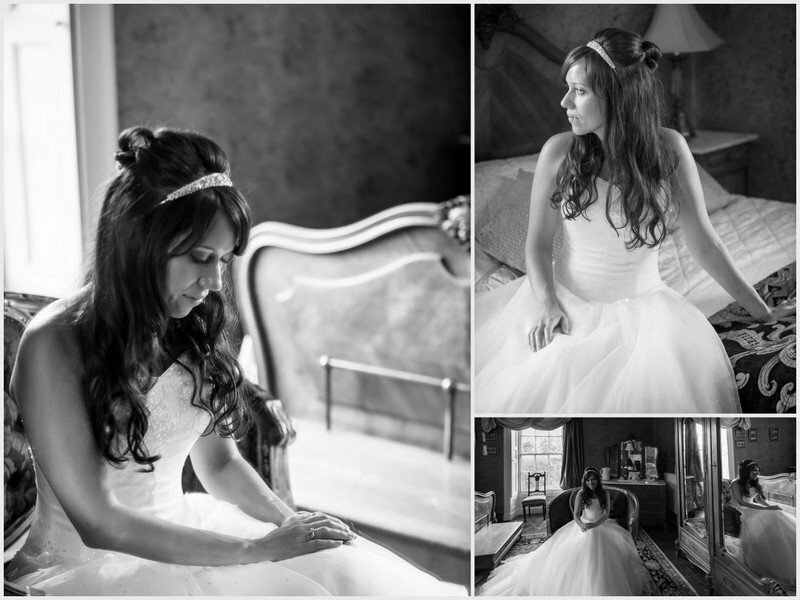 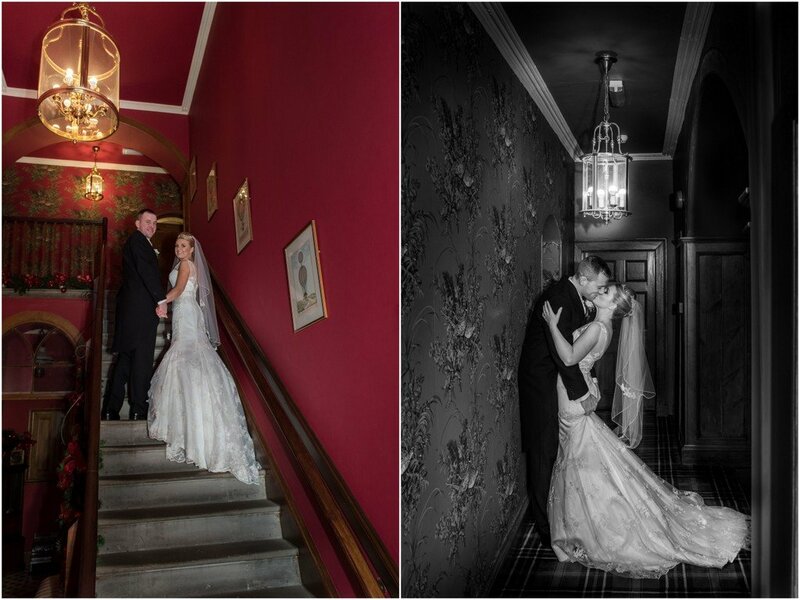 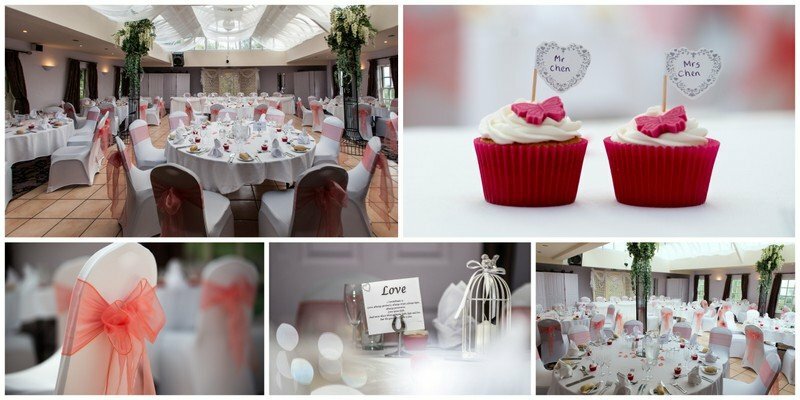 The reception room has lots of natural light so great if you need to shoot indoor and also ideal for wintere weddings. 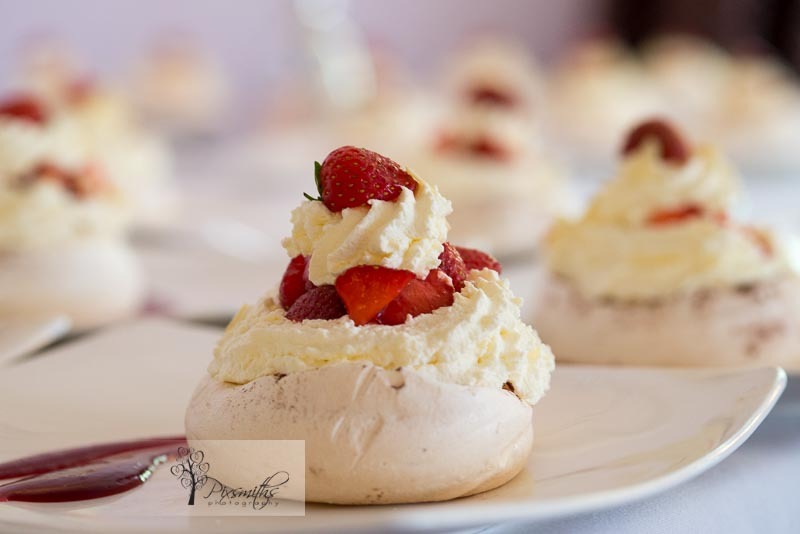 The co-ordinator is a great and makes things really interesting – oh and the meringues here are so scrumptios and huge! 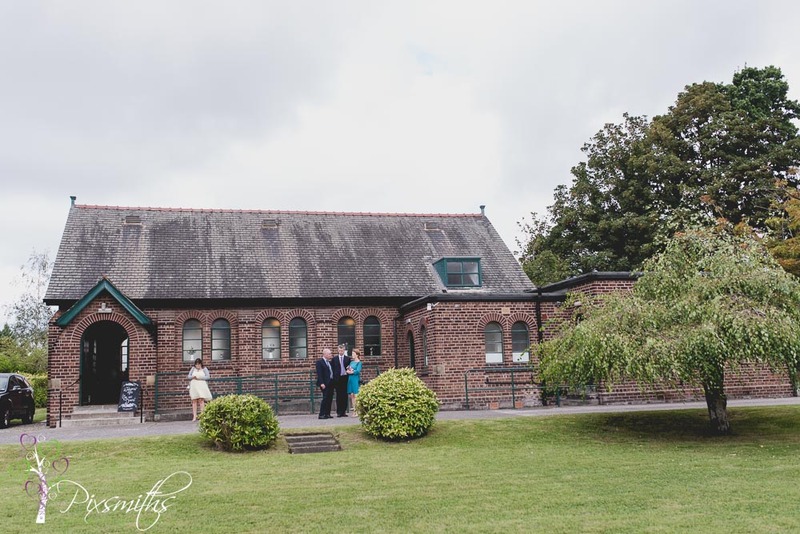 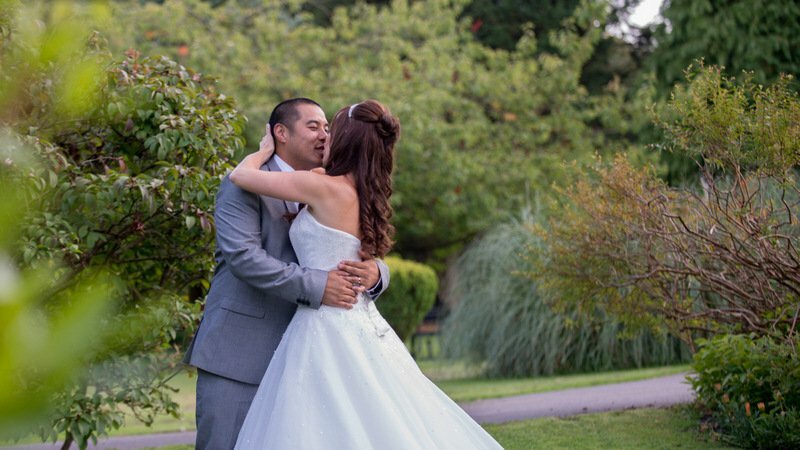 The gardens outdoors provide ample opportunities for portraits and the bridal swuite is very charming – Kim really enjoyed showing us the room. 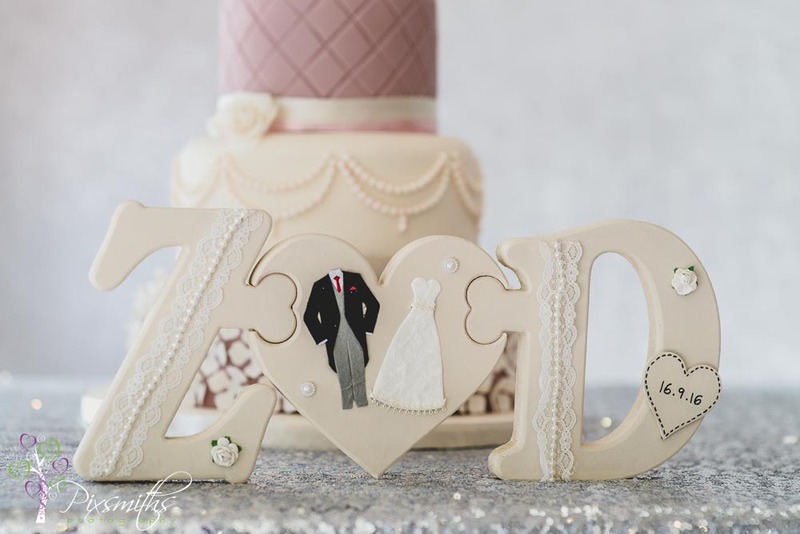 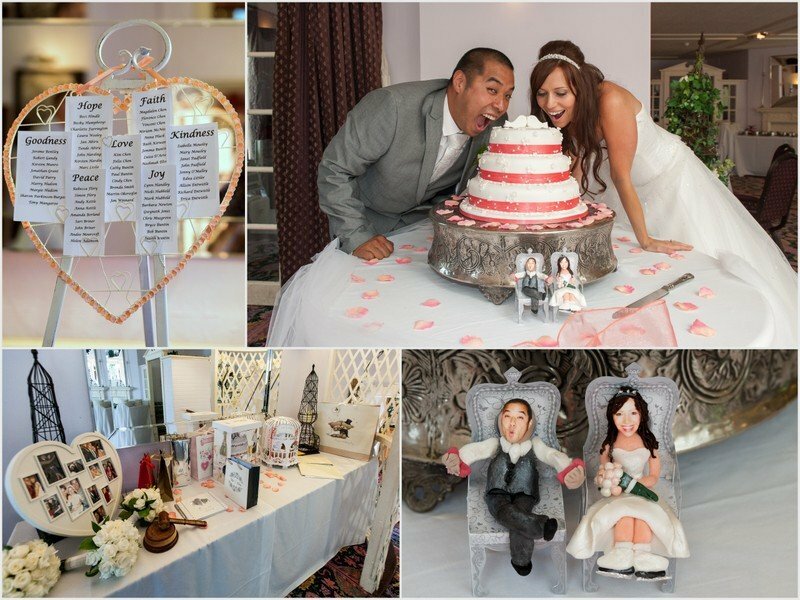 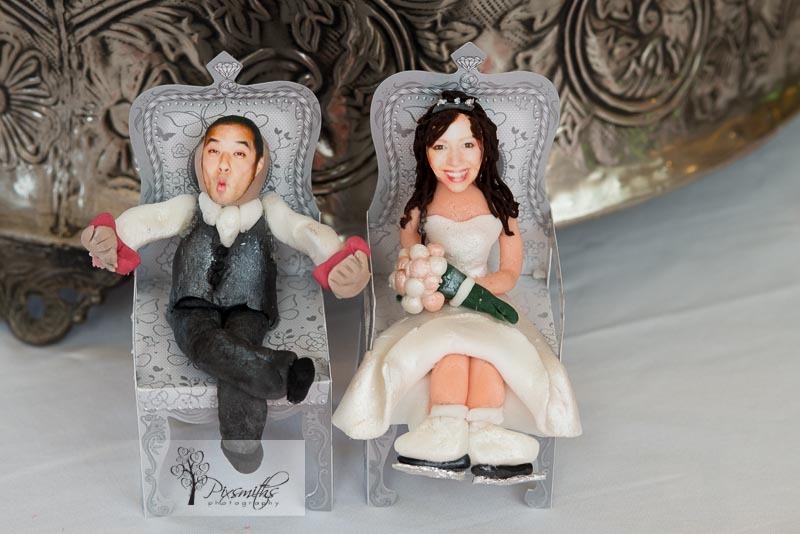 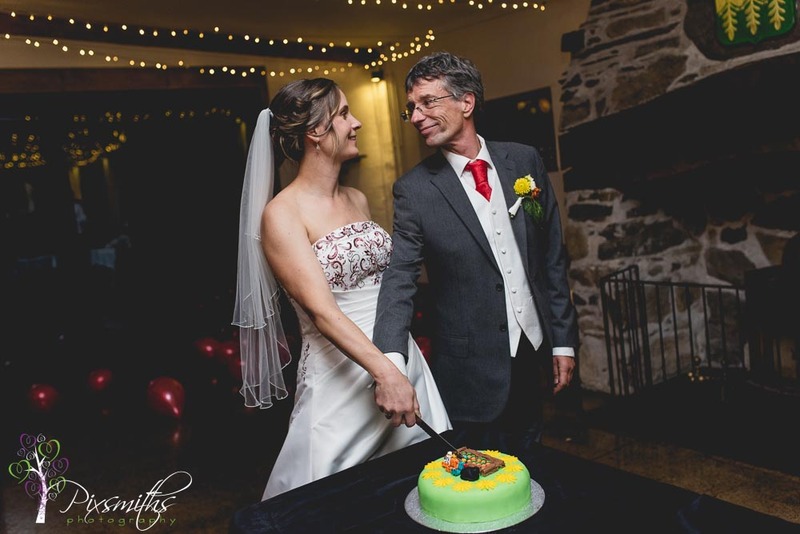 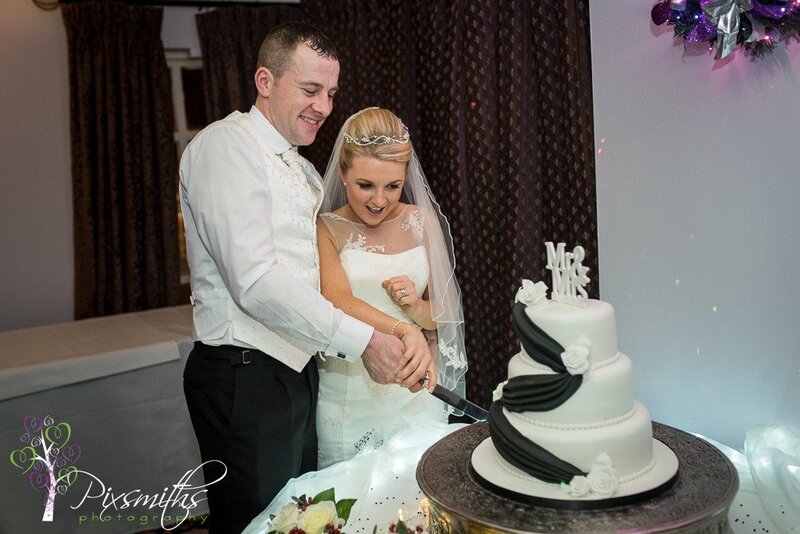 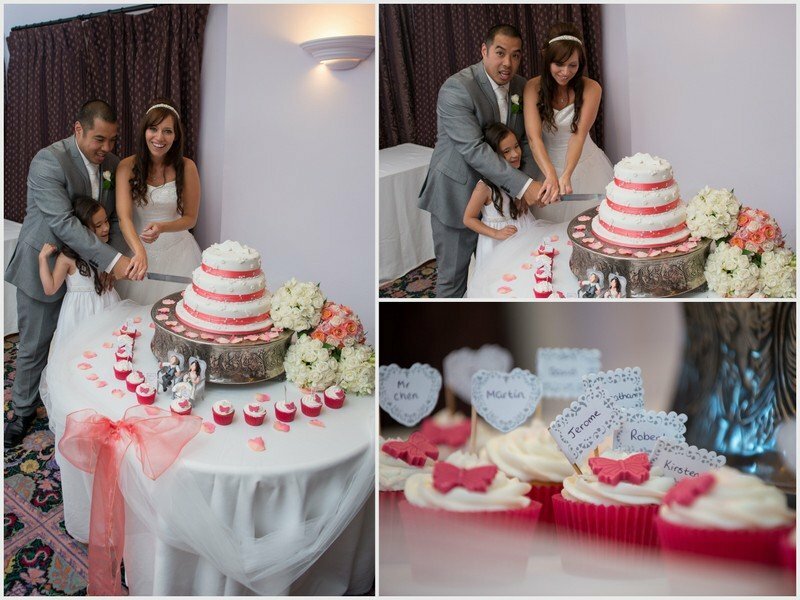 Lots of fab details and personal touches, one of the bridesmaids had make the cake, amazing job there and loved the figures of them, with Kim in her skates – she’s a keen figure skater so no wonder she is so fit. 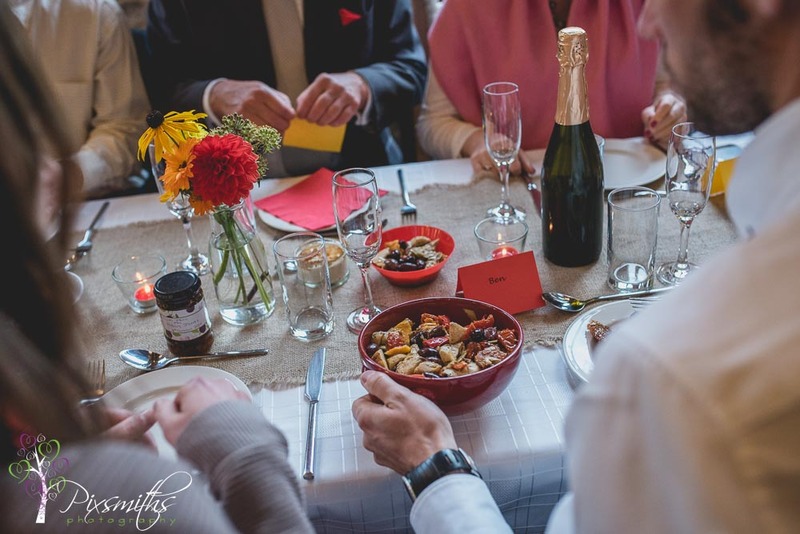 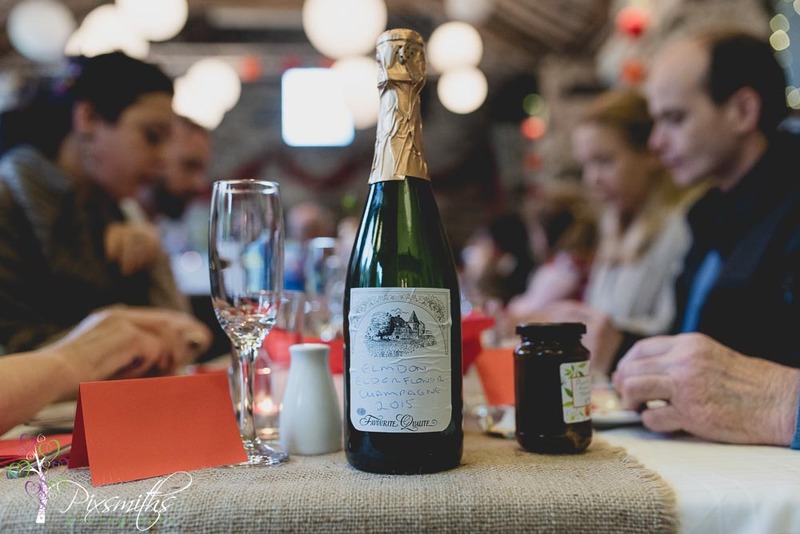 The room was delightfully dressed by Eva Adore and the table names were the gifts of the spirit, an innovative way to share their faith. 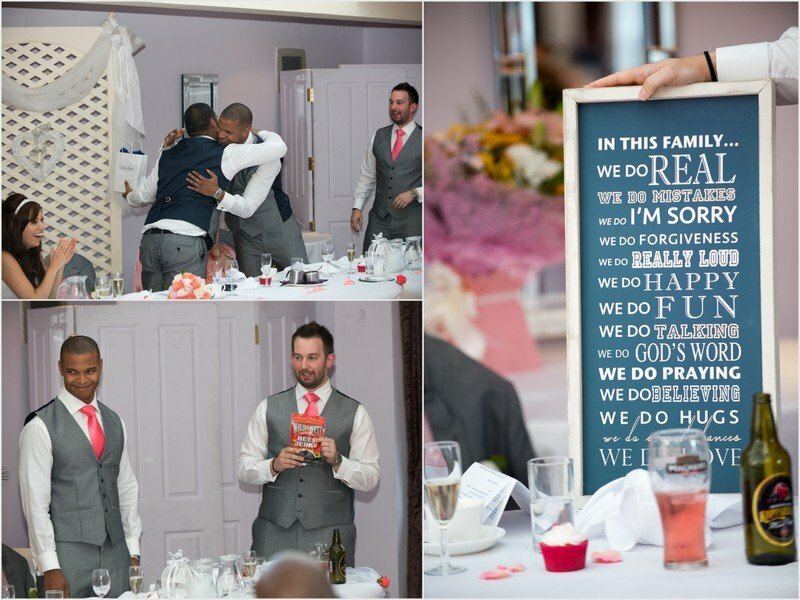 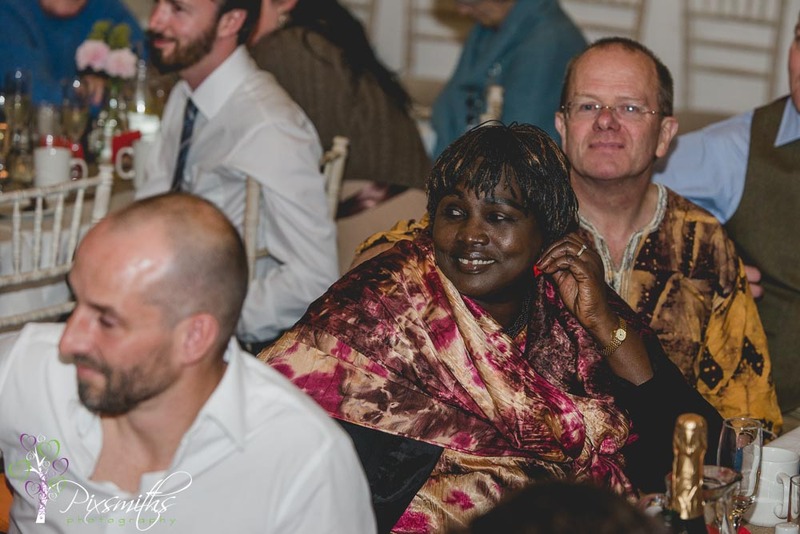 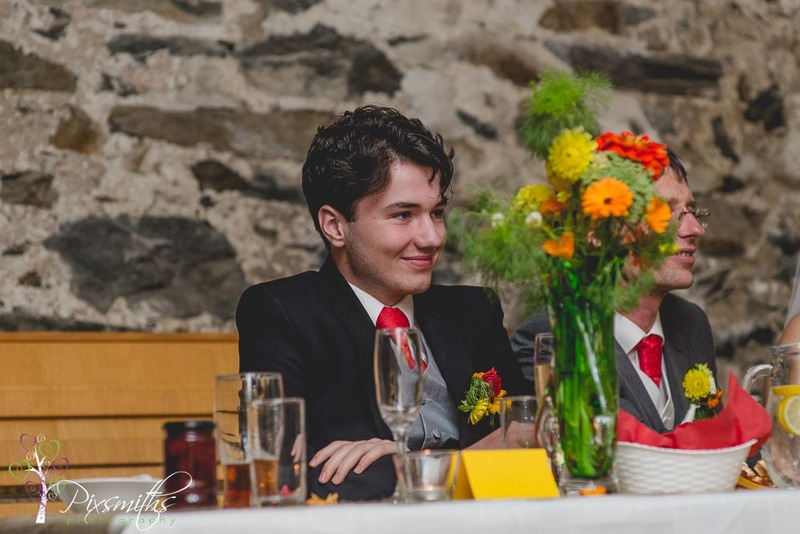 Really enjoyed the best men’s speeches, you could see they had a real connection with Kim and Felix , true friends and supporters of them and they gave them funny gifts and a lovely text frame of things they do in their new life togethere which I know will grace their home. 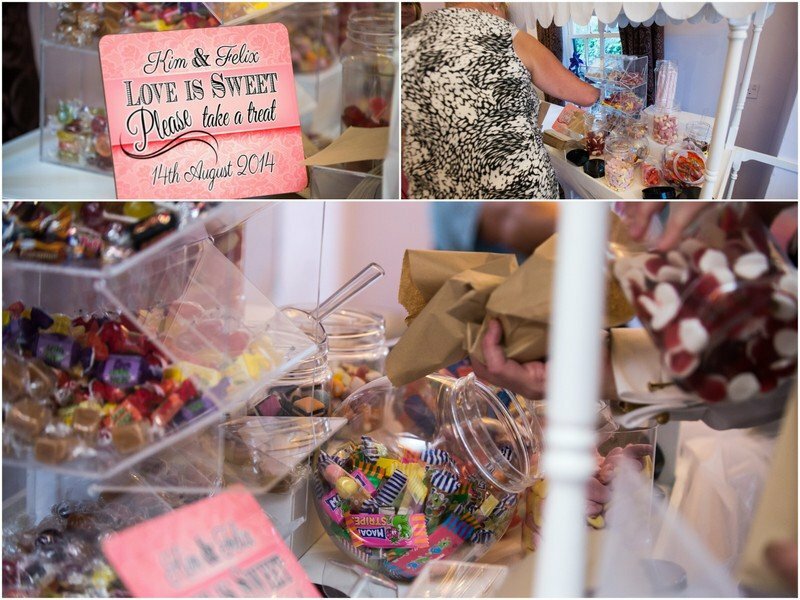 Sweet cart, fun frame prop shots and dancing all made the evening party go with a swing. 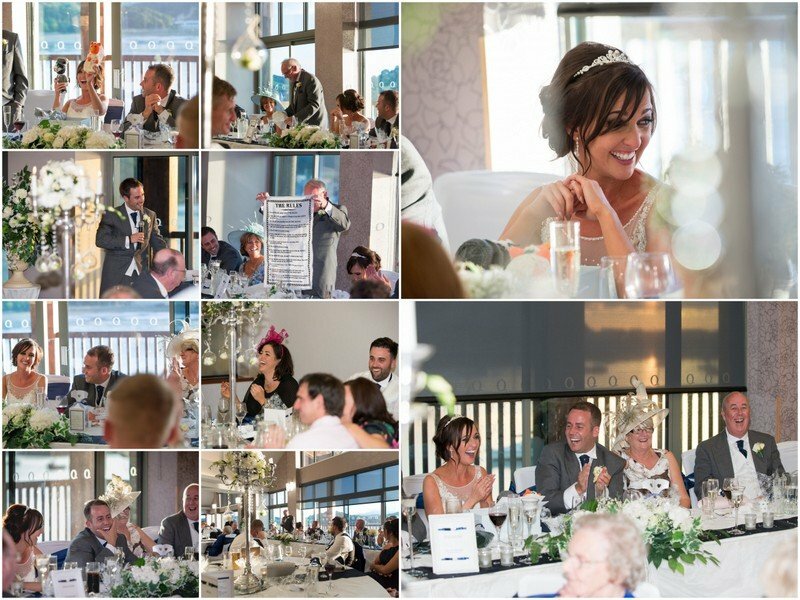 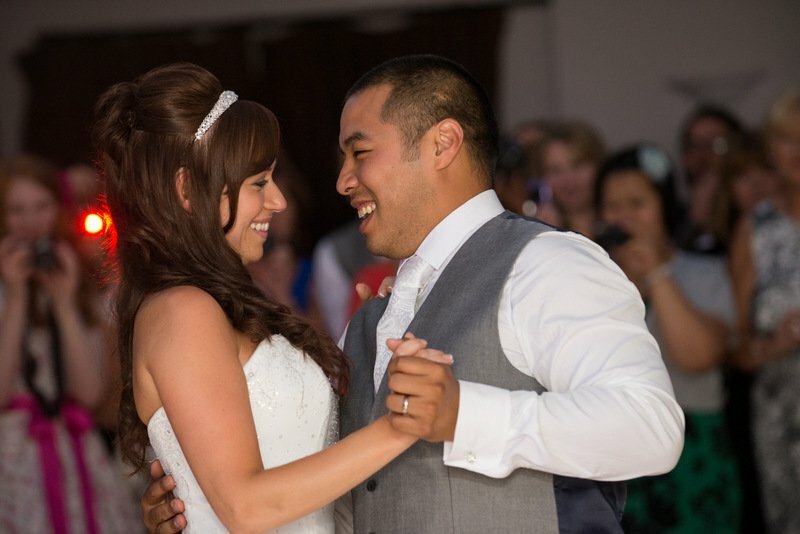 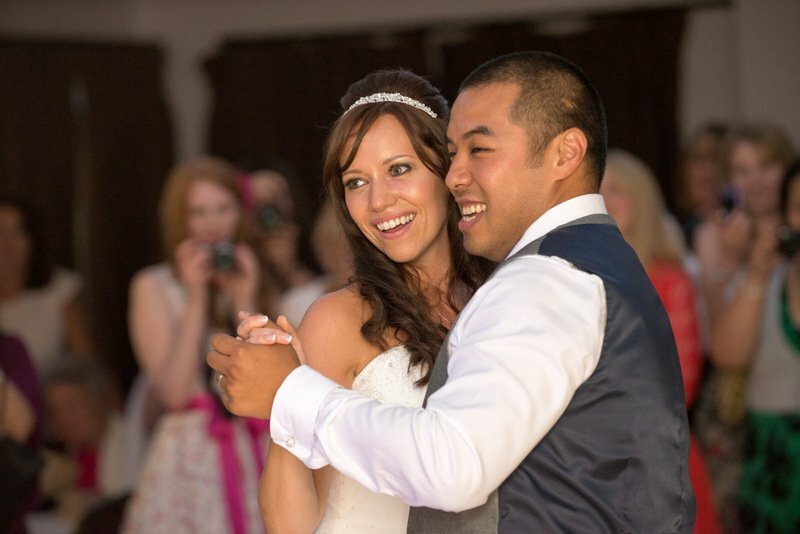 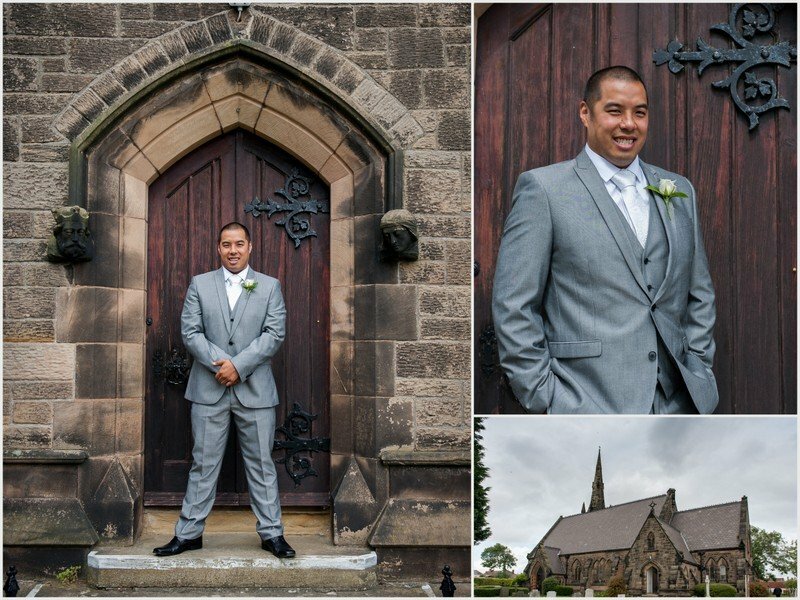 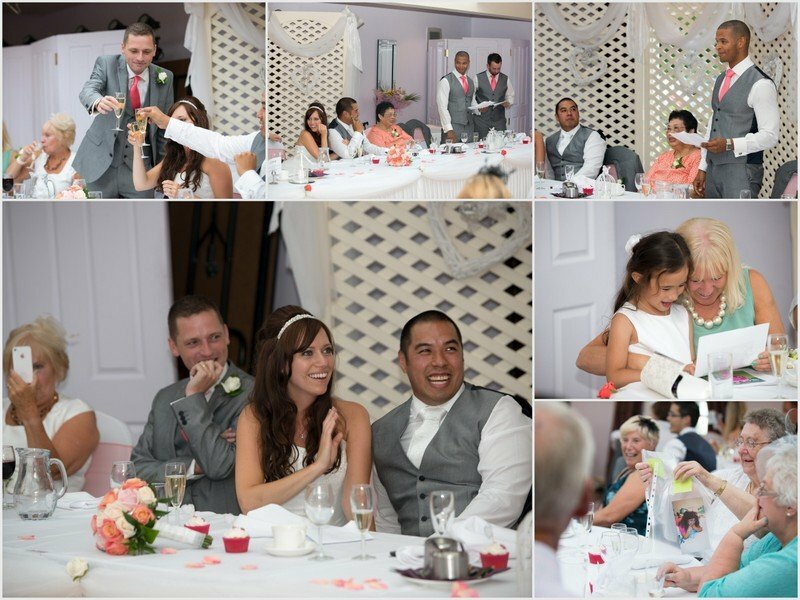 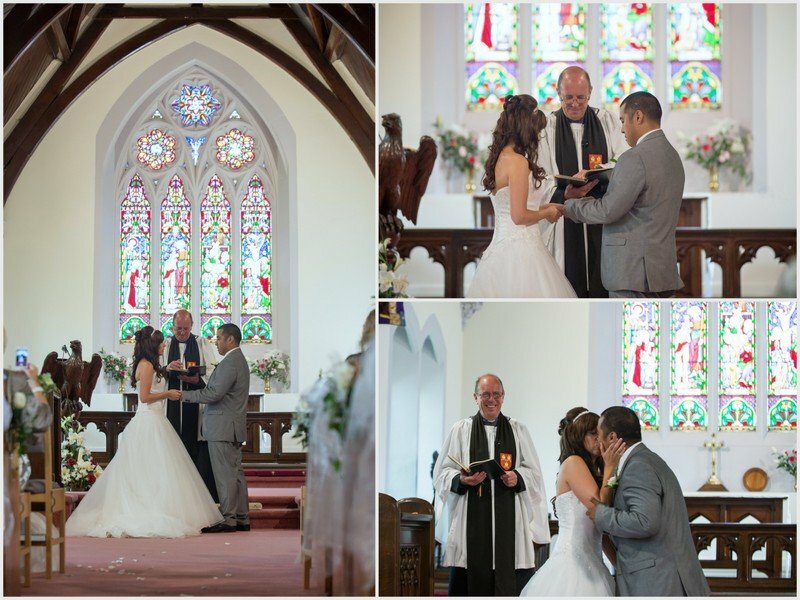 Many congratulations to Kim and Felix , you can see from these images what the day meant to them and we wish them much happiness and health for the future. 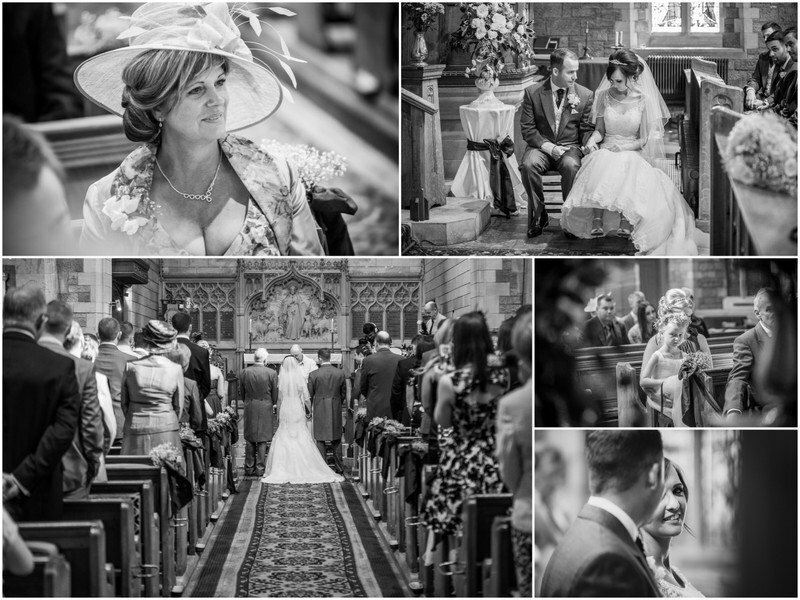 Hope you enjoy a small sample of the images taken during the day.